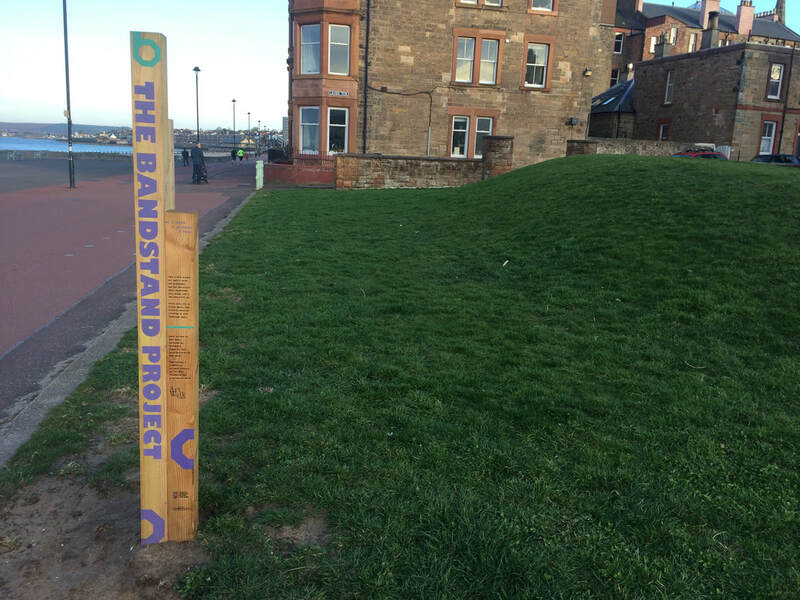 Portobello Prom is a place for Art. 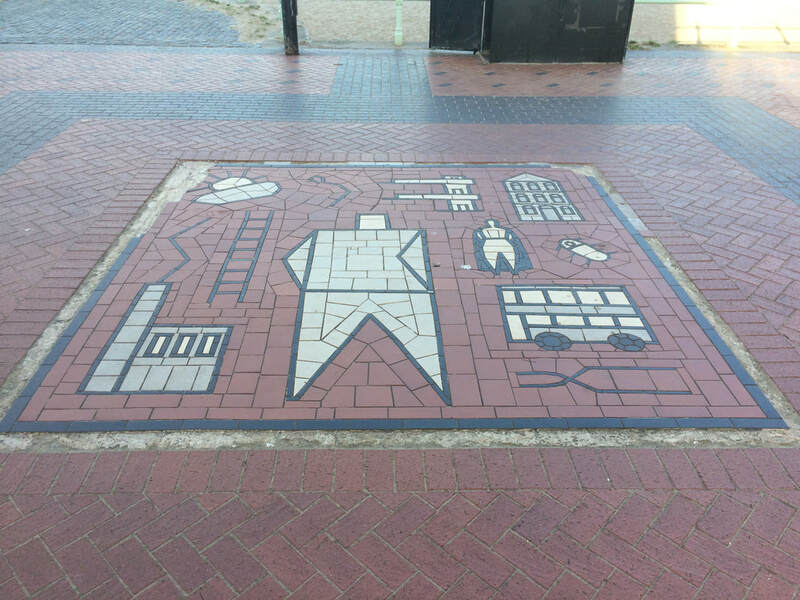 Some of it is official, literally part of the fabric of the Prom like these two modern mosaics close to Westbank/Tumbles. Other elements are remnants of specific projects, notably the annual Art Walk, which takes place every September. While much of the commissioned public art is temporary, some pieces last longer. 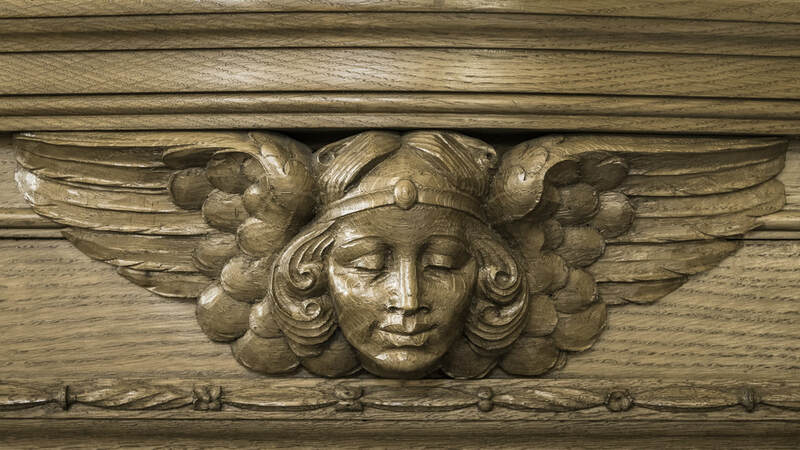 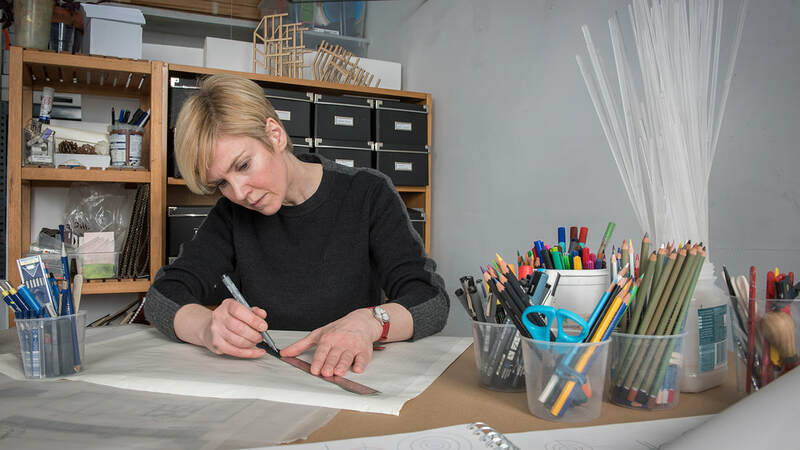 The most notable of these is Cressida, the sculpted metal octopus at the end of the groyne at the foot of Bath Street. 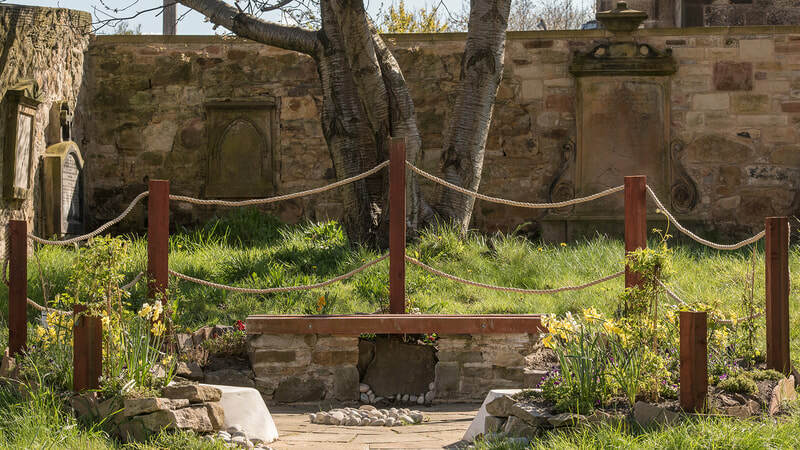 Initially installed for the first Art Walk in September 2015 she was twice claimed by the sea during winter storms but was successfully rescued and re-installed. 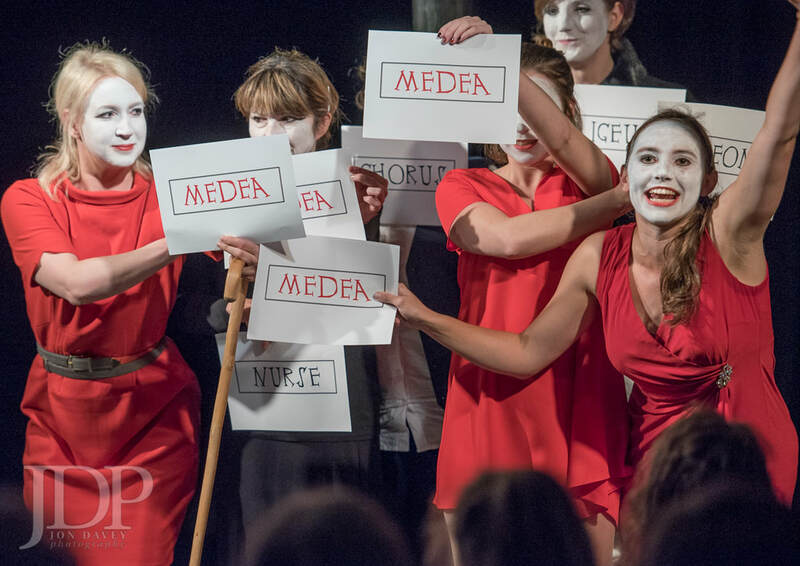 (In fact the story of Cressida is probably worth a blog post all of its own, so I'll come back to that!) 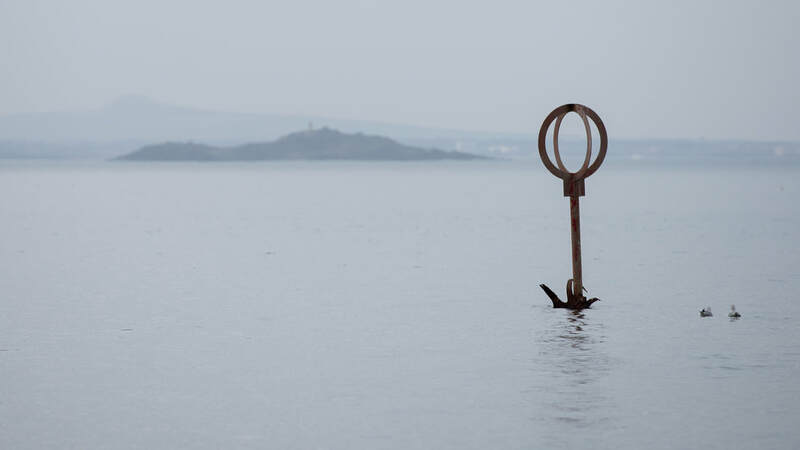 For now here is a recent picture at a high Spring tide with Cressida almost completely submerged. 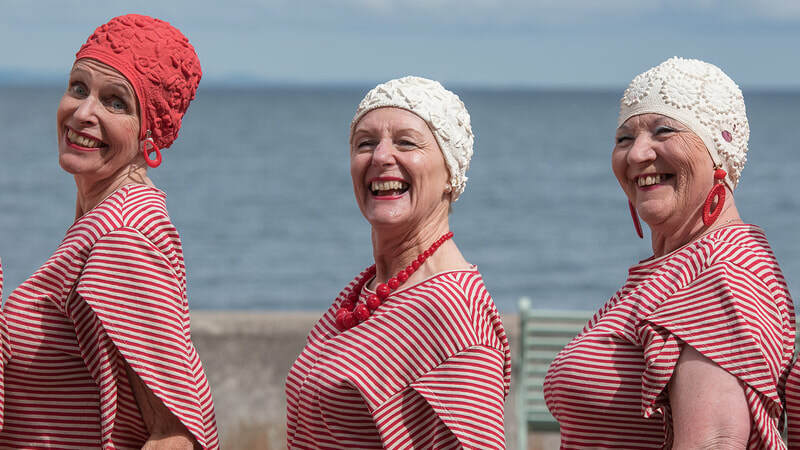 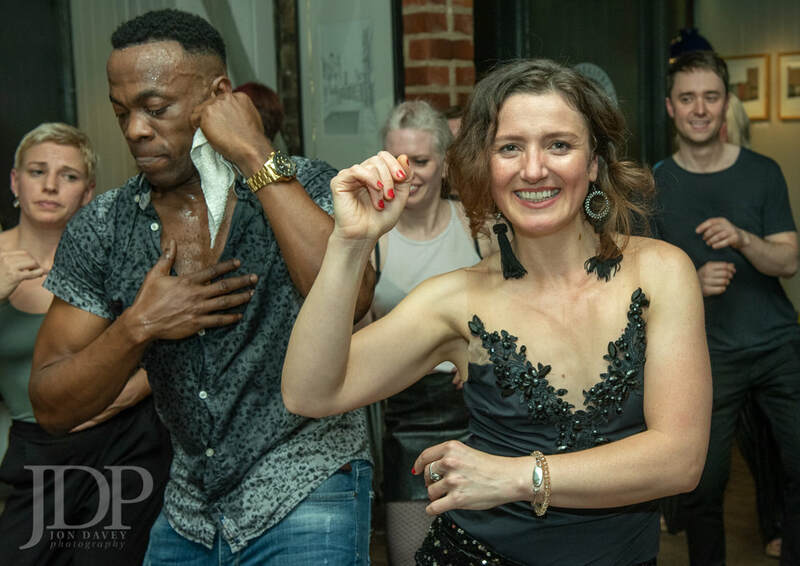 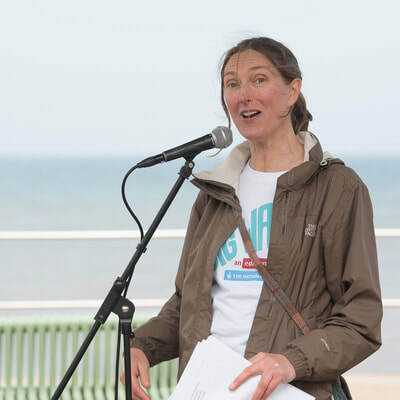 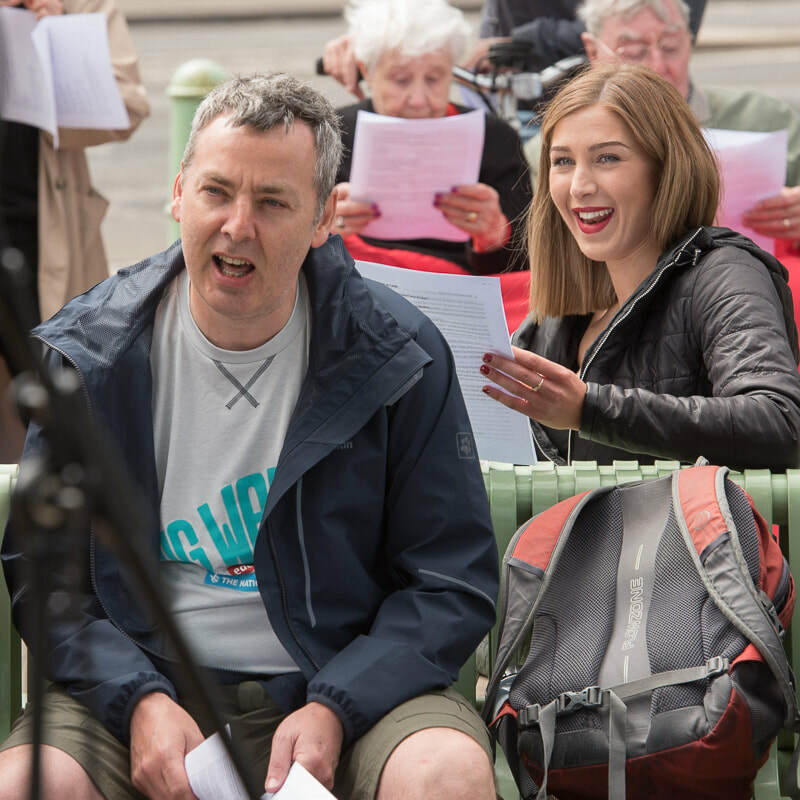 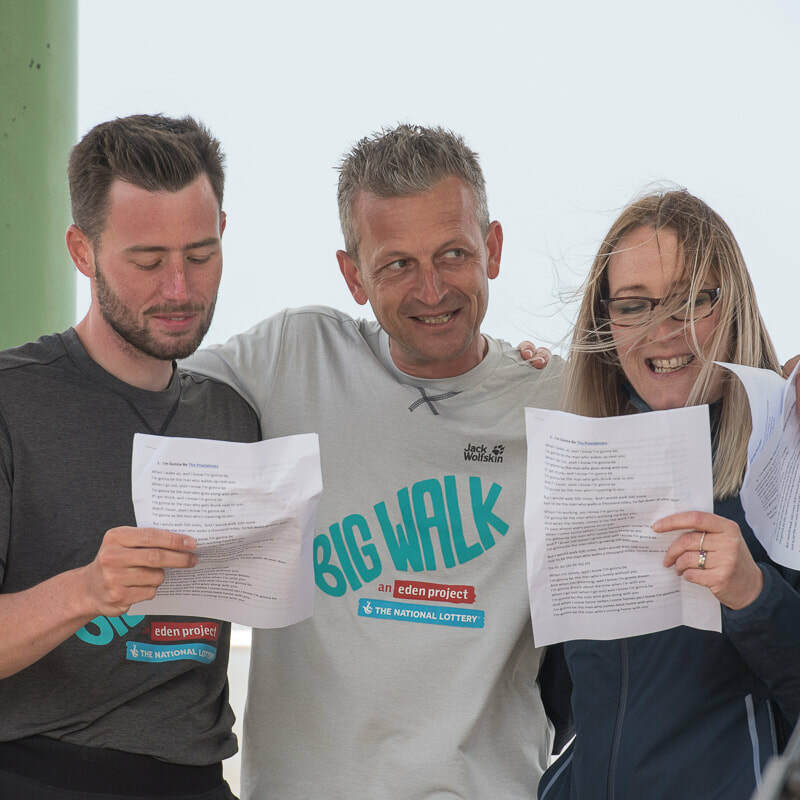 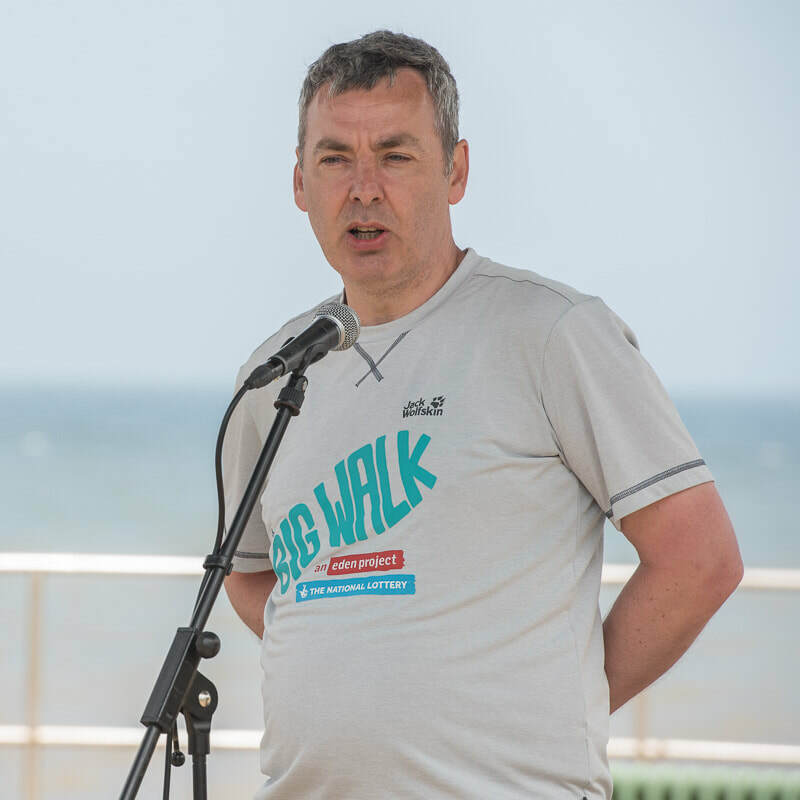 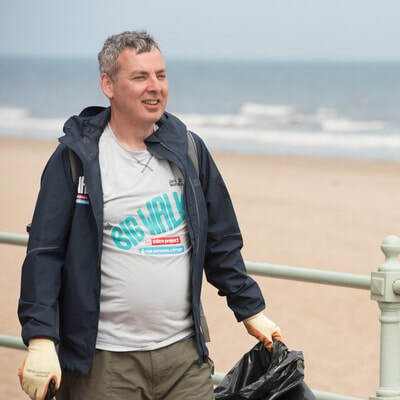 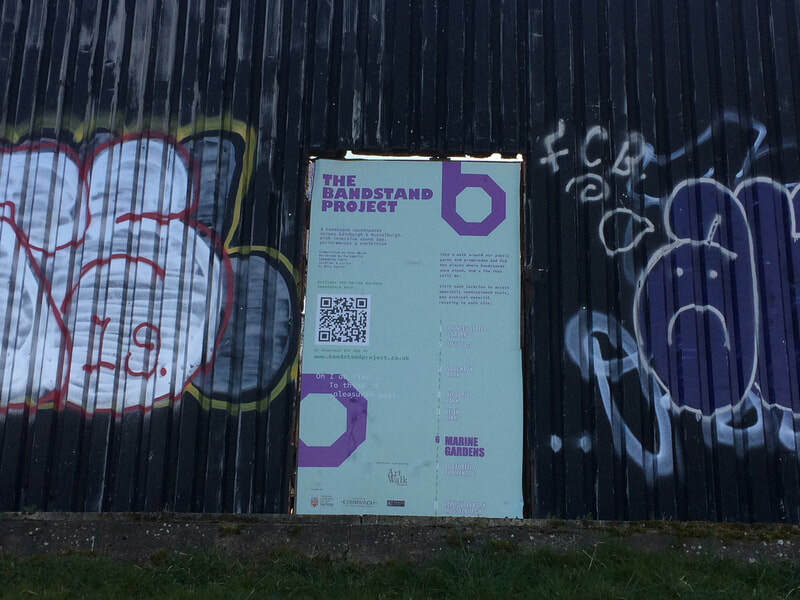 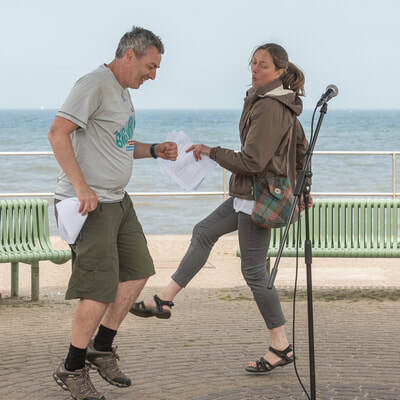 Last summer's Art Walk had a strong musical element, including the Bandstands project which is still present on the Prom at the sites of two former bandstands, There is an app related to the project with music and archive photographs to download when you get to the locations. 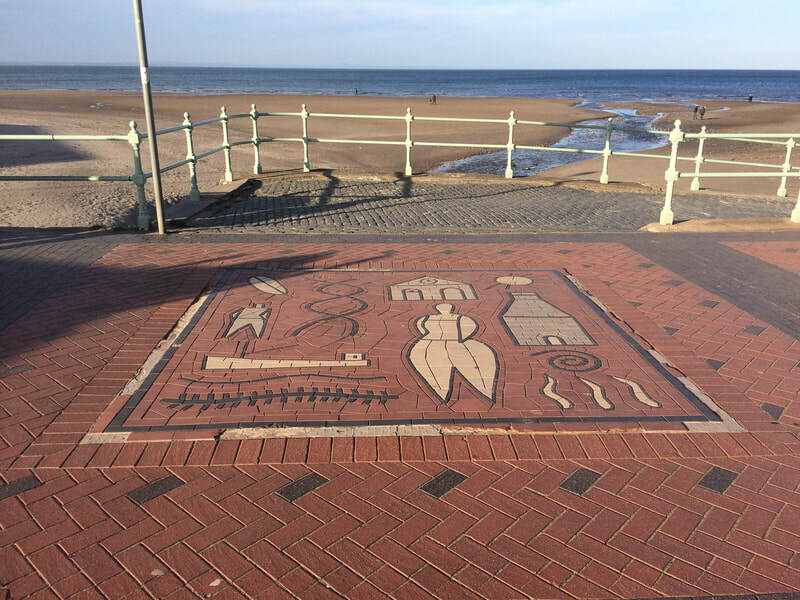 Great as it is to see these works of art along the Prom, there are also other, unofficial, pieces that appear and stay a while. They can vary in size - some are large and unmissable but others are small and tucked away so you can overlook them if you aren't paying attention. 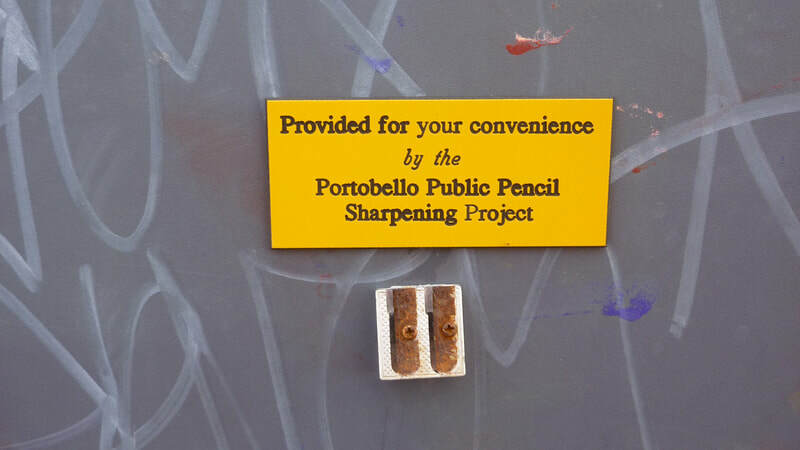 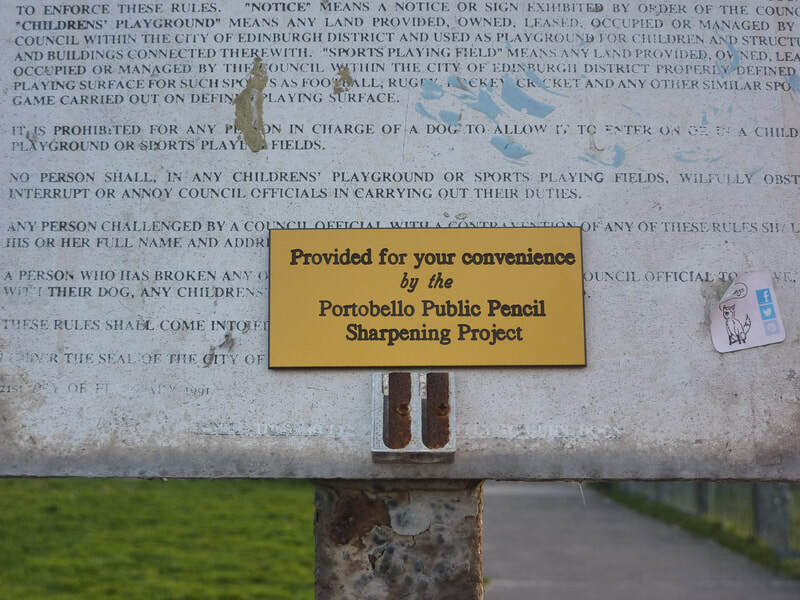 Like the Portobello Public Pencil Sharpening Project installations. 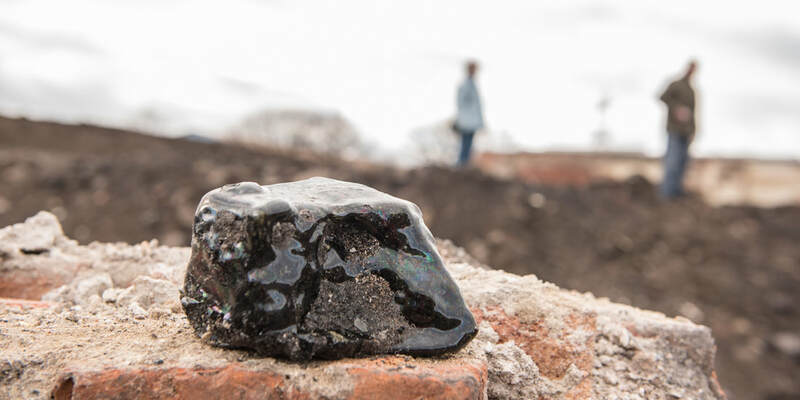 So far I have found four of them - I wonder if there are any more? 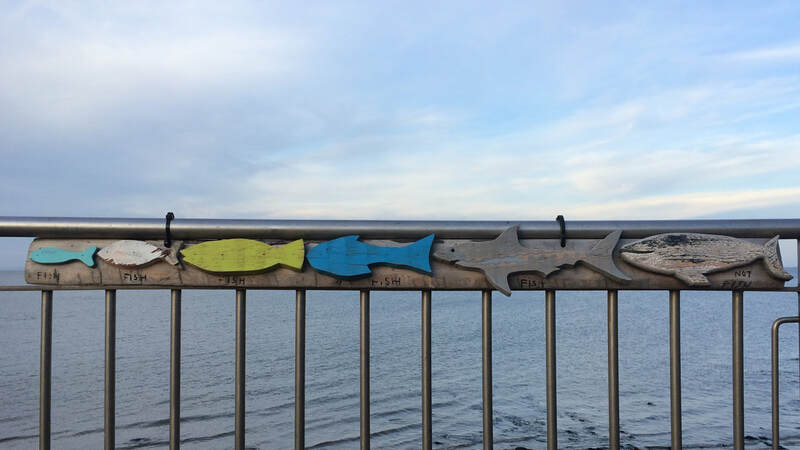 There were a number of wooden objects at different points along the Prom but most of them seemed to have gone except for the Fish, Fish, Not Fish piece. 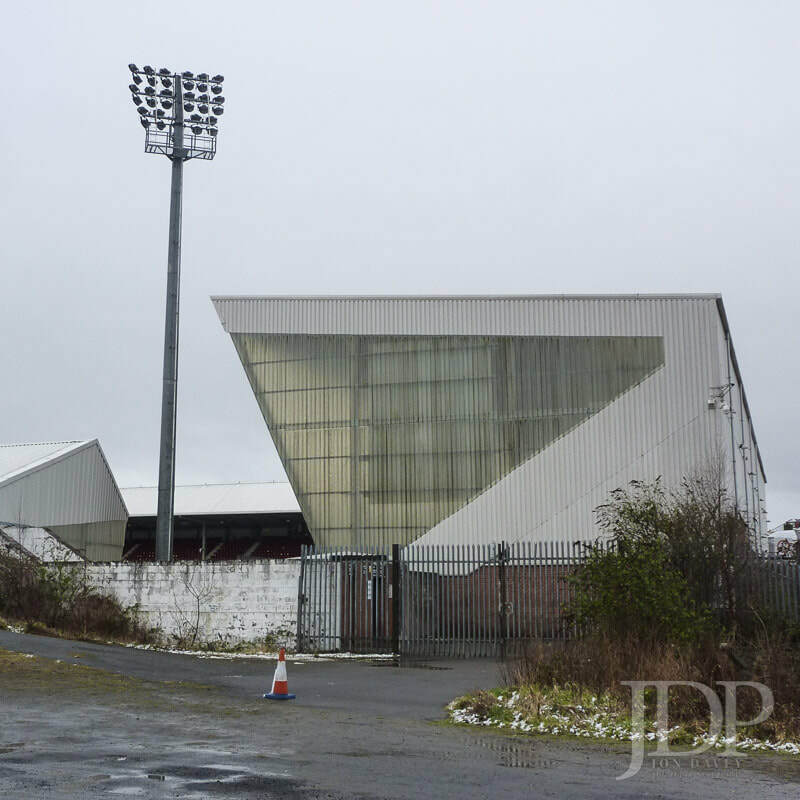 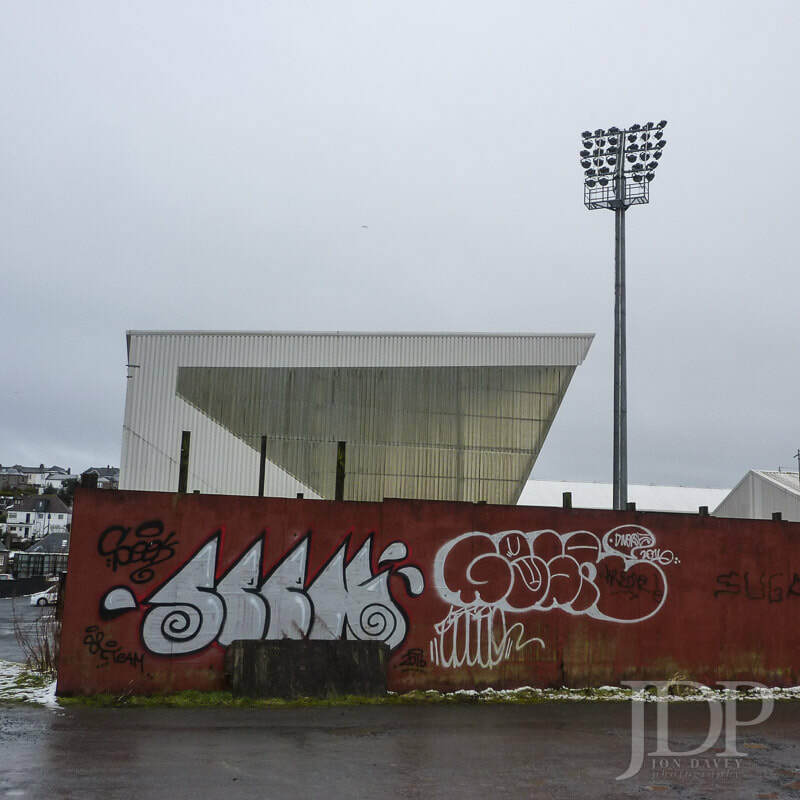 I wonder what art will appear next on the Prom? 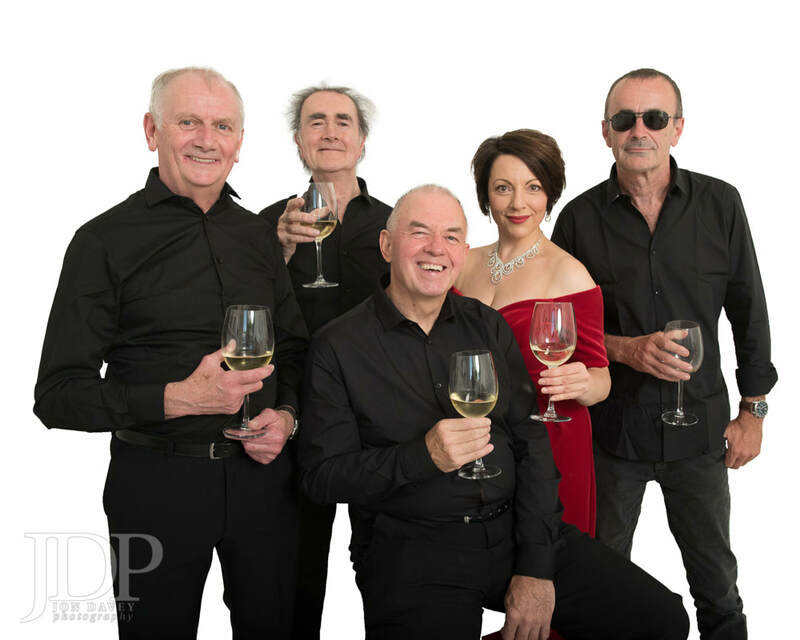 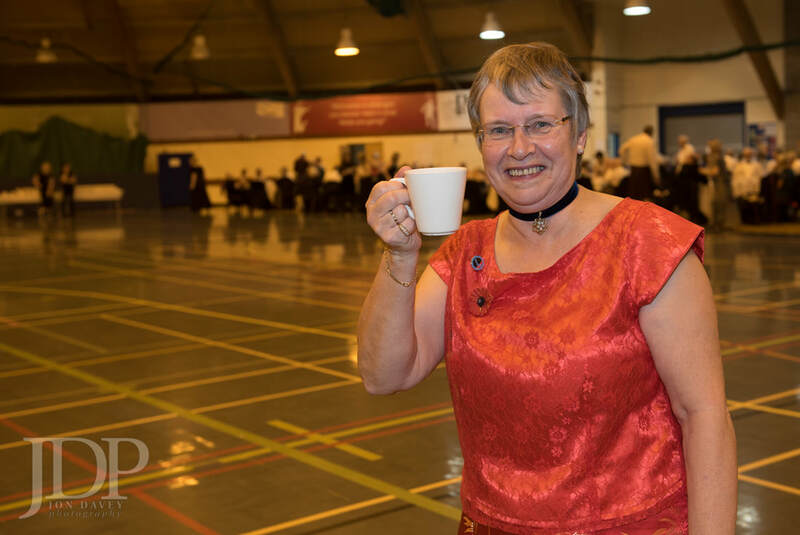 Some of the people, events and places I have photographed this year. 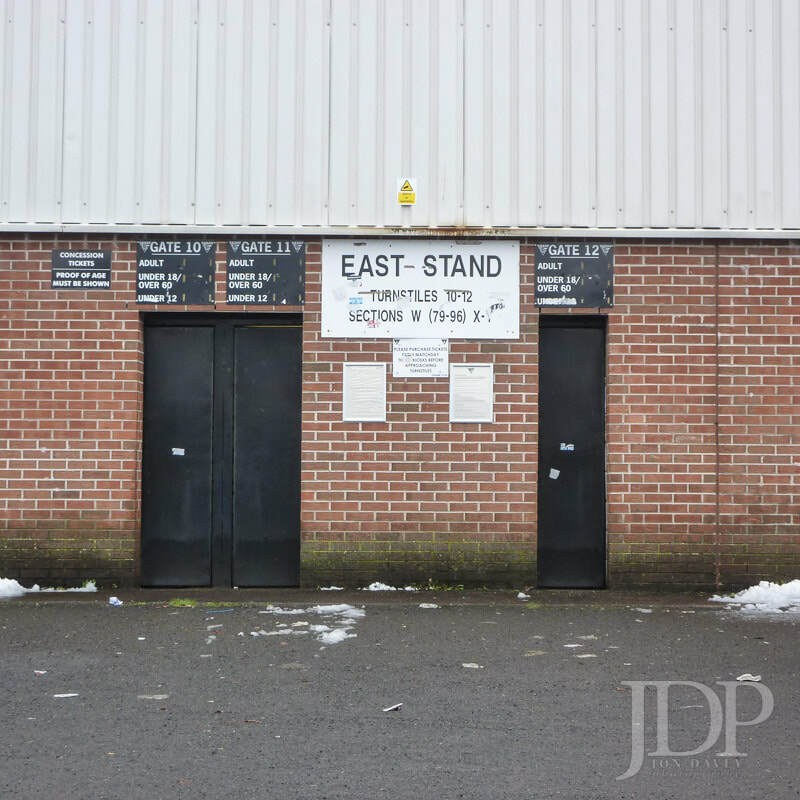 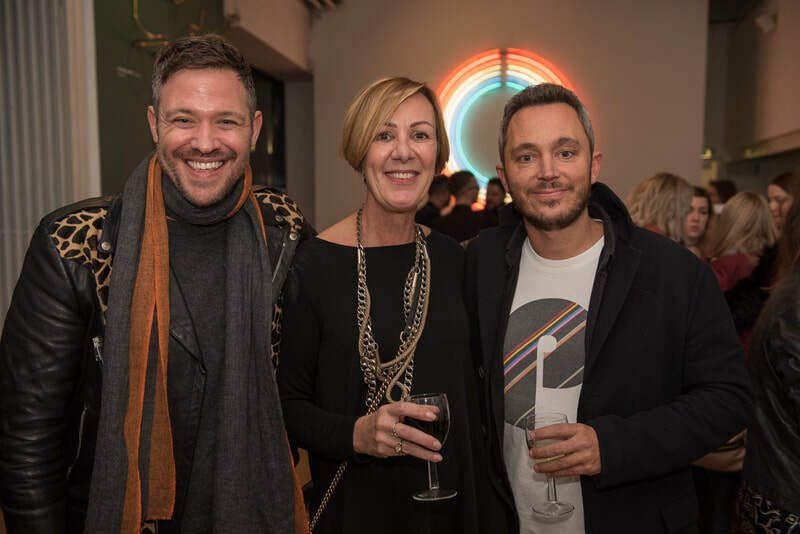 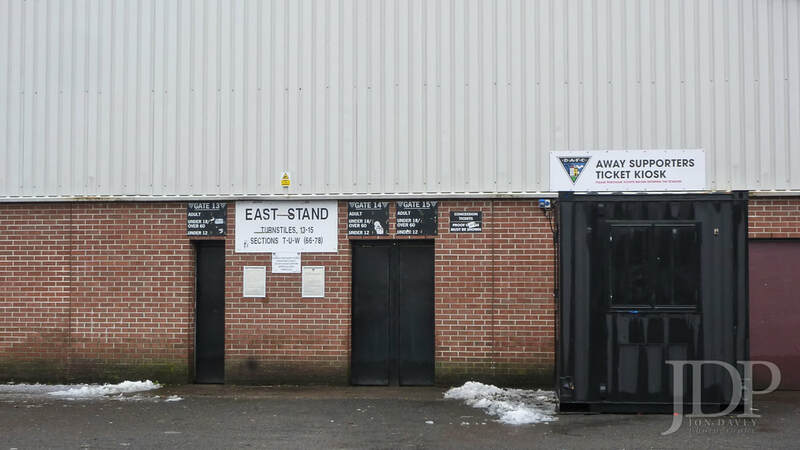 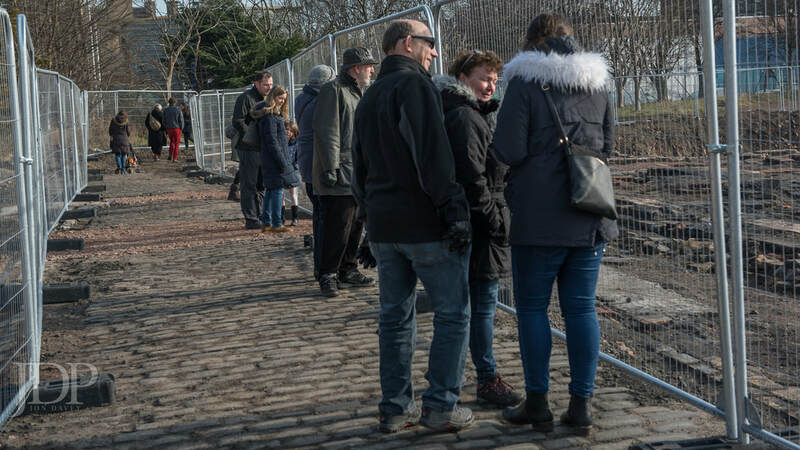 As 2018 comes to a close a quick look back through my year in Portobello. Lots of pictures down on the beach but also other places in Portobello. 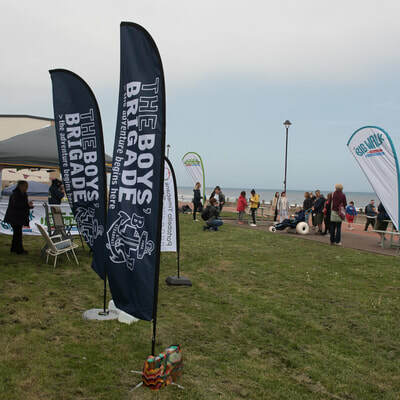 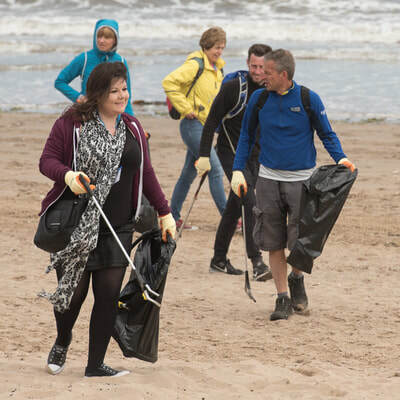 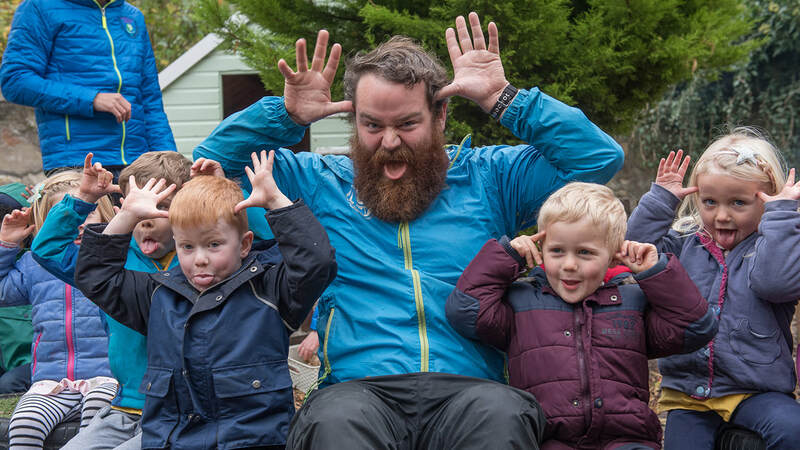 Scenery and weather, birds and sea creatures and plenty of community events. 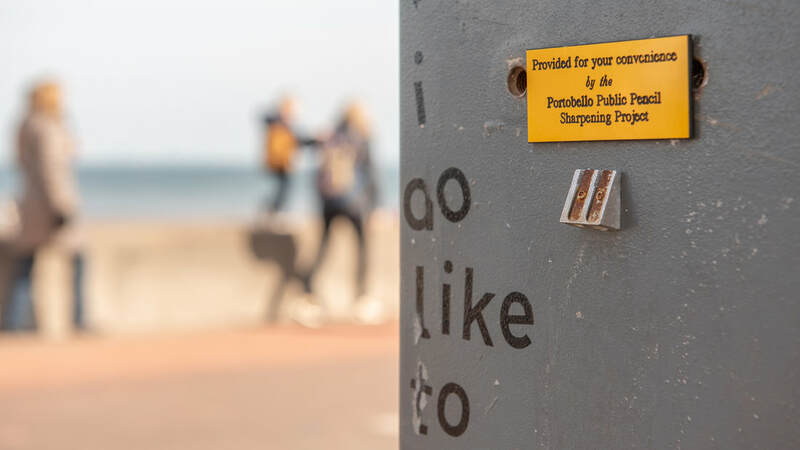 Some personal highlights were the reopening of Bellfield, the Big Beach Busk, Art Walk Porty, the Ganesh Festival and the Christmas Street Festival but I also love the little details I have spotted and photographed through the year. 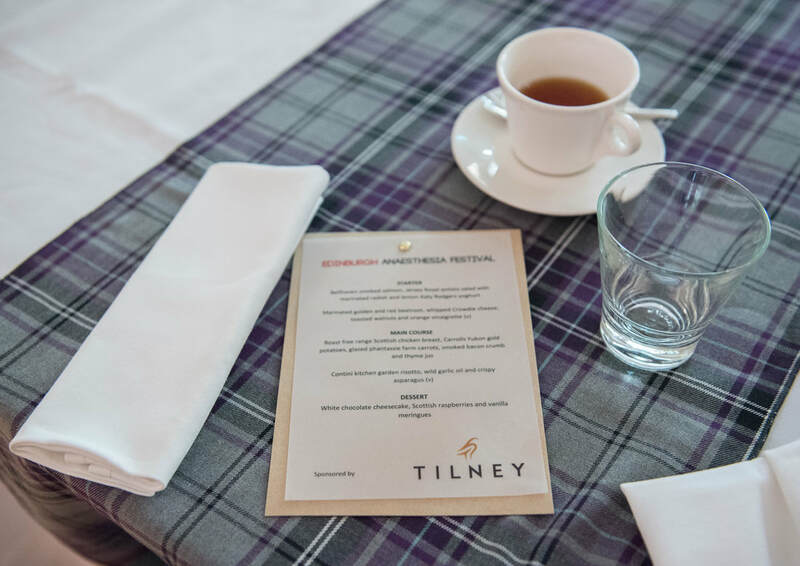 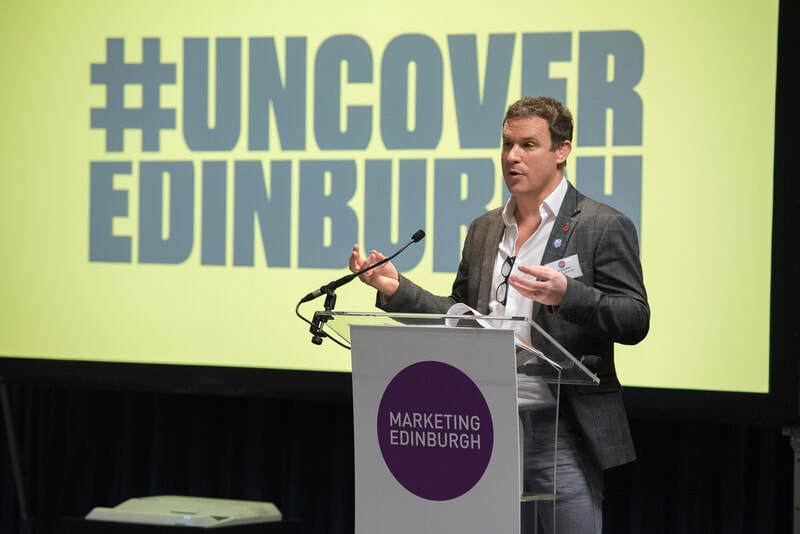 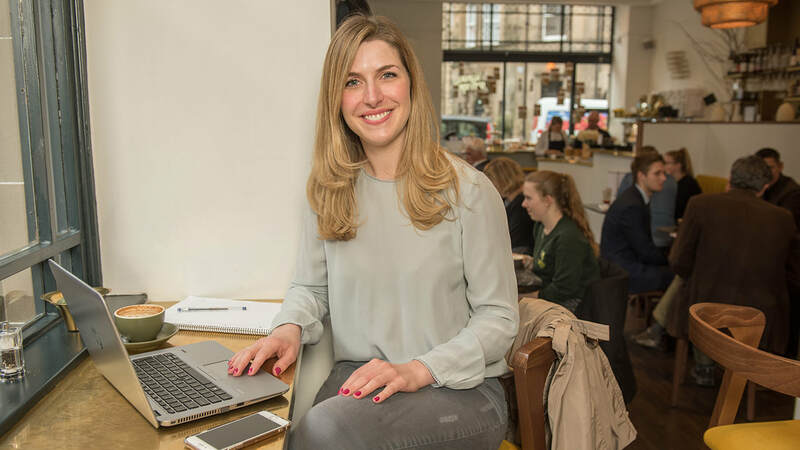 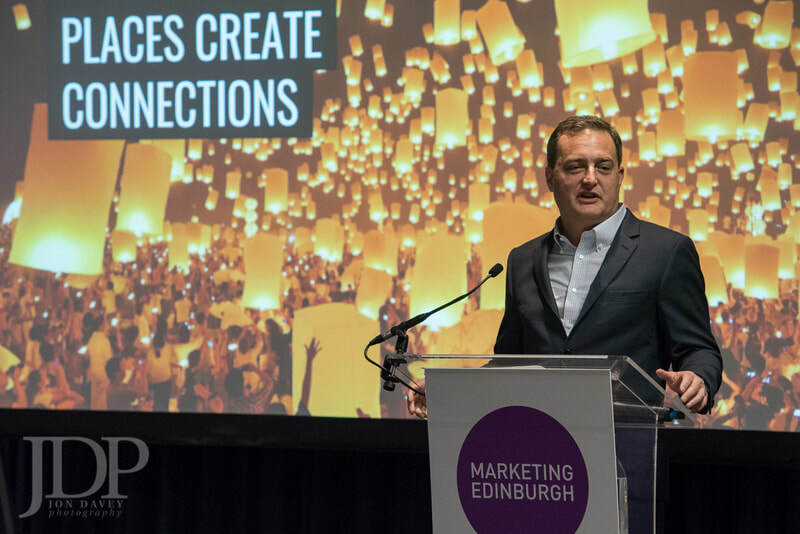 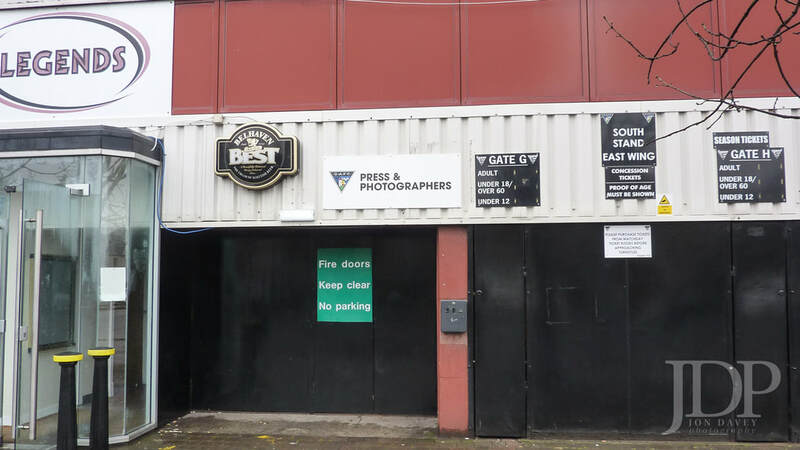 A chance for some networking over breakfast and then some updates from the different elements of Marketing Edinburgh. 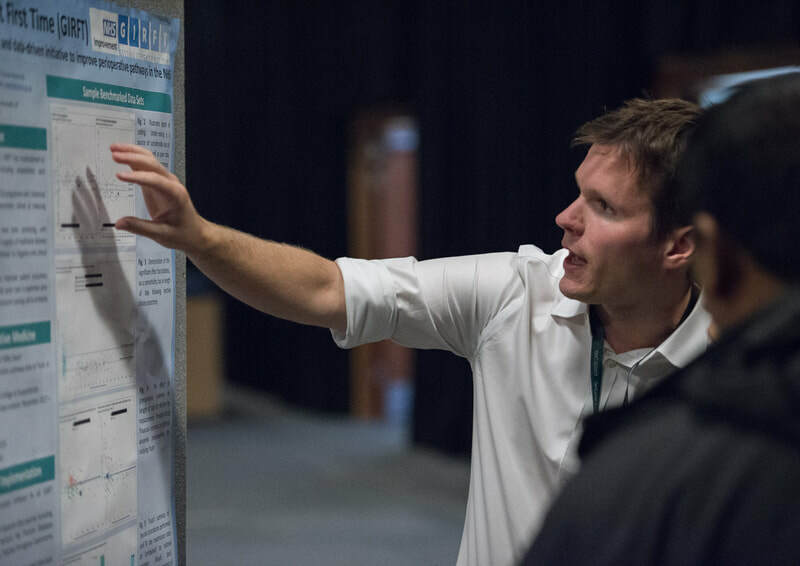 After the break a keynote talk from Chris Fair on "The Second 'M' in DMMO". 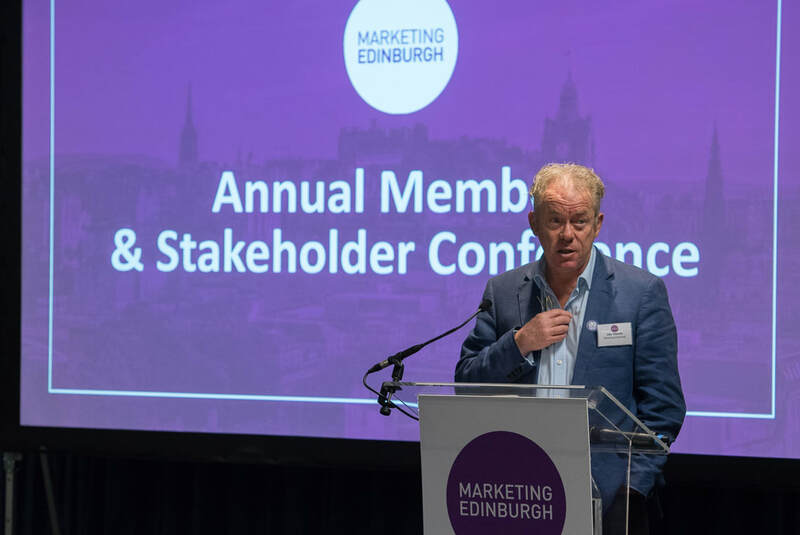 DMO used to be Destination Marketing Organisation but it is increasingly morphing into Destination Management Organisation. 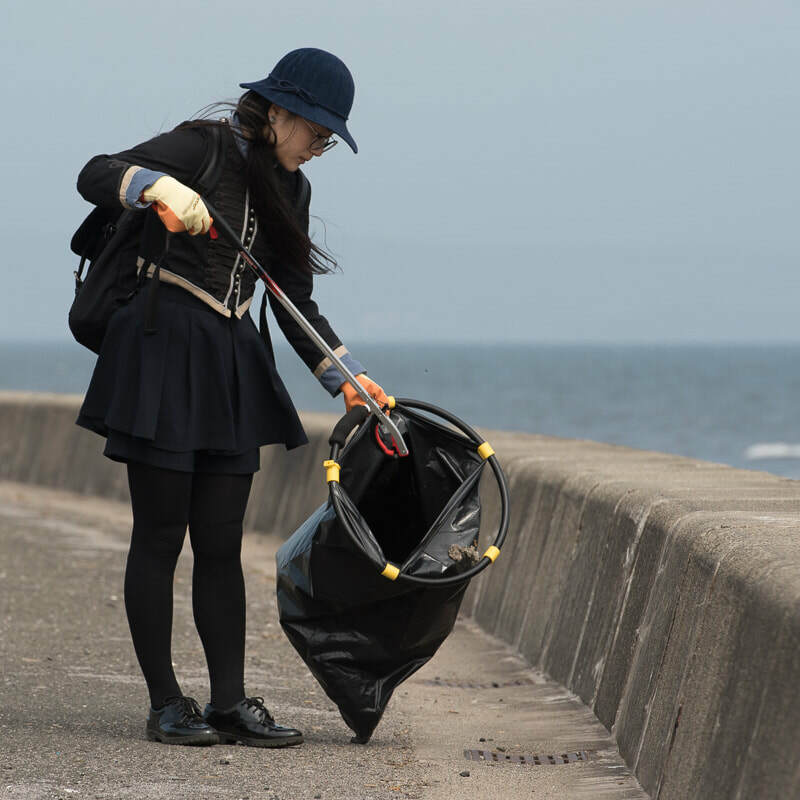 Combining the two gives DMMO. 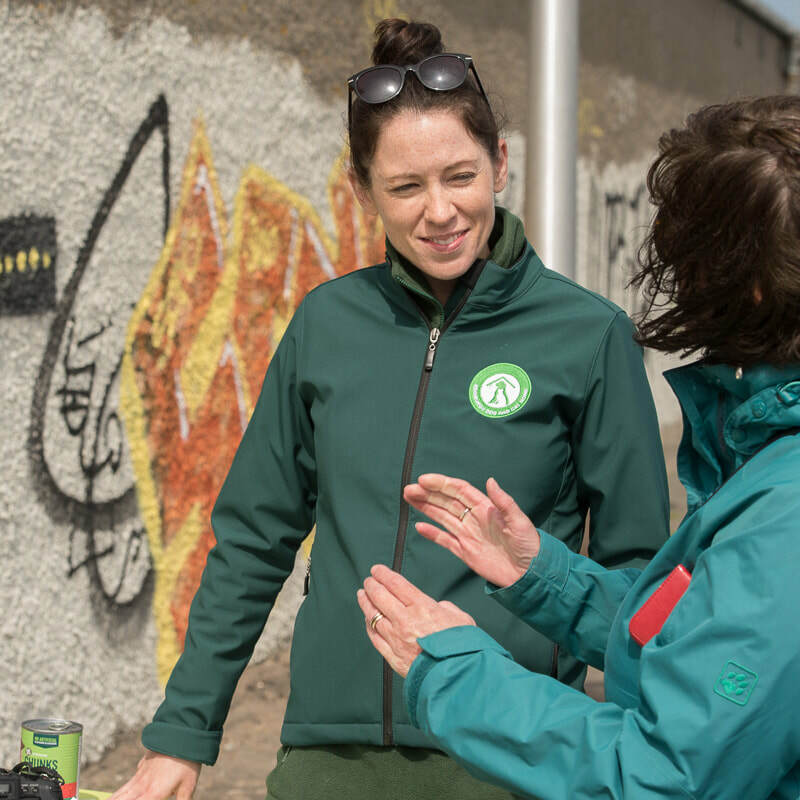 This is all about ideas of 'place-making' for residents and visitors, directing more spending to managing better places to live and visit and the marketing will follow (through visitor/resident generated content on social media). 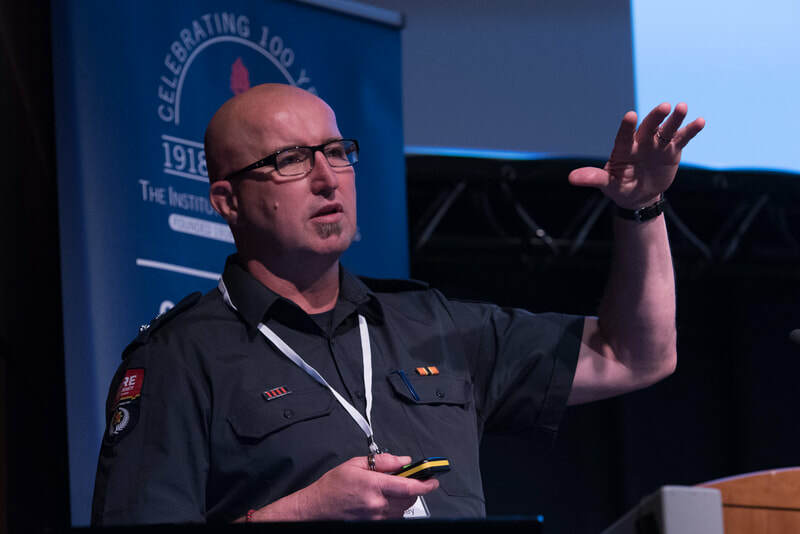 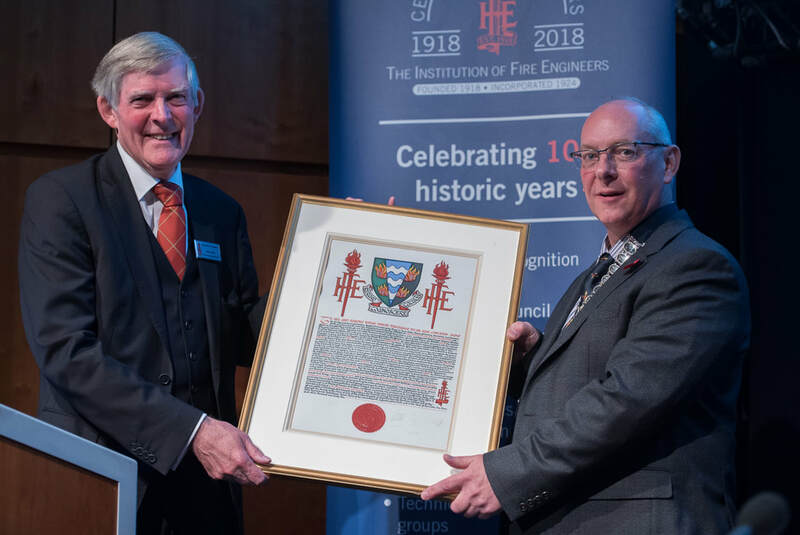 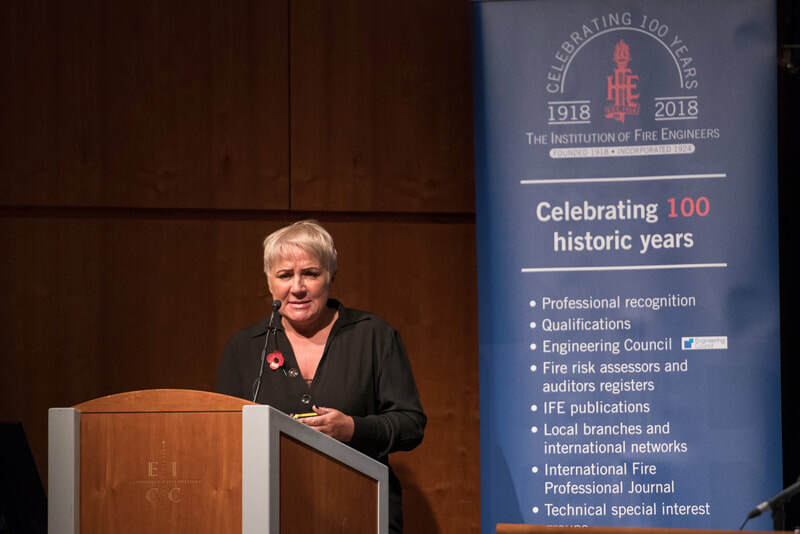 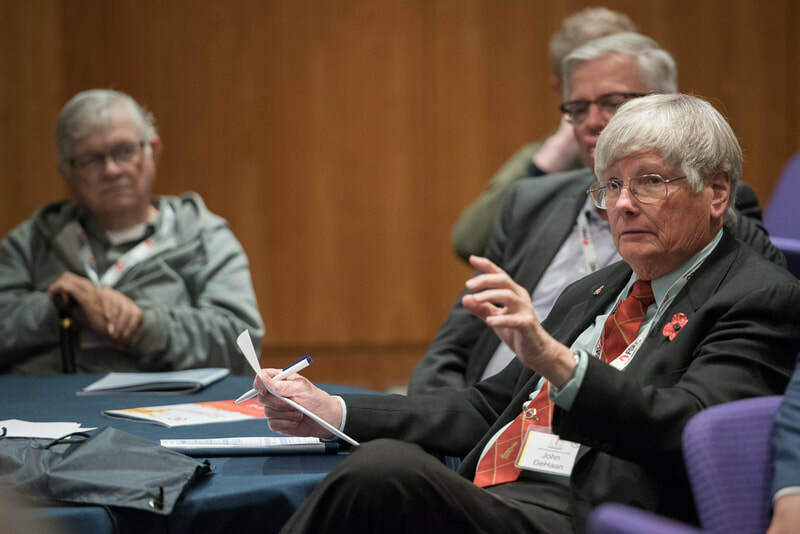 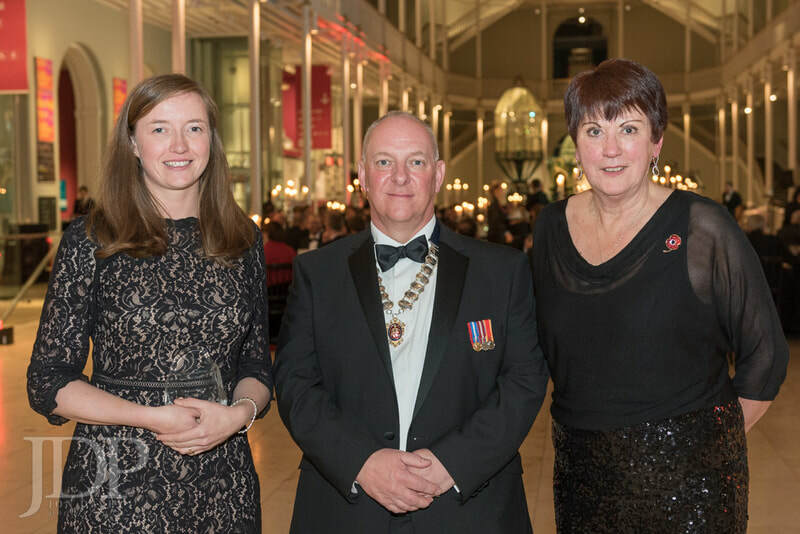 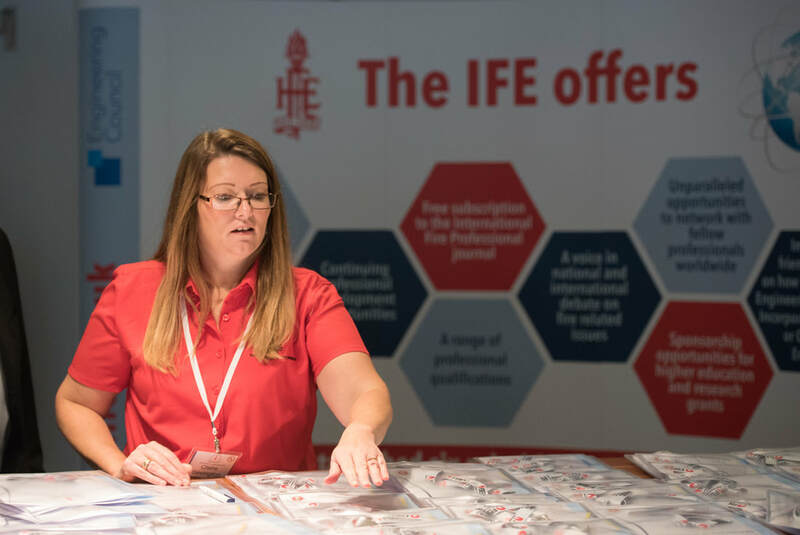 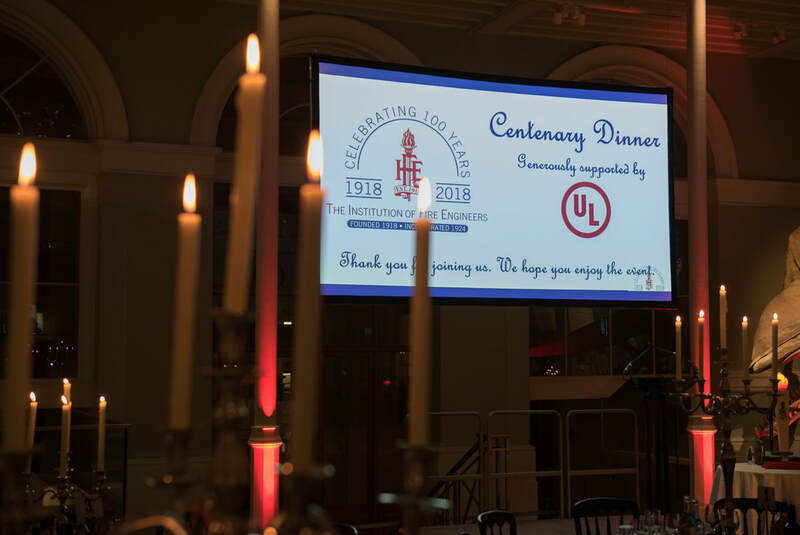 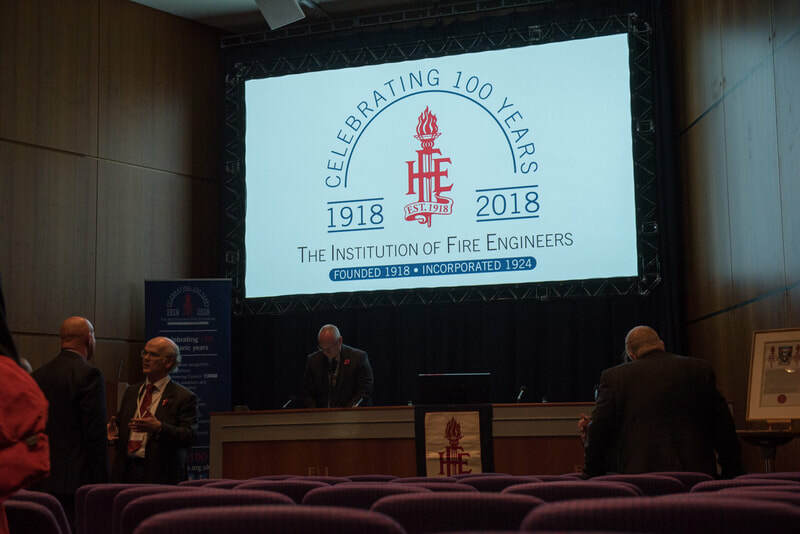 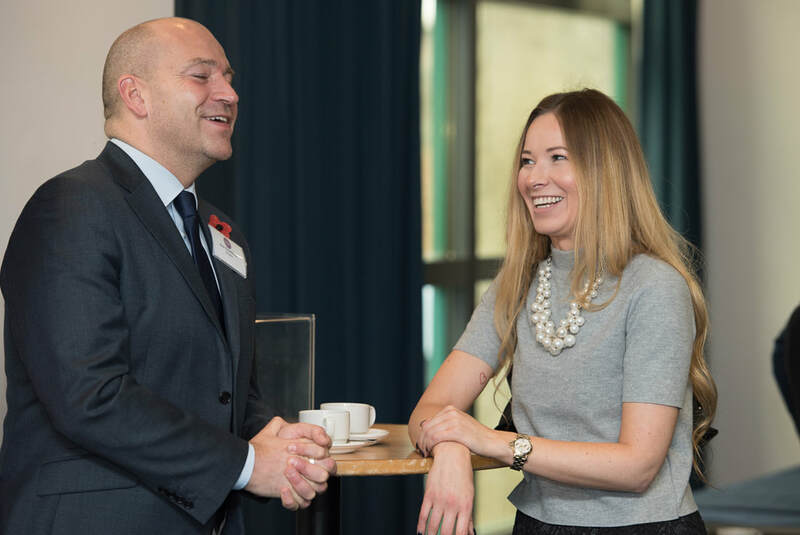 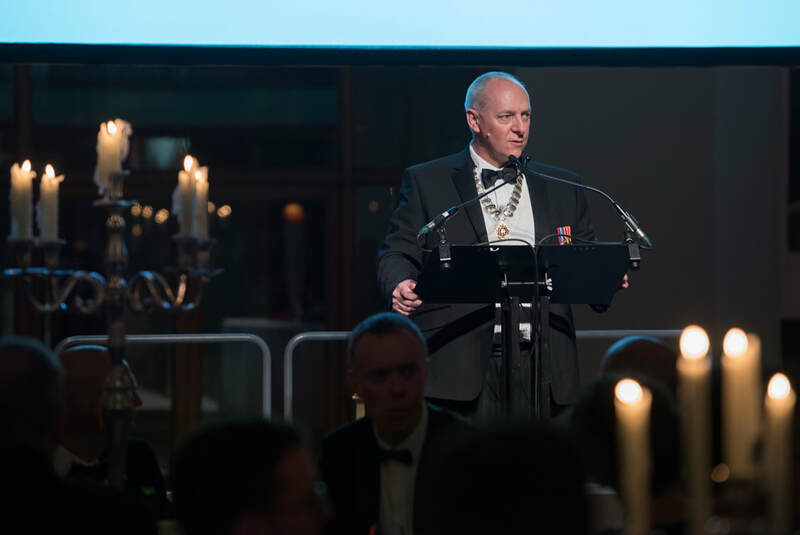 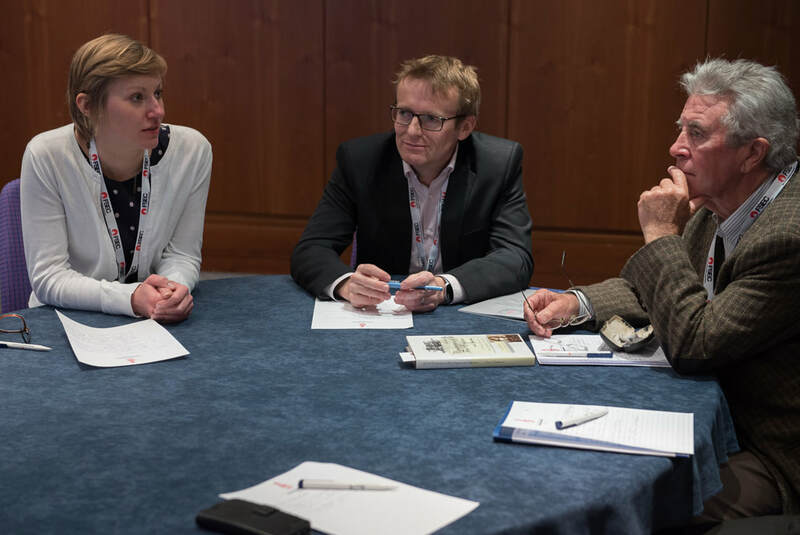 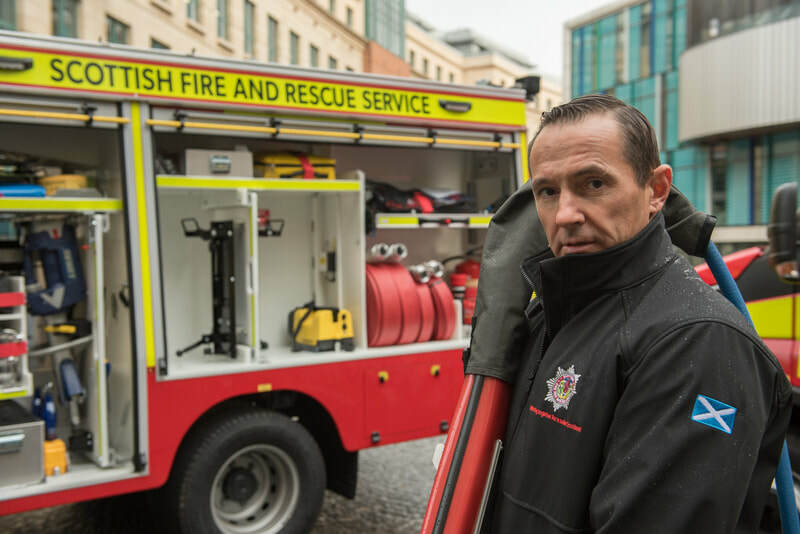 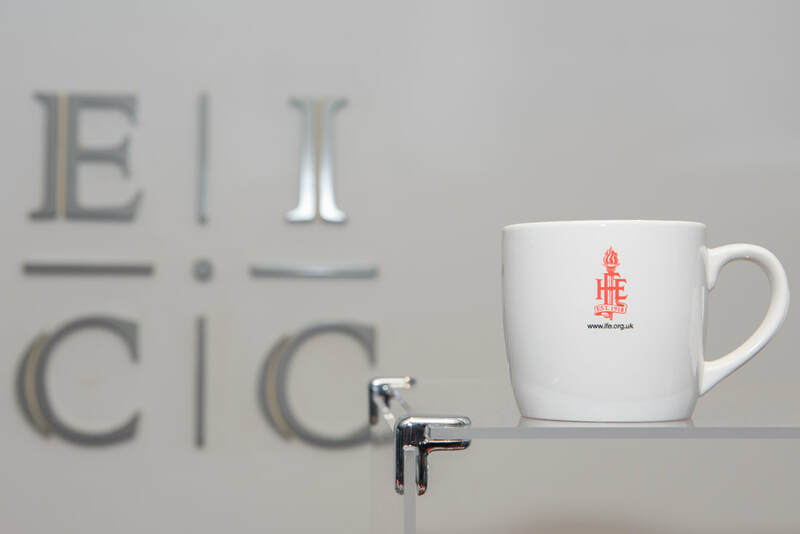 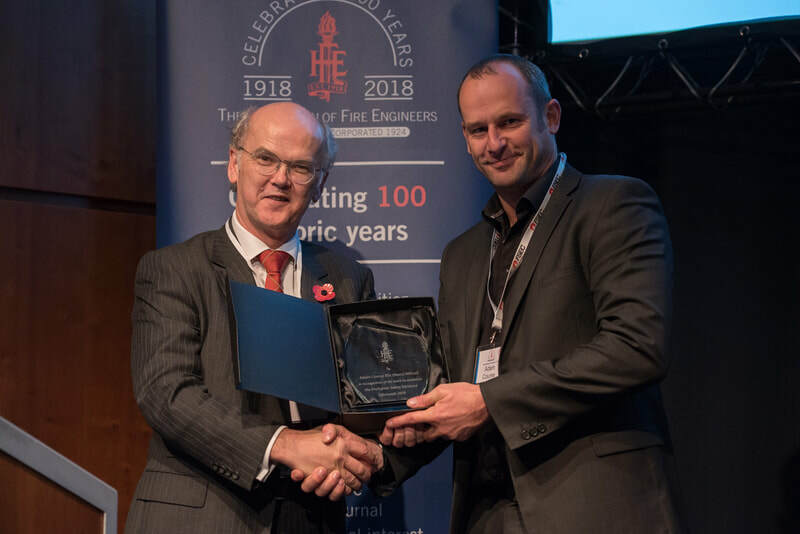 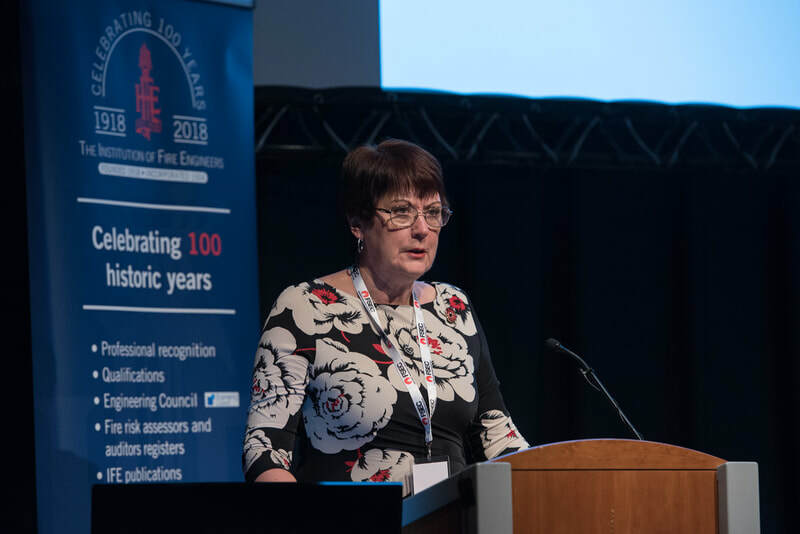 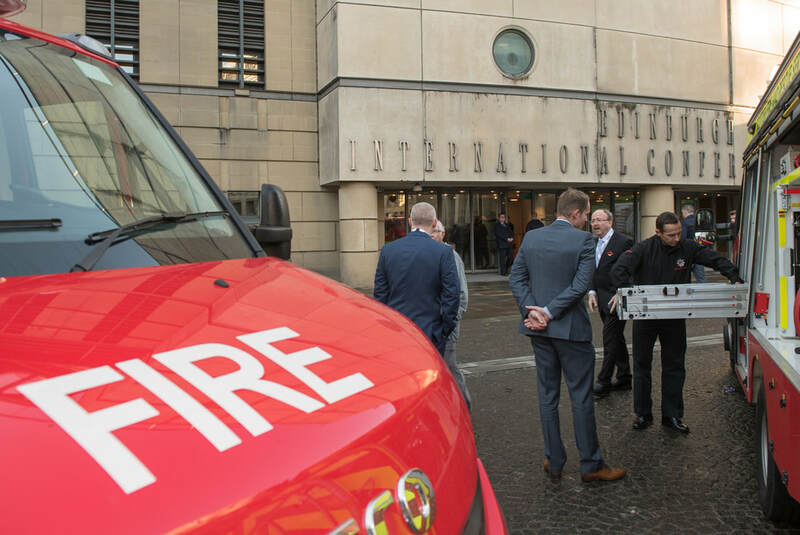 The Institution of Fire Engineers International Conference focussed on the organisation's centenary theme of ‘Young people and fire; reducing risks and saving lives’. 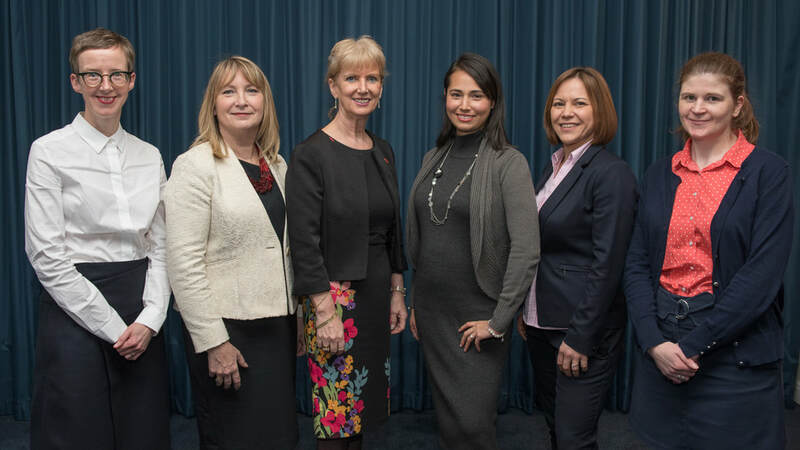 The IFE hosted Dame Judith Hackitt who provided an update on the Independent Review of Building Regulations and Fire Safety, as well as a range of expert speakers from around the globe on subjects including fires in nightclubs; school fires and the importance of sprinklers; wildfires; and fire safety strategy in healthcare facilities. 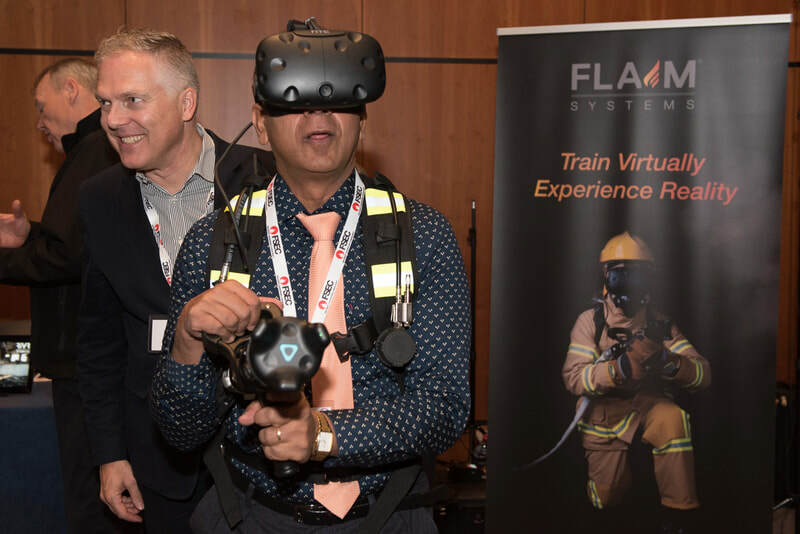 Delegates also benefitted from updates from LABC, the NFPA and the Ministry of Housing, Communities and Local Government. 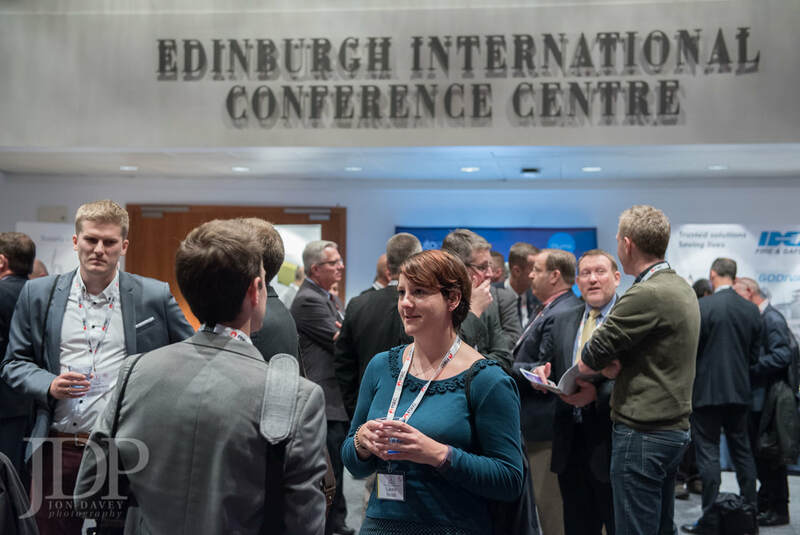 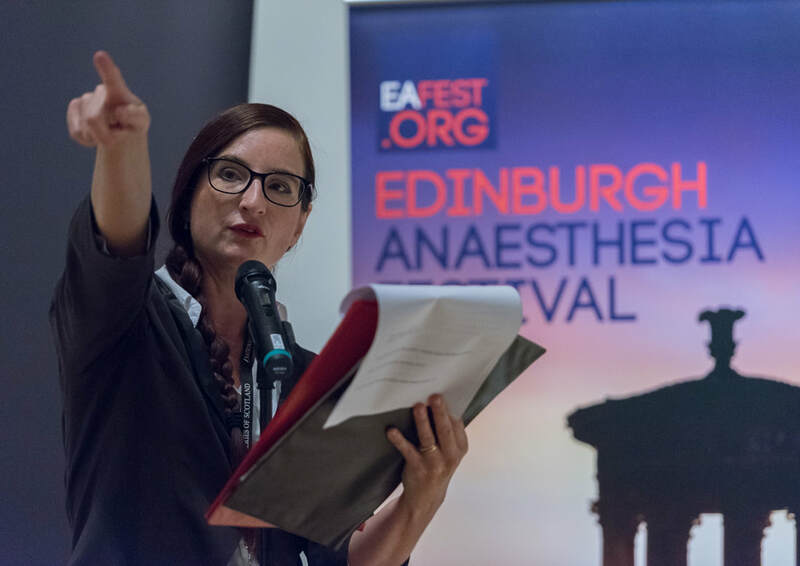 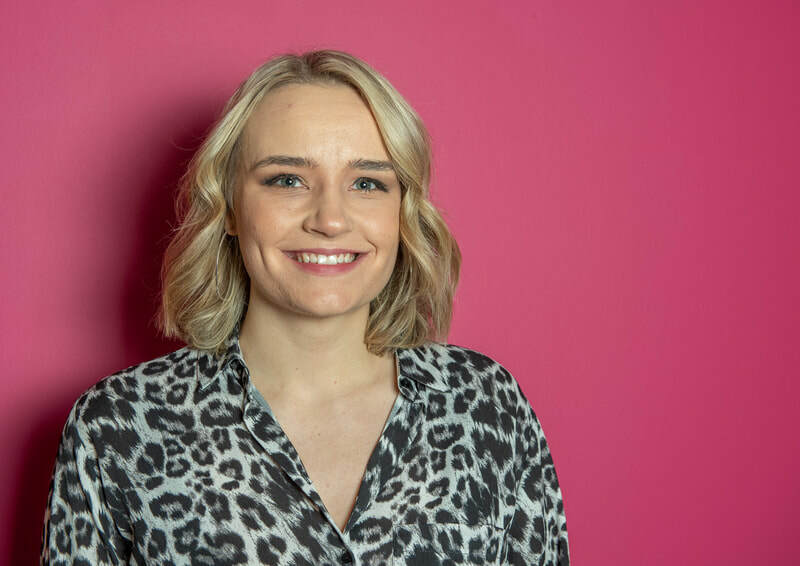 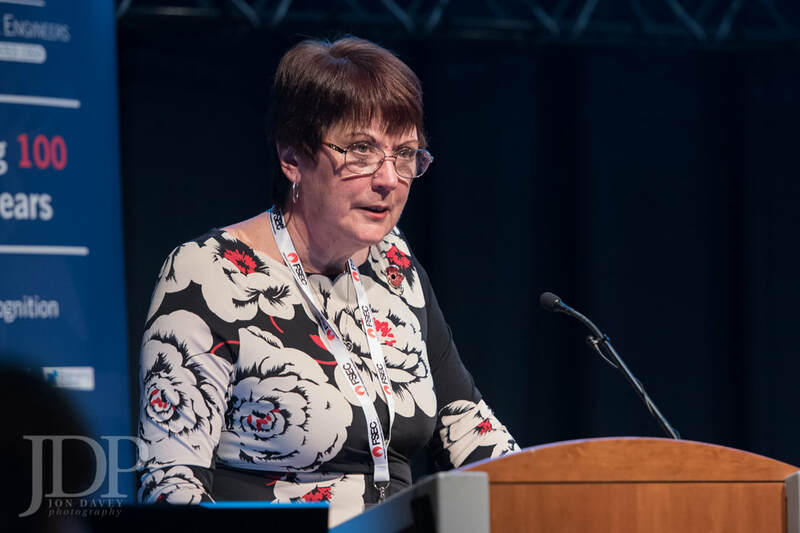 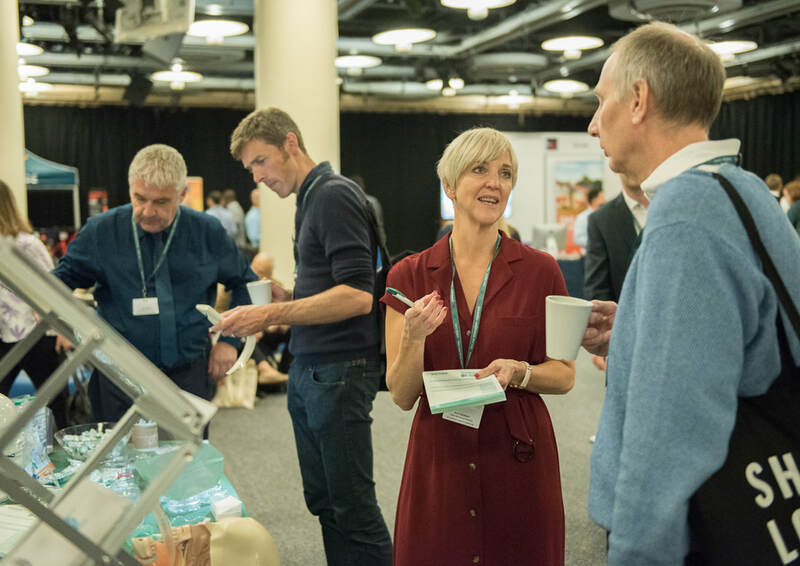 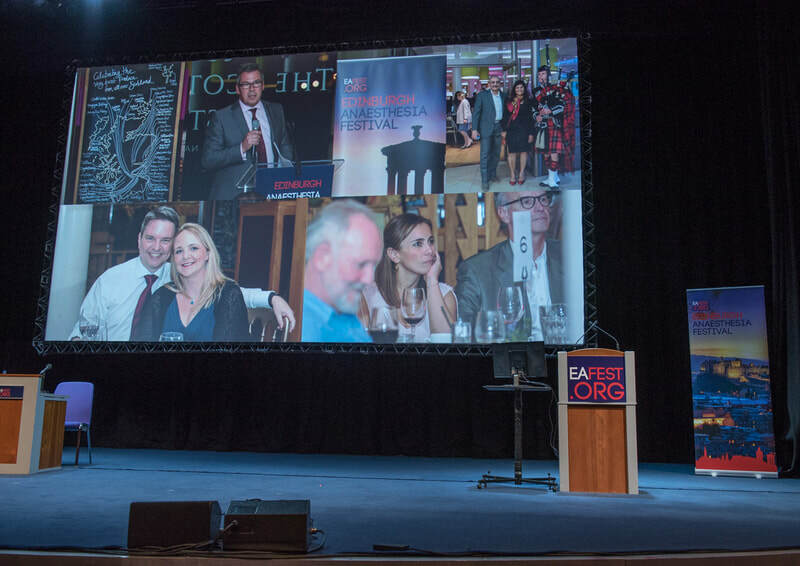 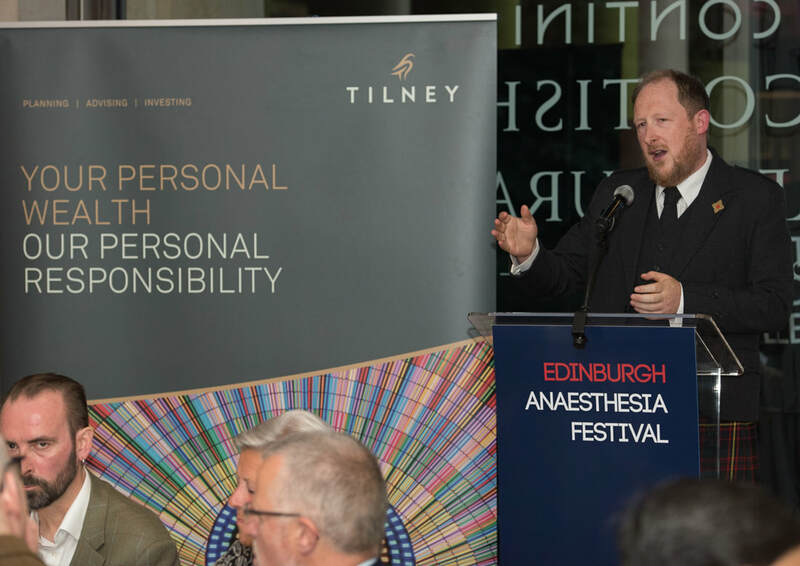 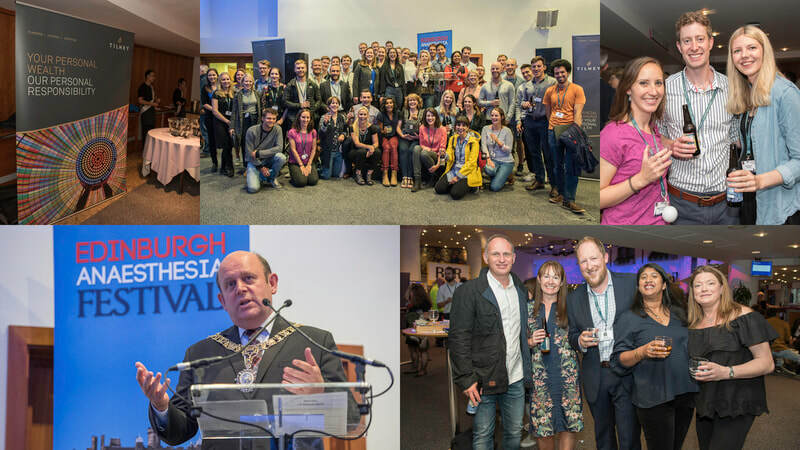 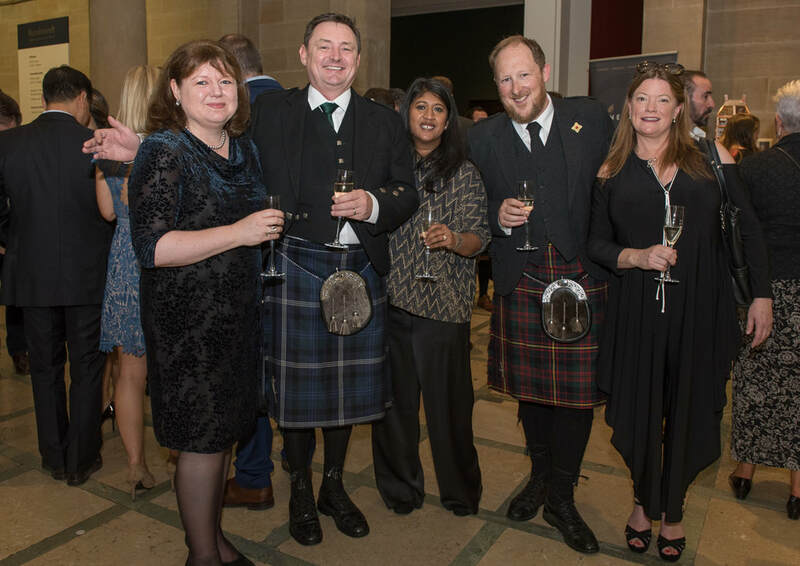 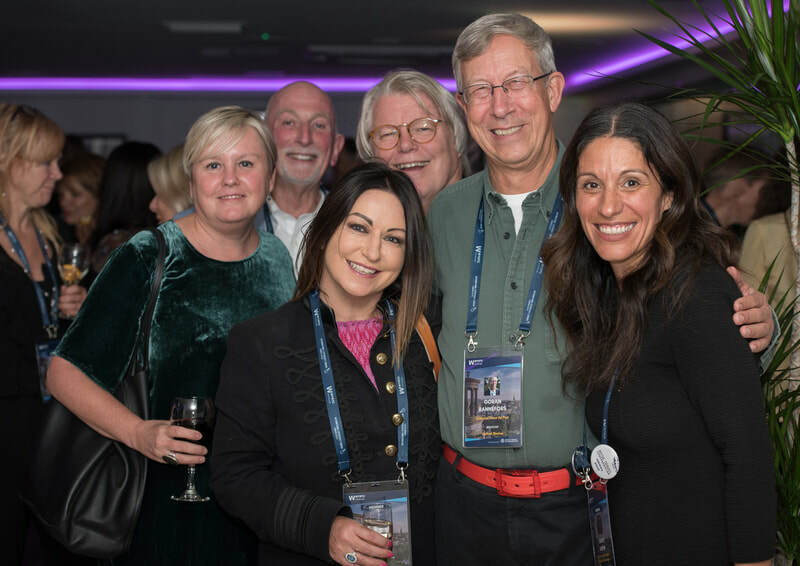 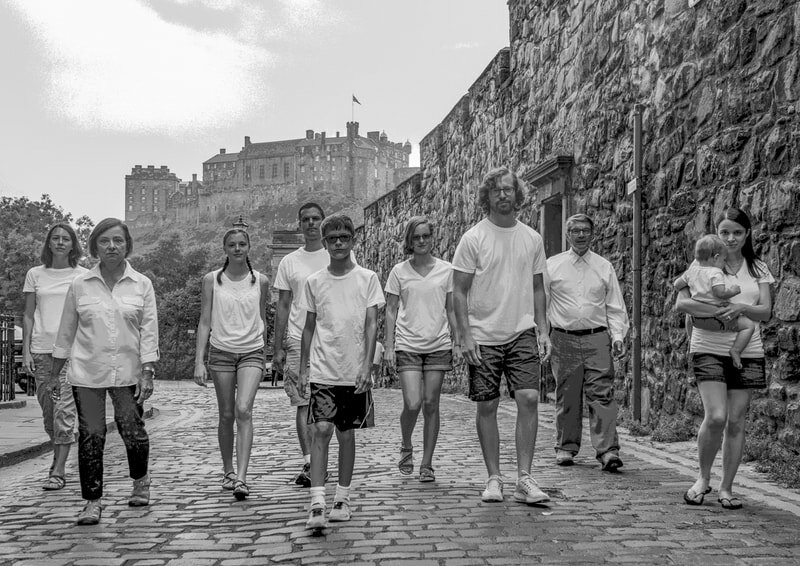 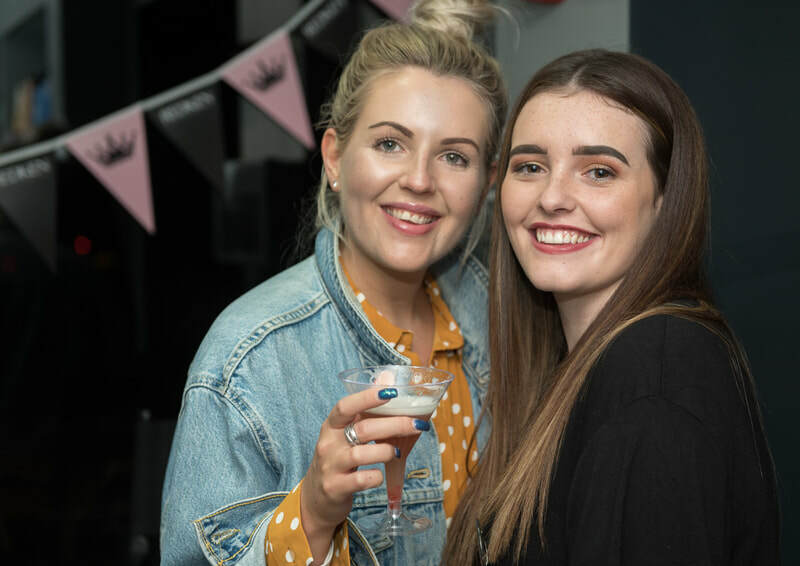 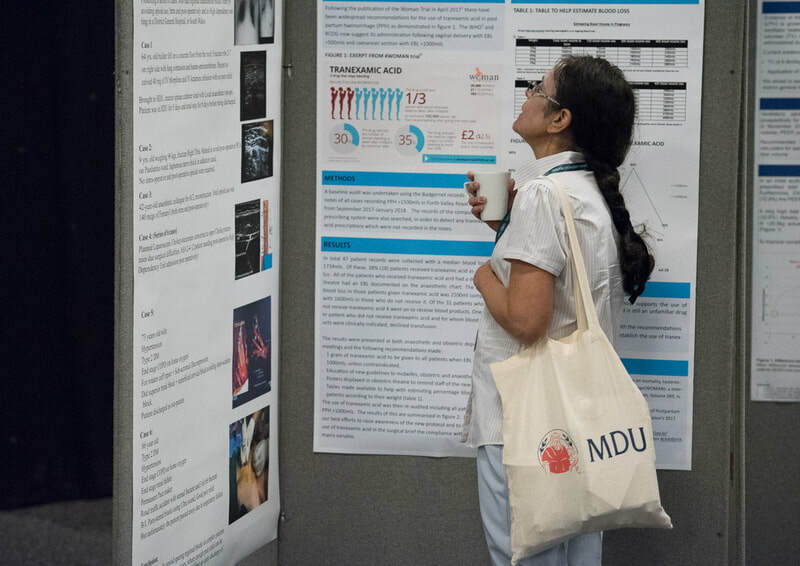 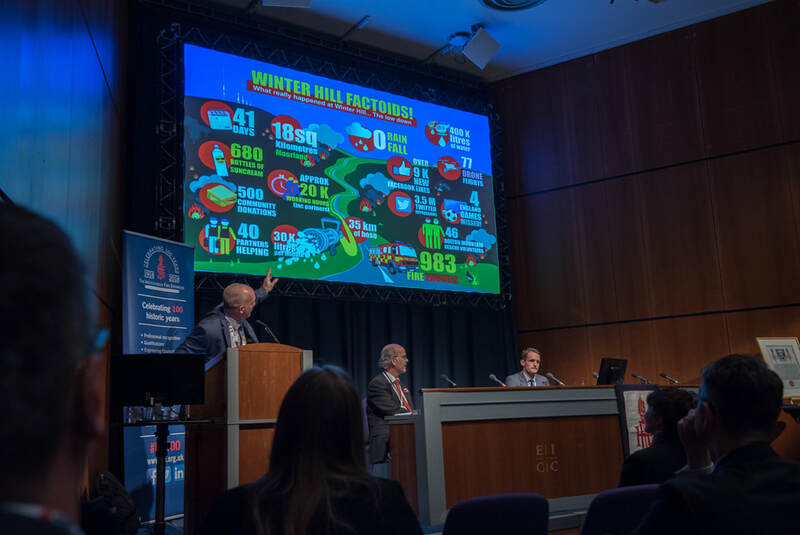 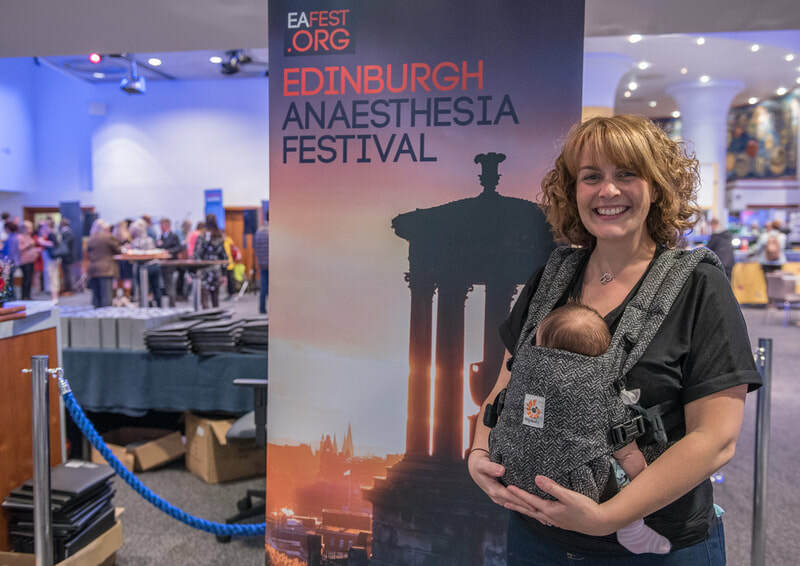 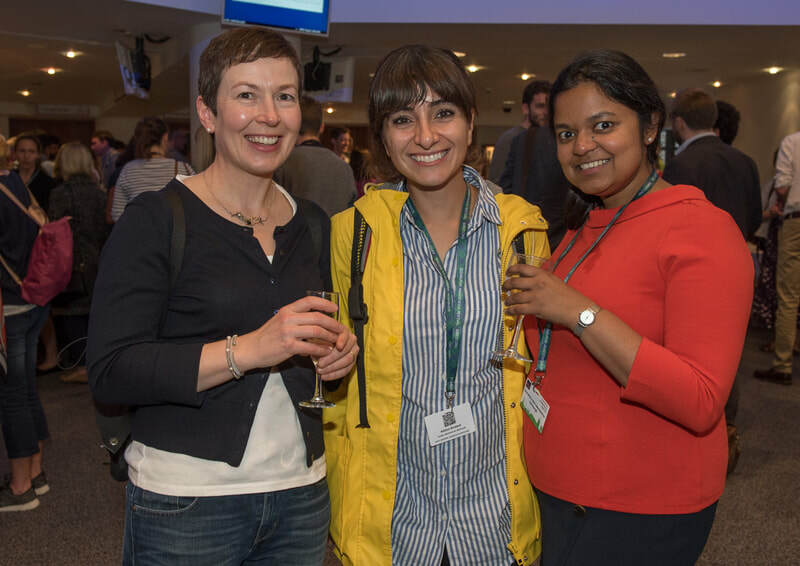 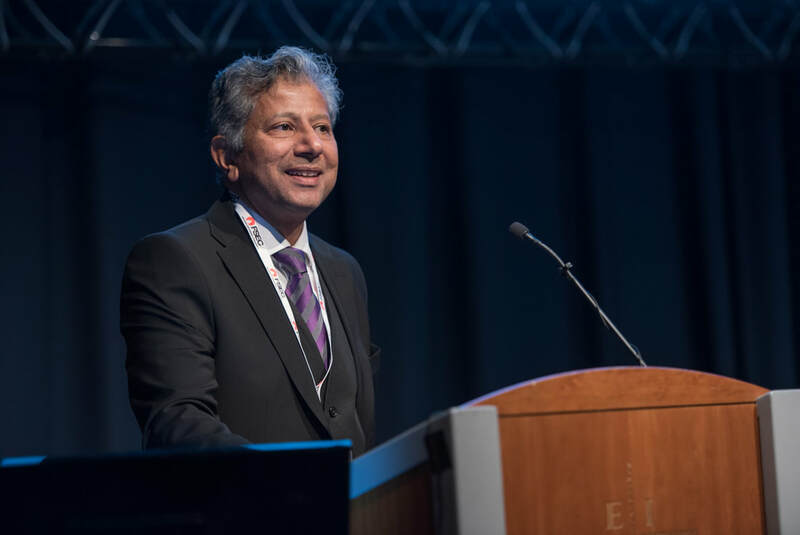 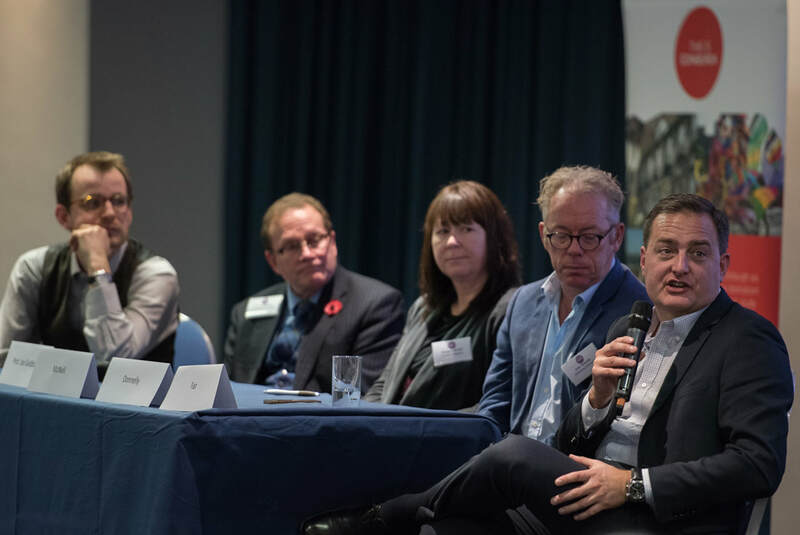 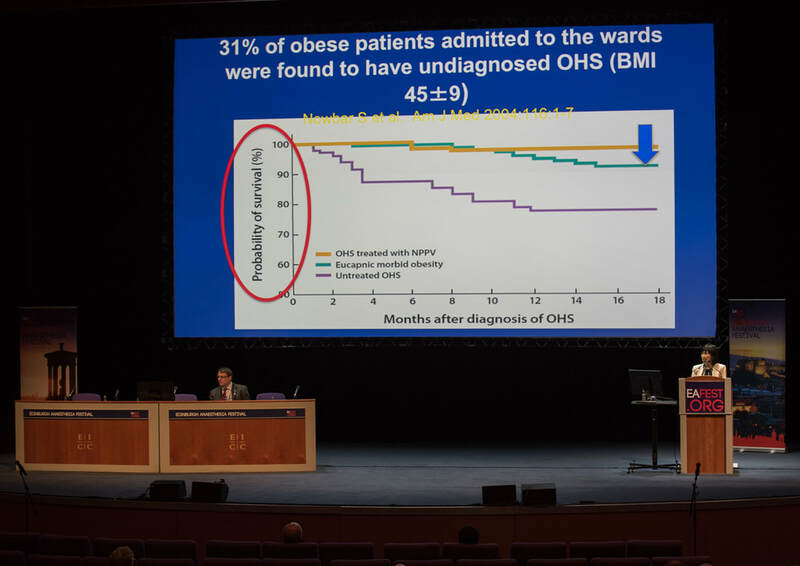 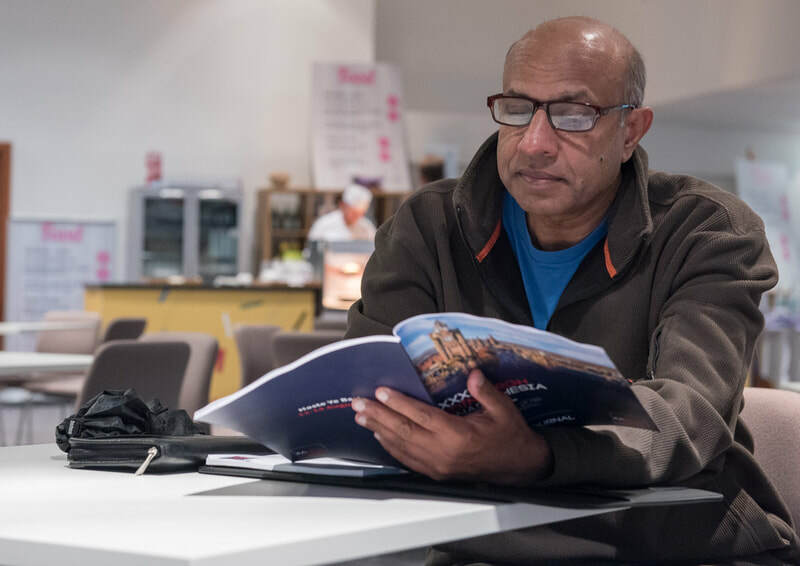 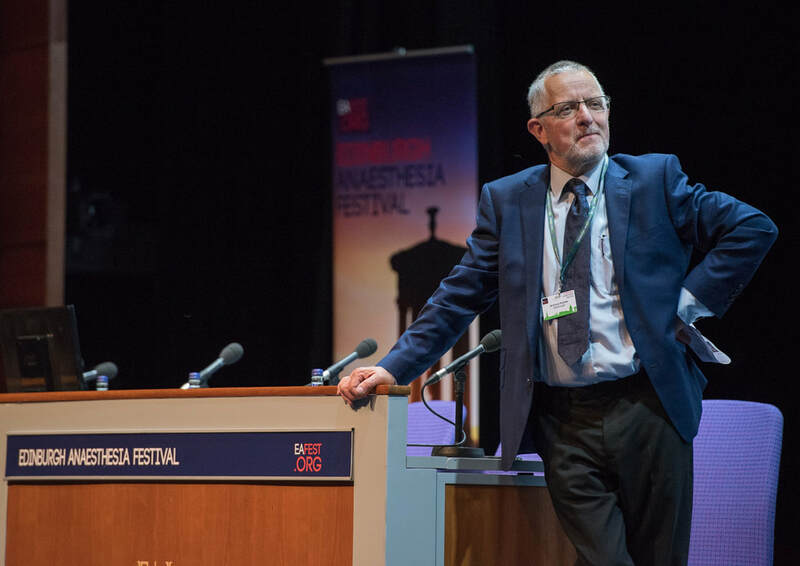 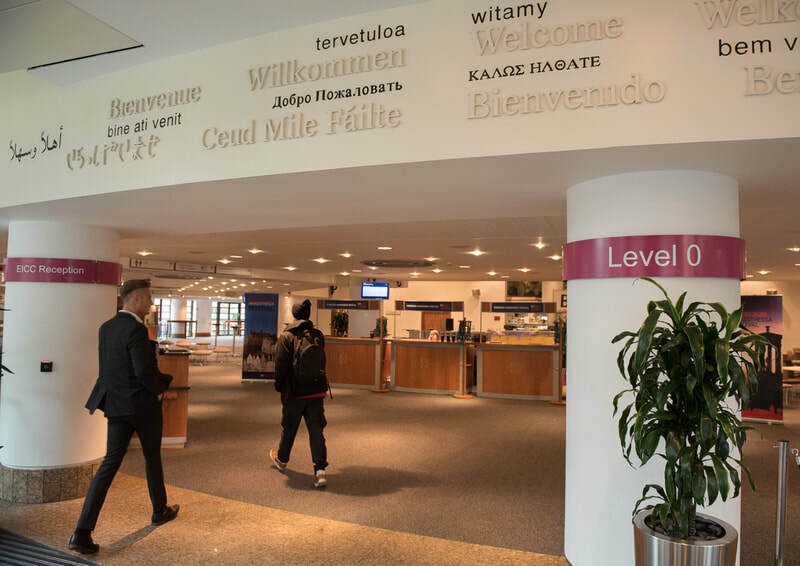 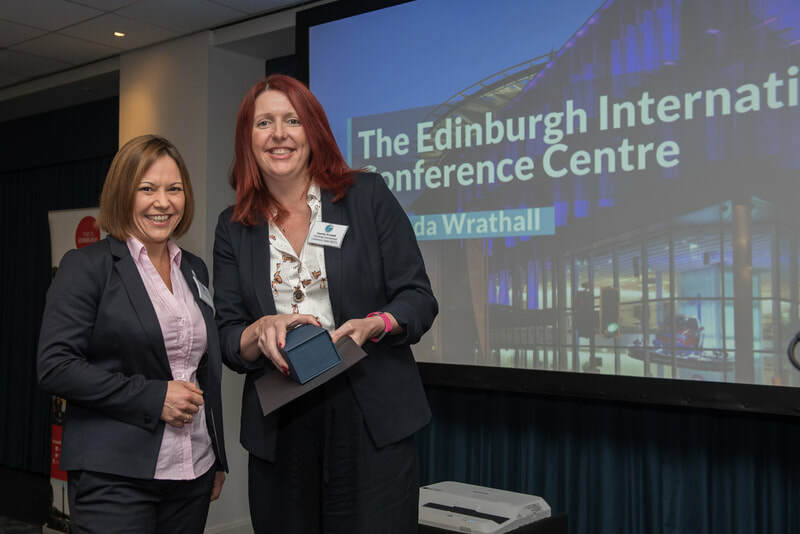 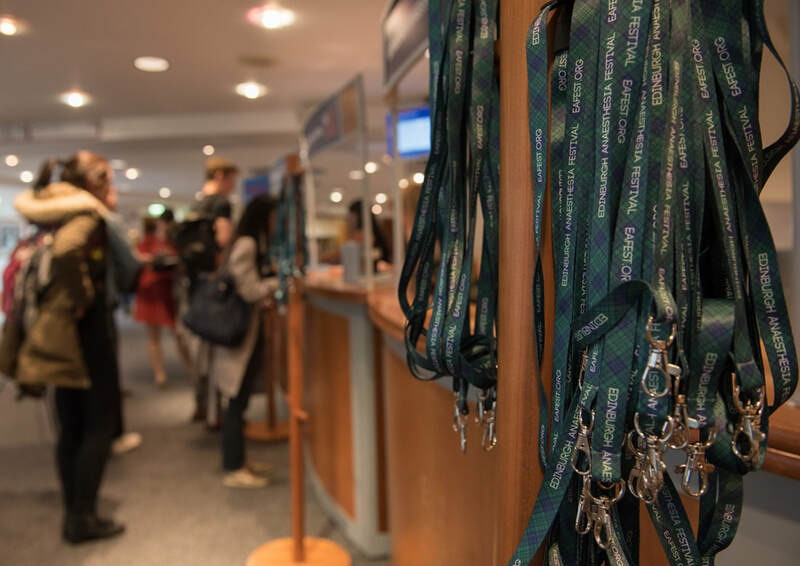 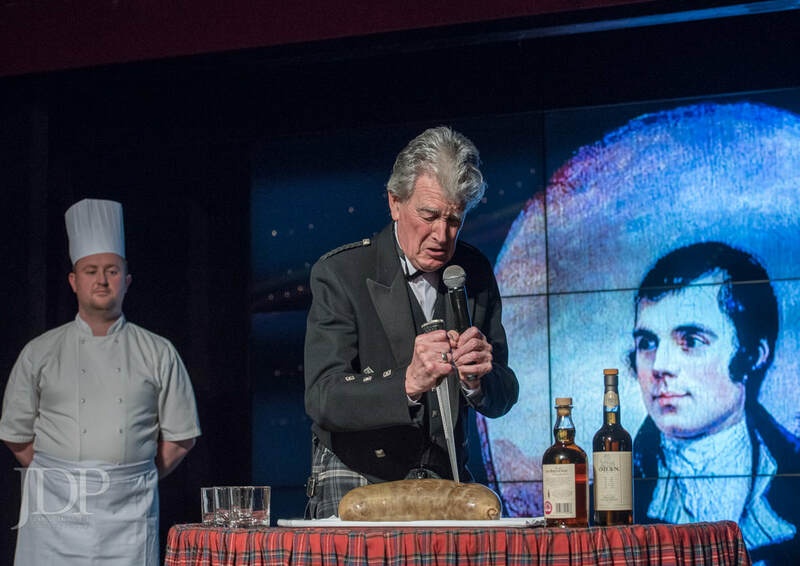 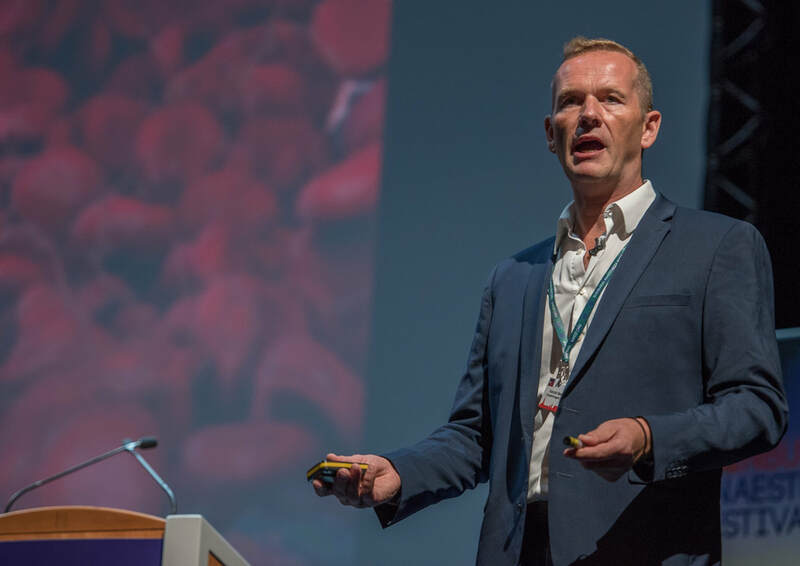 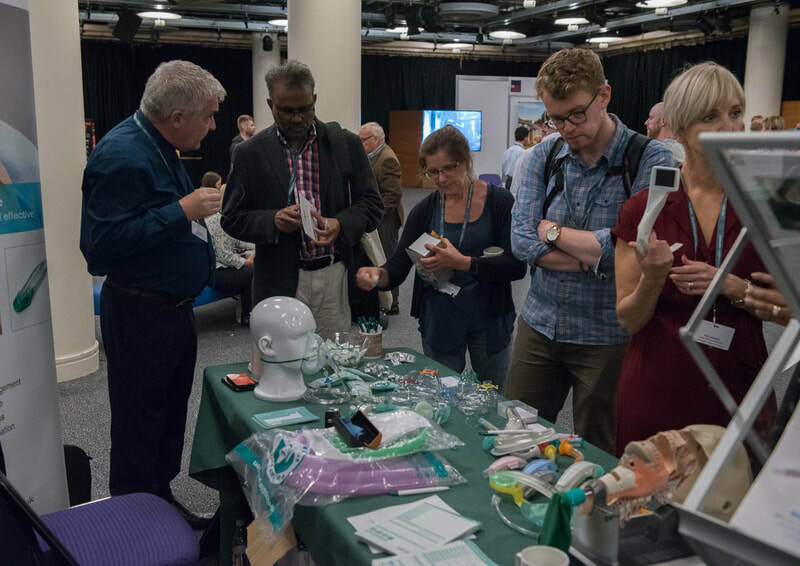 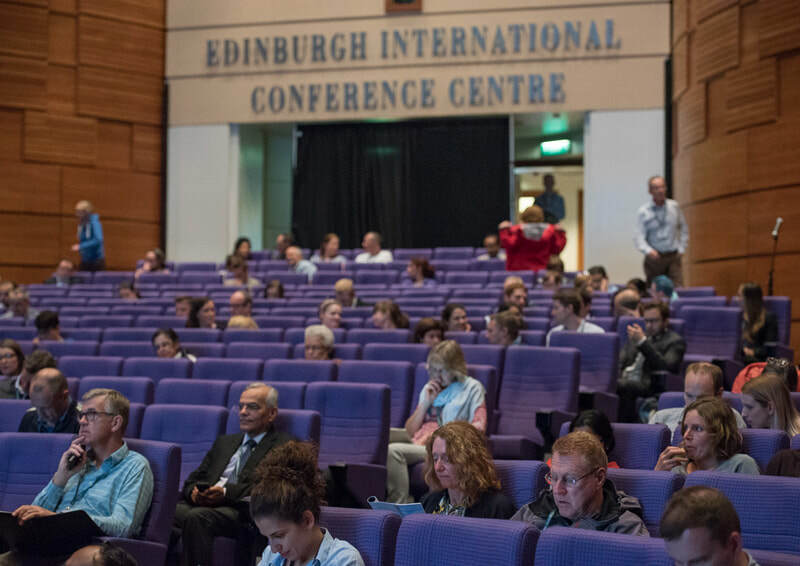 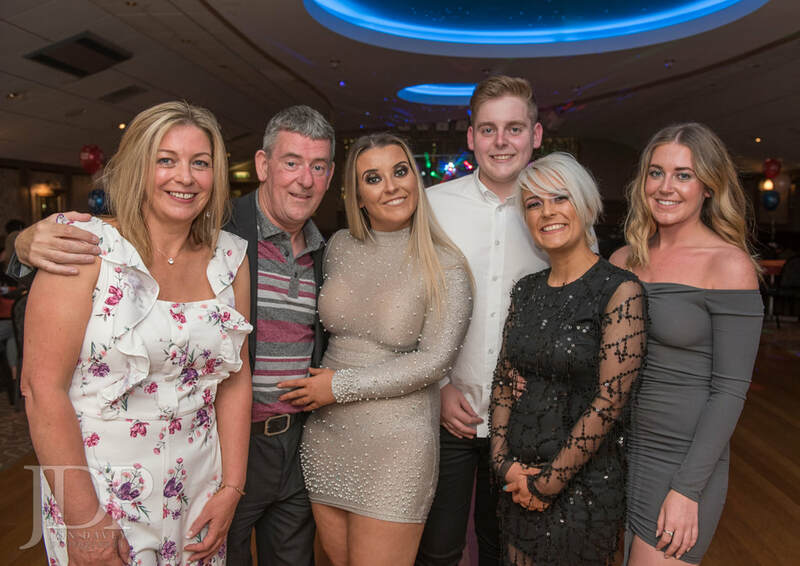 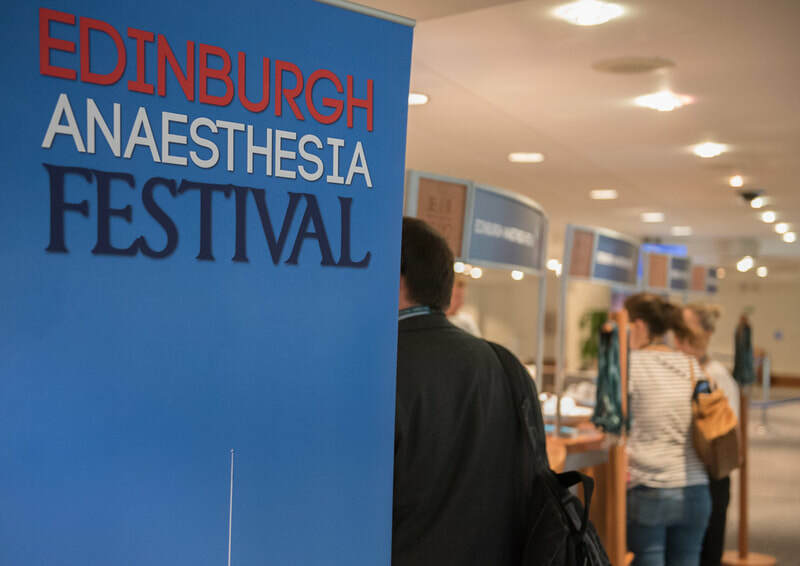 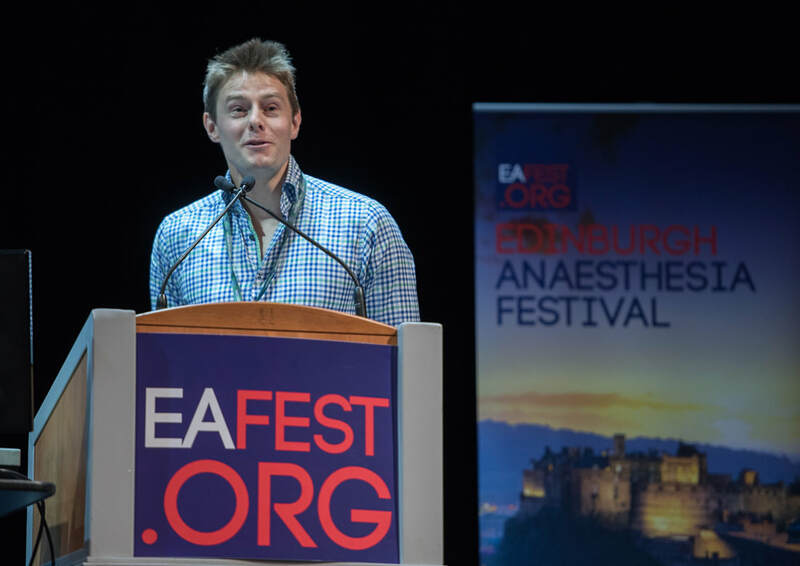 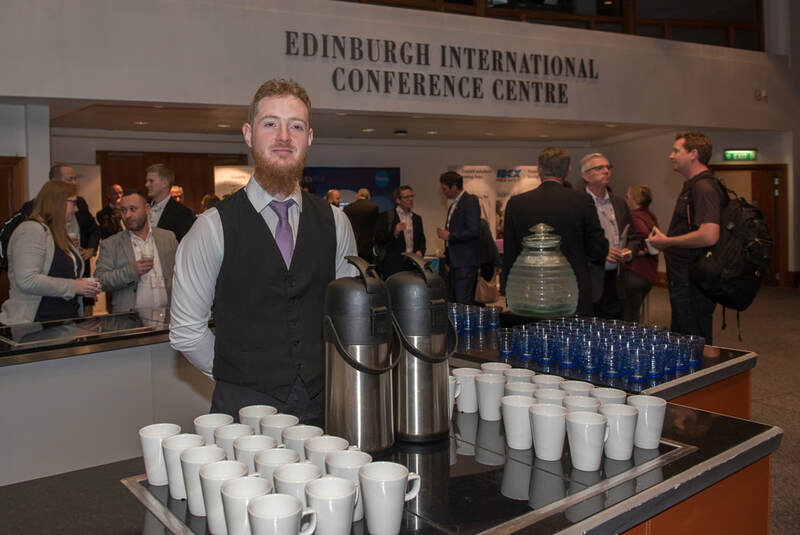 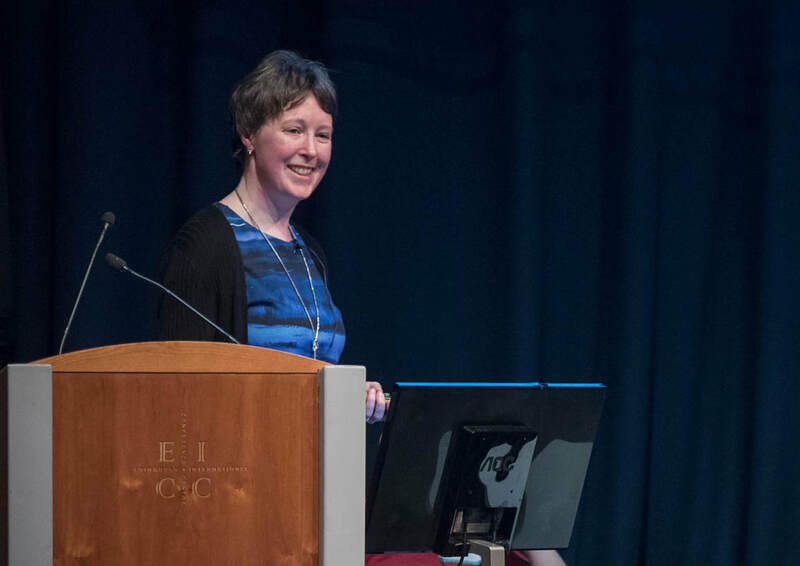 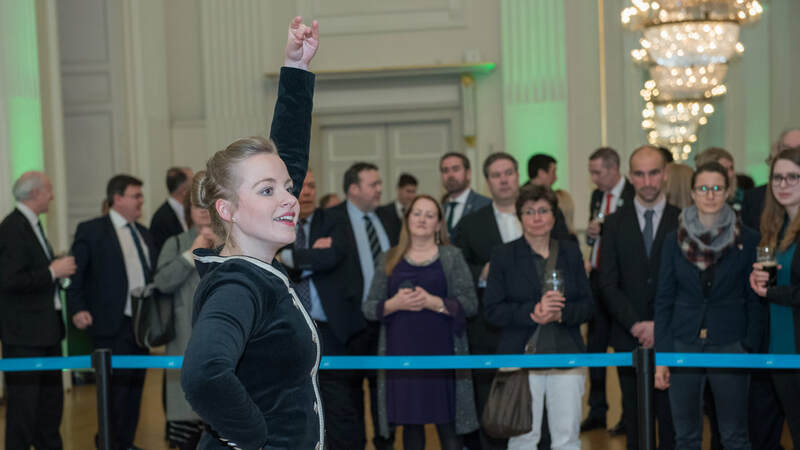 The Edinburgh Anaesthesia Festival (EAF) has become the largest Anaesthesia meeting in Scotland with over a third of its delegates travelling from all over the world. 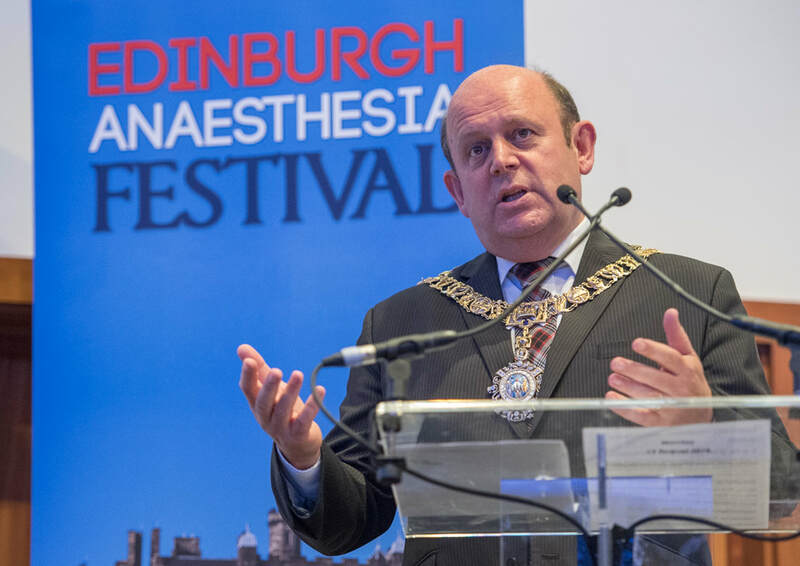 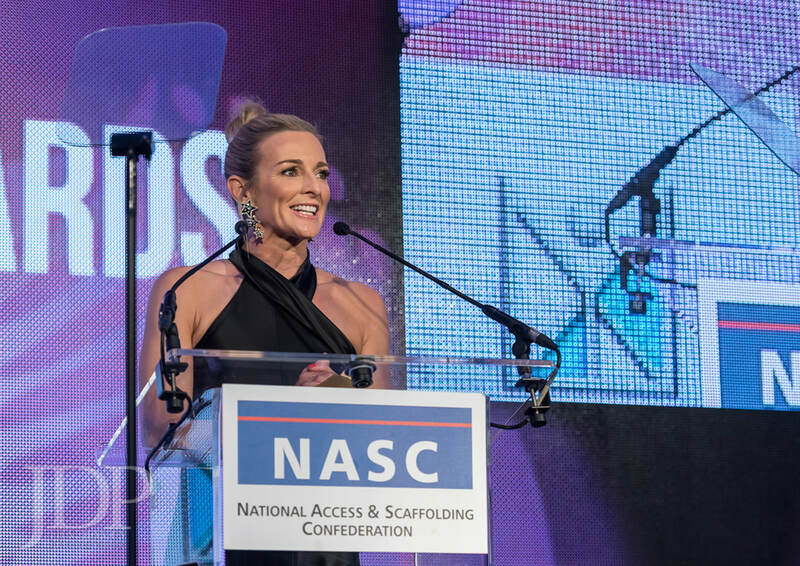 The 2018 programme (13-15 August 2018) was crammed with renowned national and international speakers delivering topical lectures on a wide variety of anaesthesia, intensive care and pain medicine related subjects. 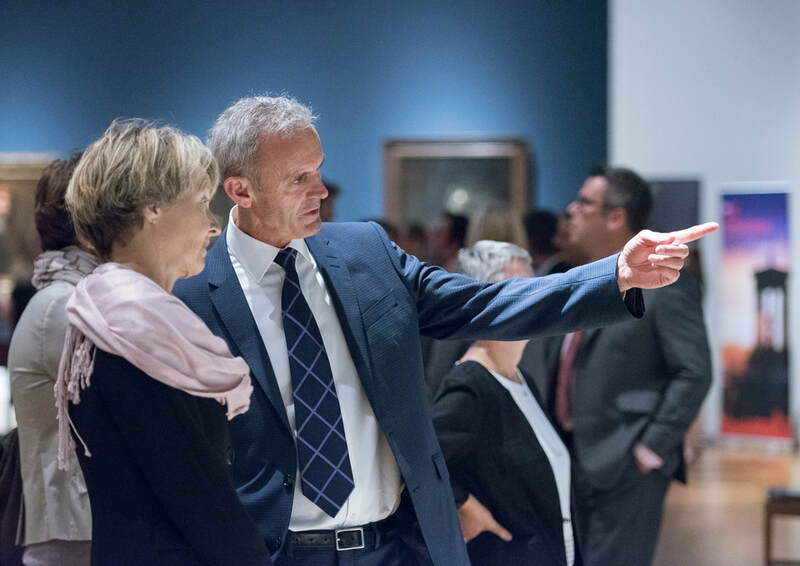 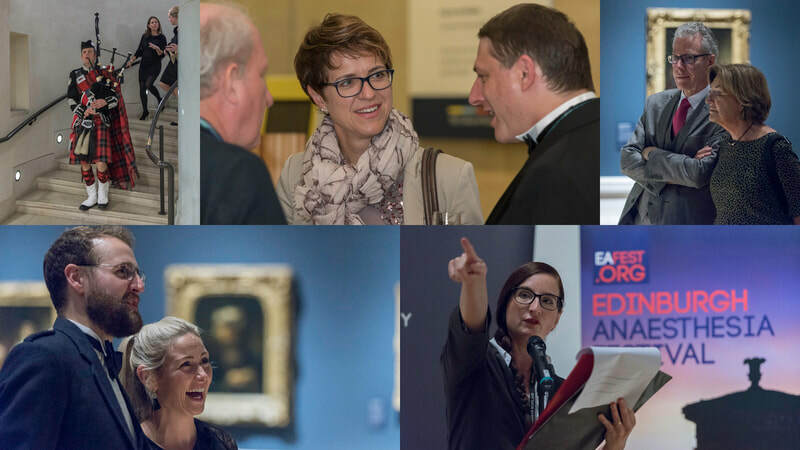 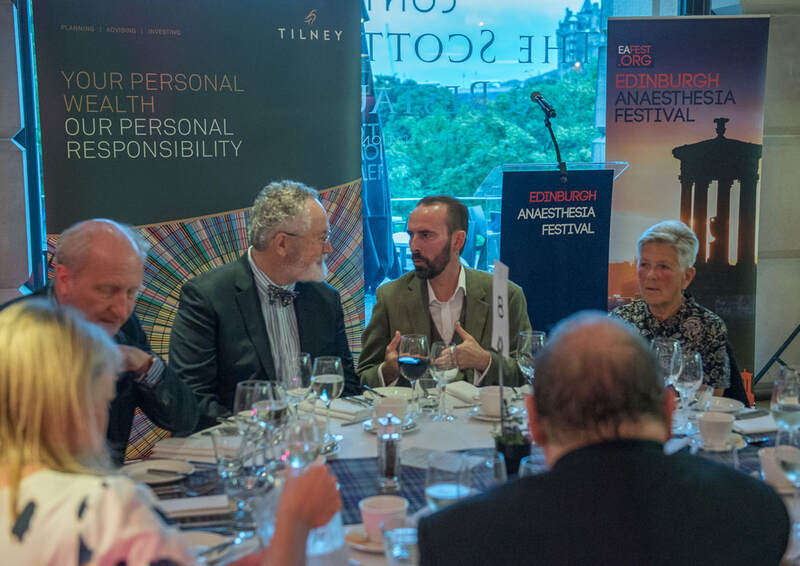 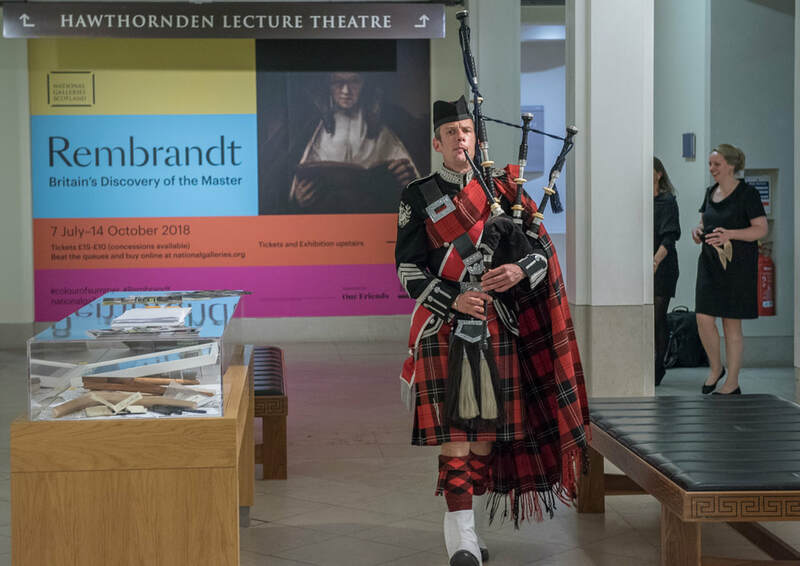 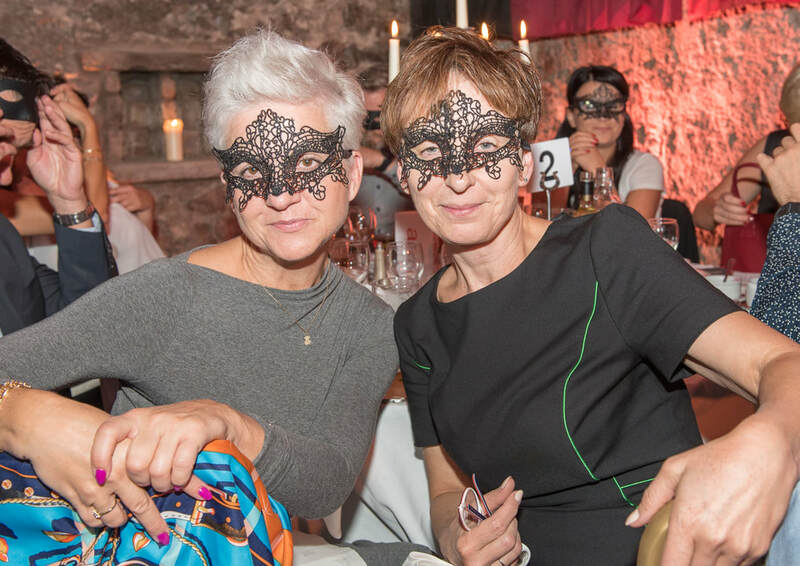 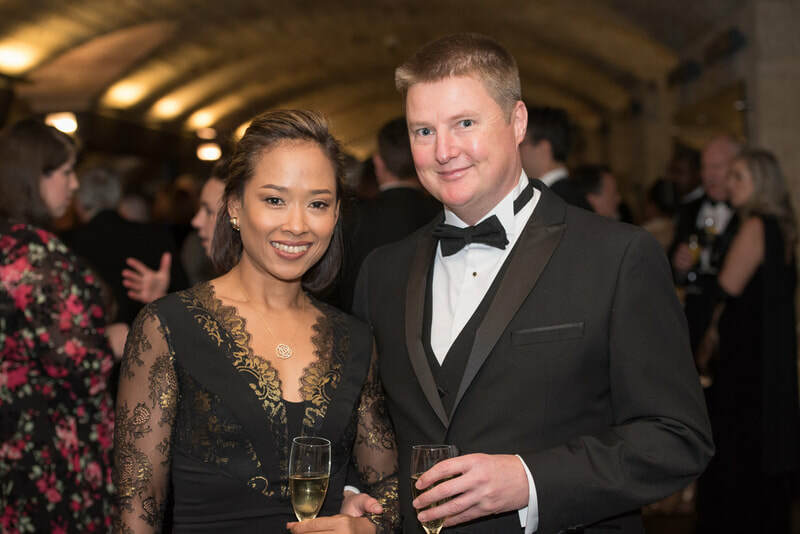 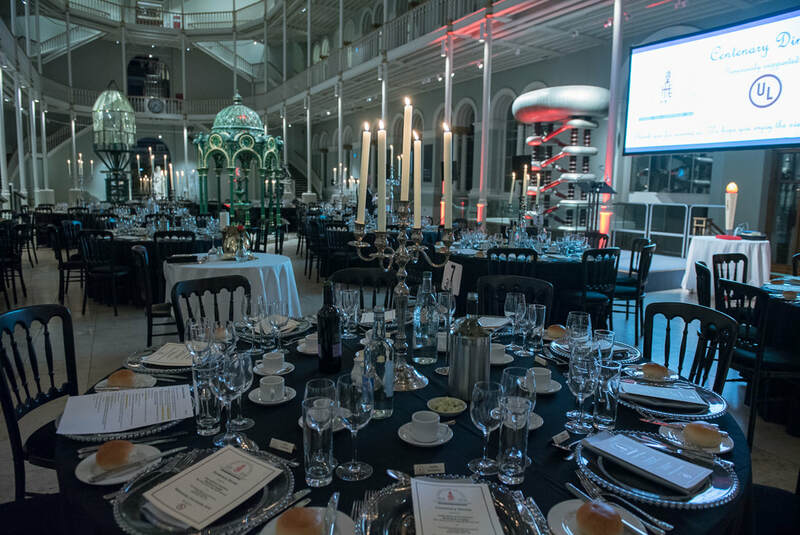 The event took place at the Edinburgh International Conference Centre with an evening dinner at the National Gallery of Scotland at The Mound. 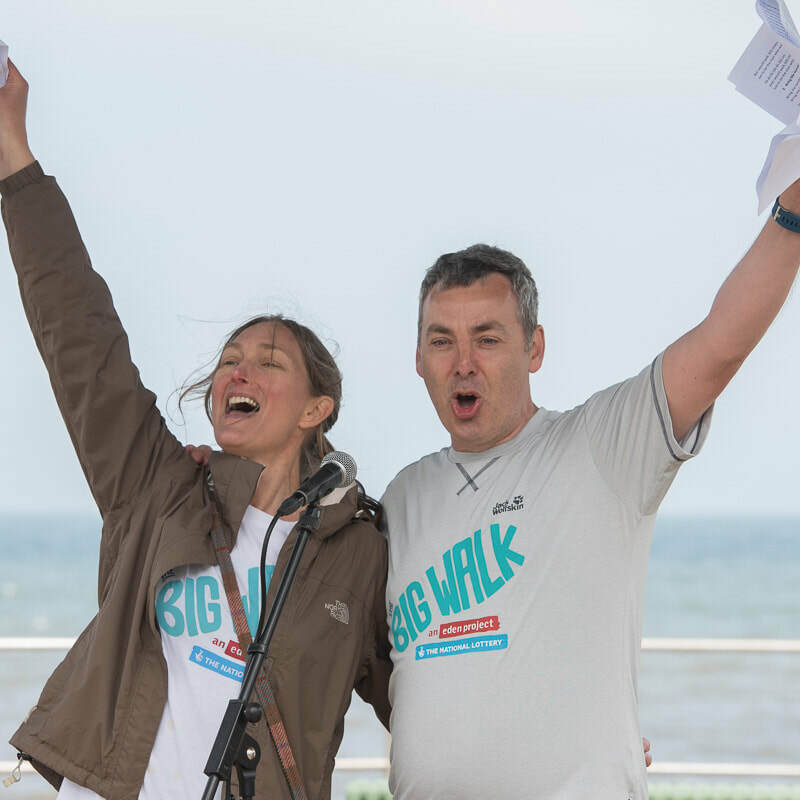 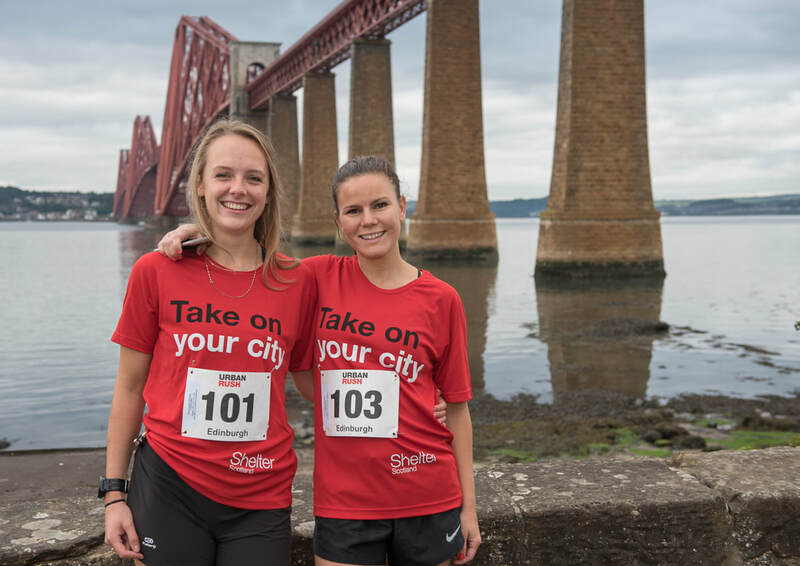 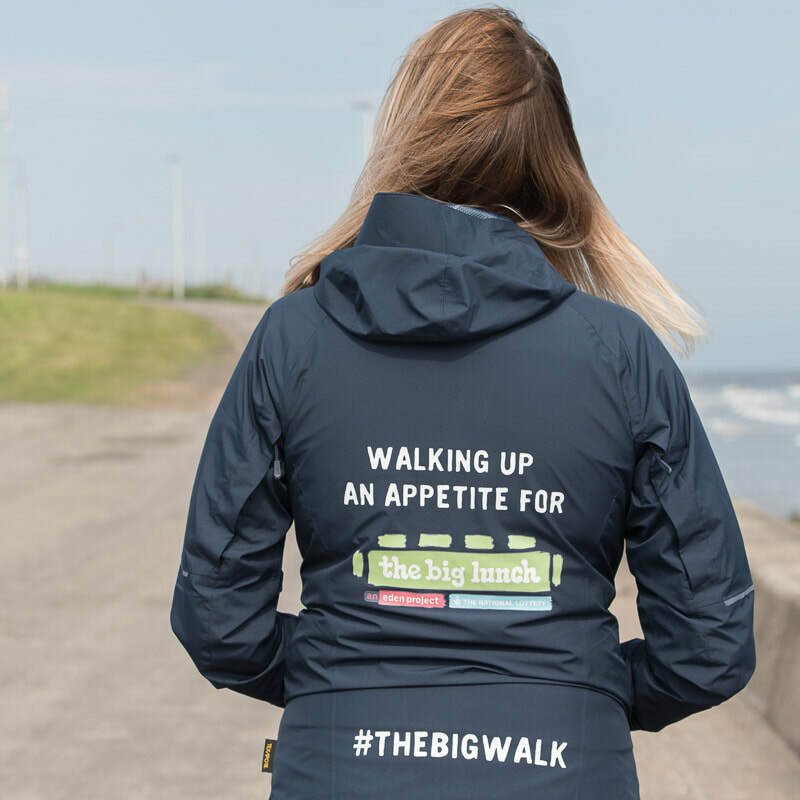 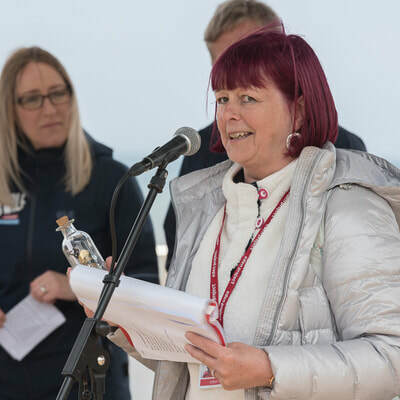 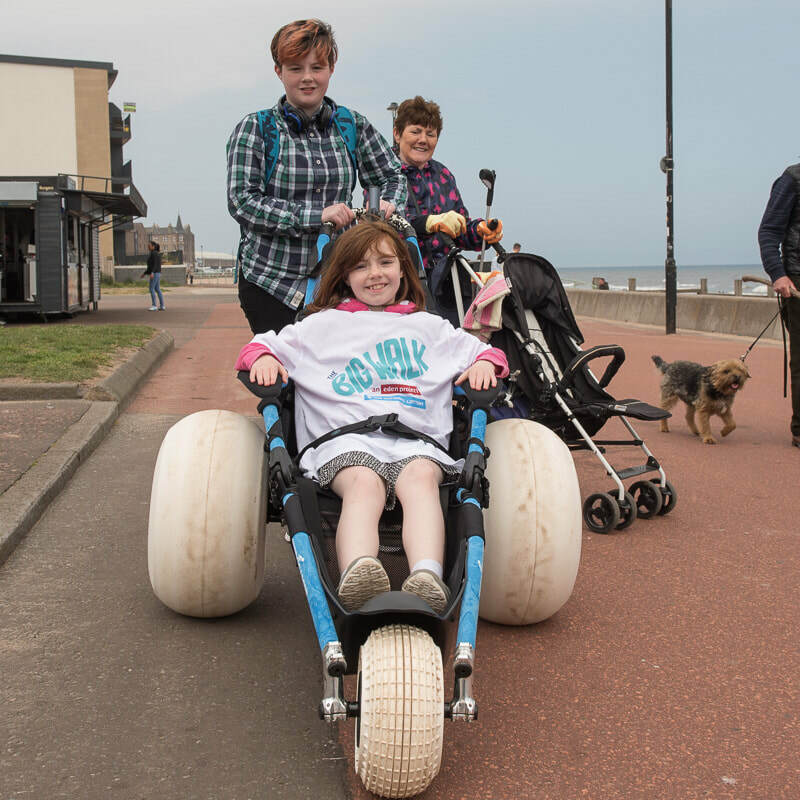 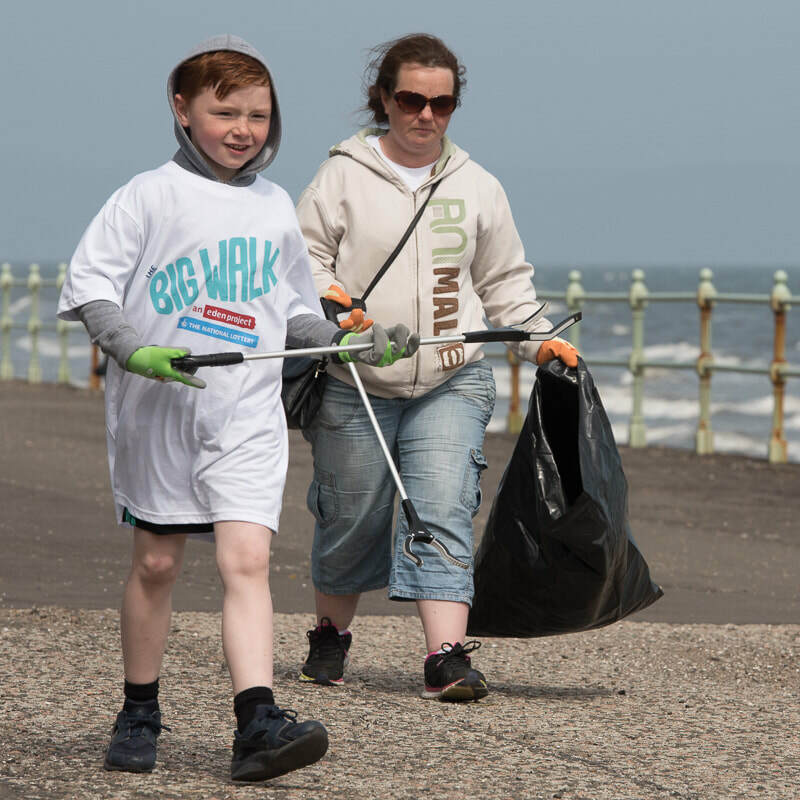 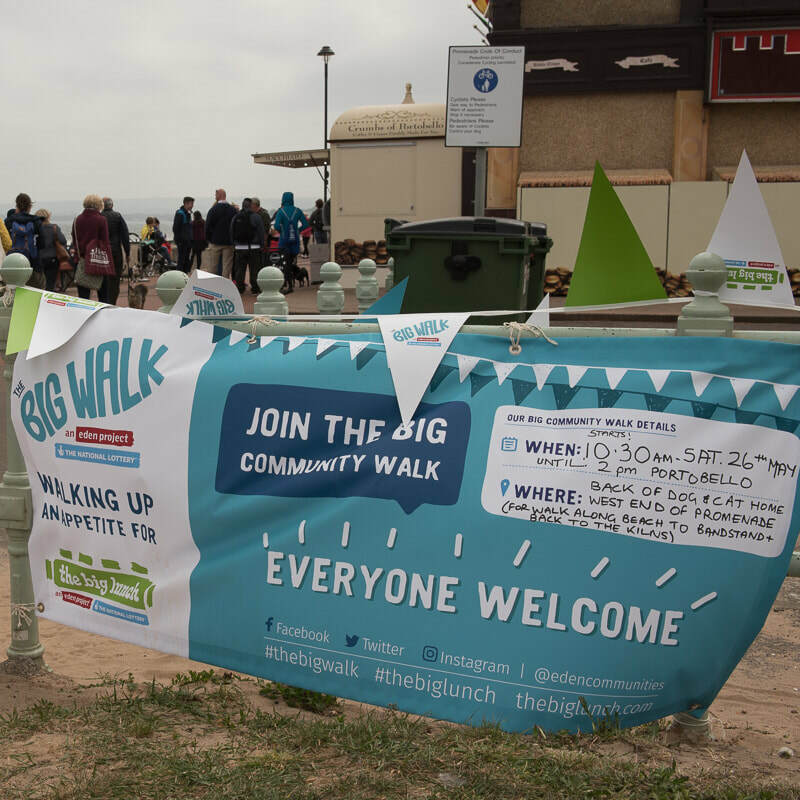 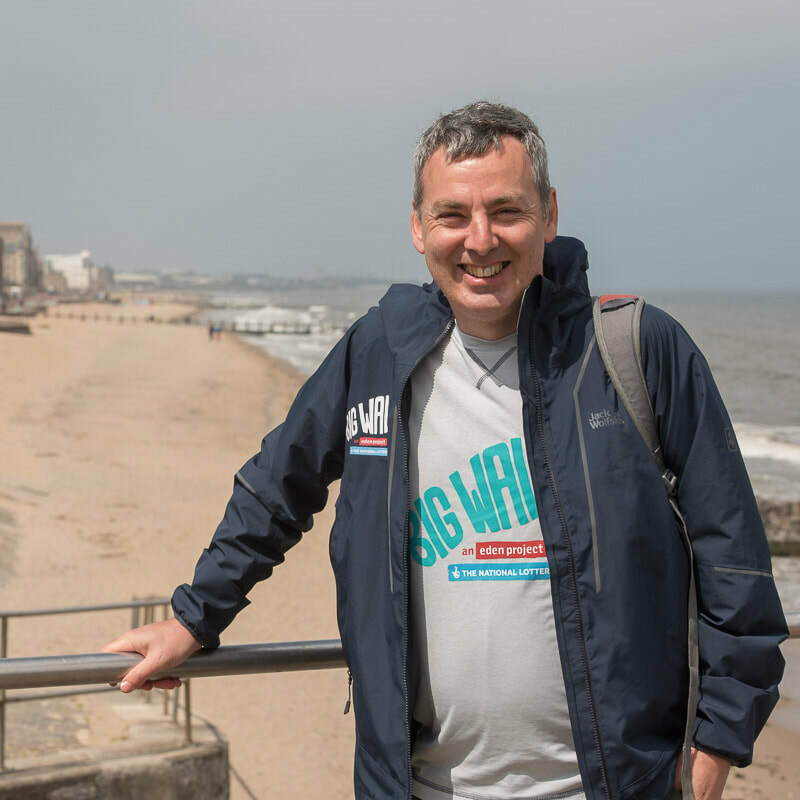 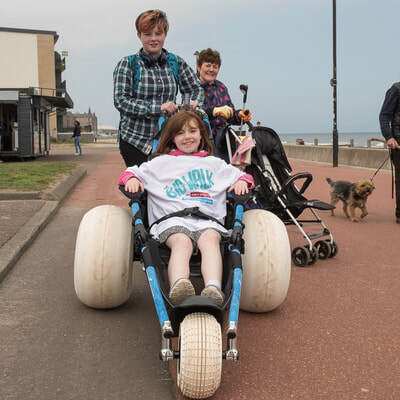 The Big Walk came to Portobello on Saturday 26th May. 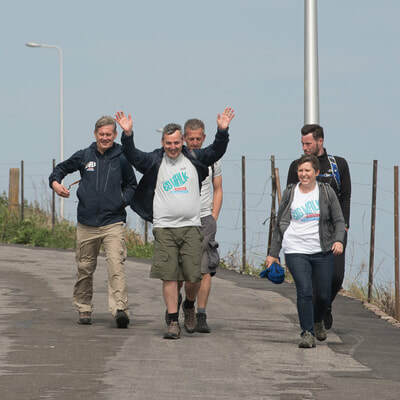 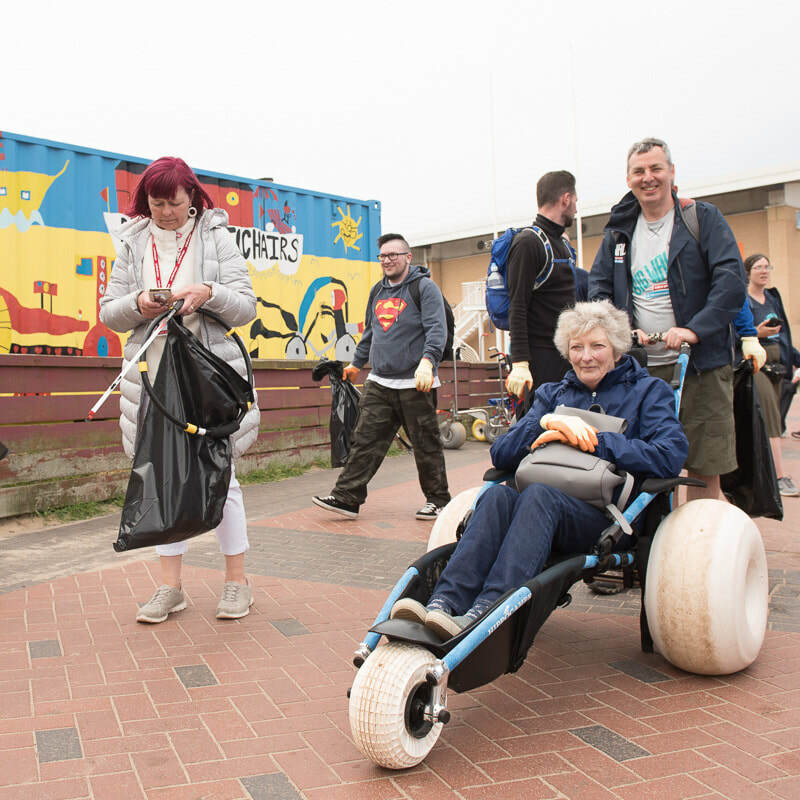 Organised by the Eden Project four walkers set off from Morecambe to walk home, one to each of the nations of the UK. 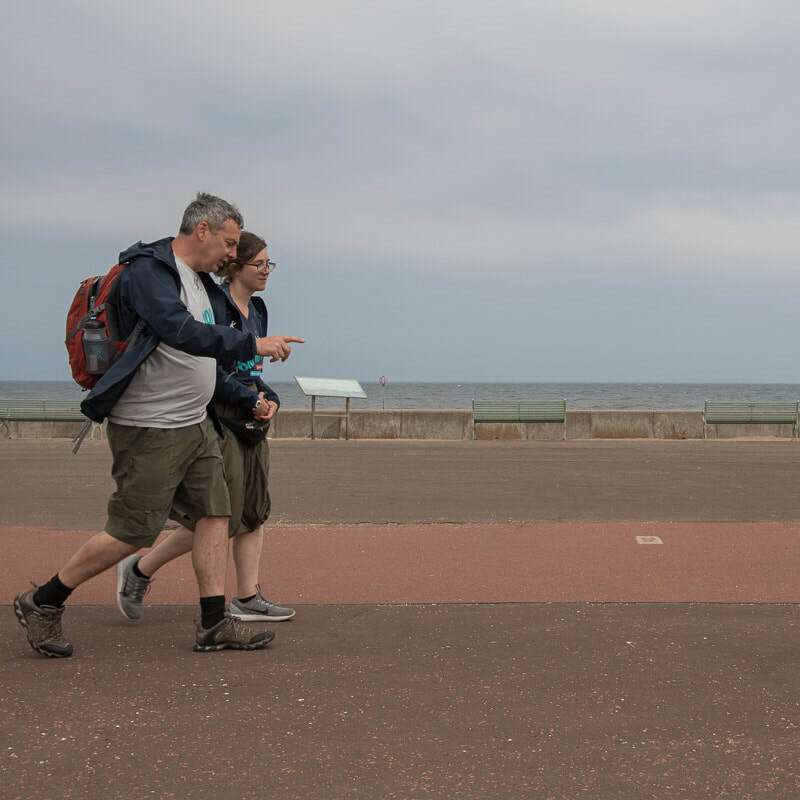 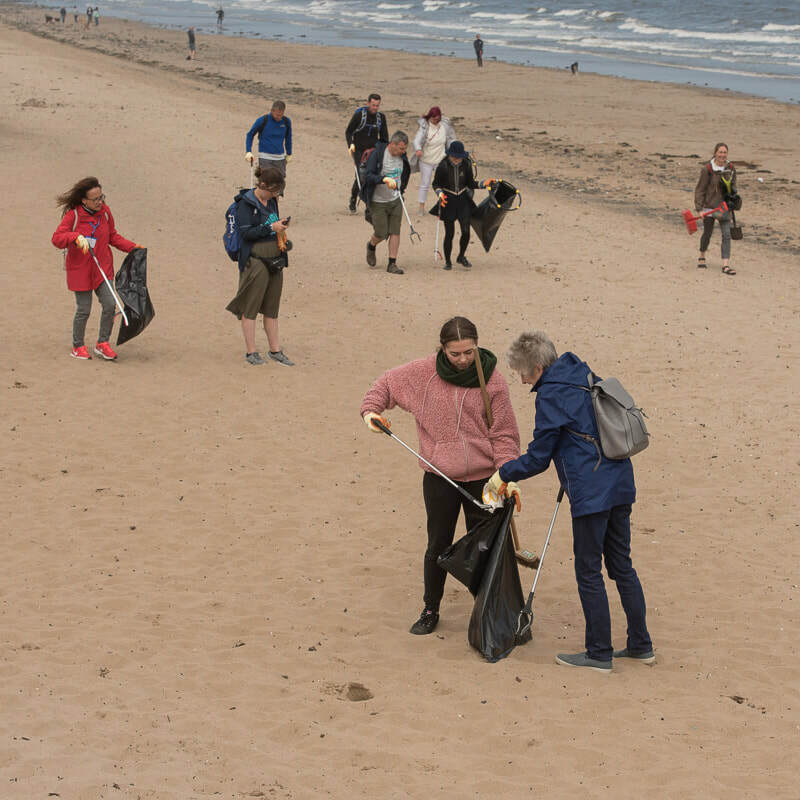 The Scottish walker, Angus McLeod, was heading for Dundee when he stopped off in Edinburgh and walked along the Prom at Portobello. 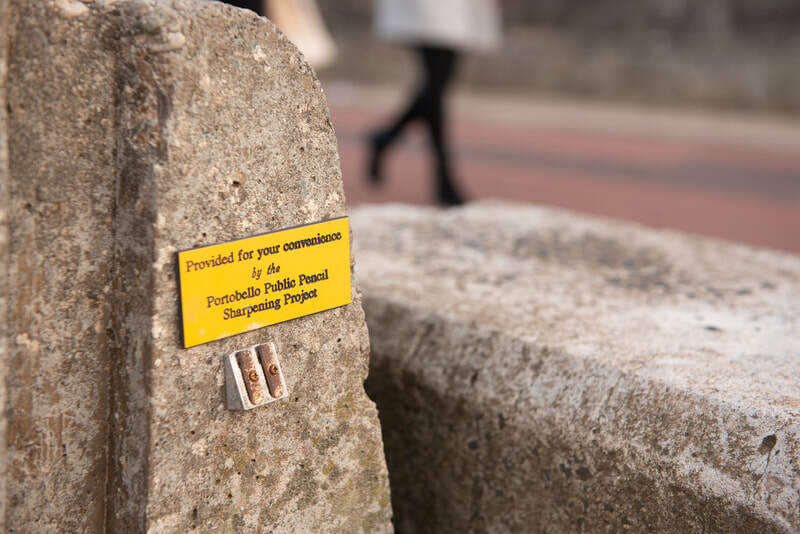 I took some pictures of his visit, and chatted with him for a while to hear about his experiences on his walk. 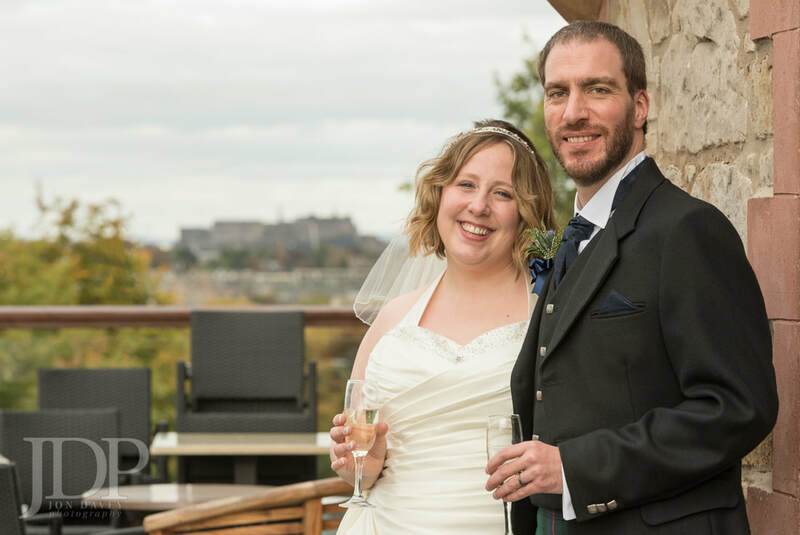 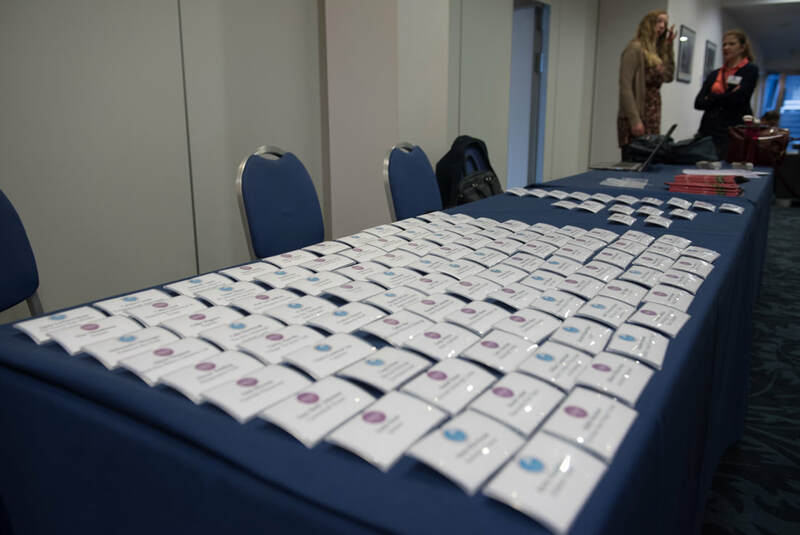 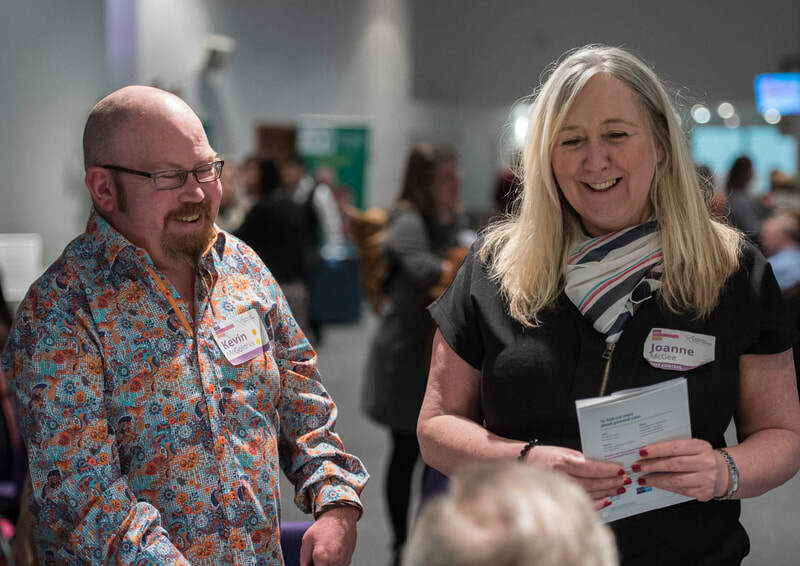 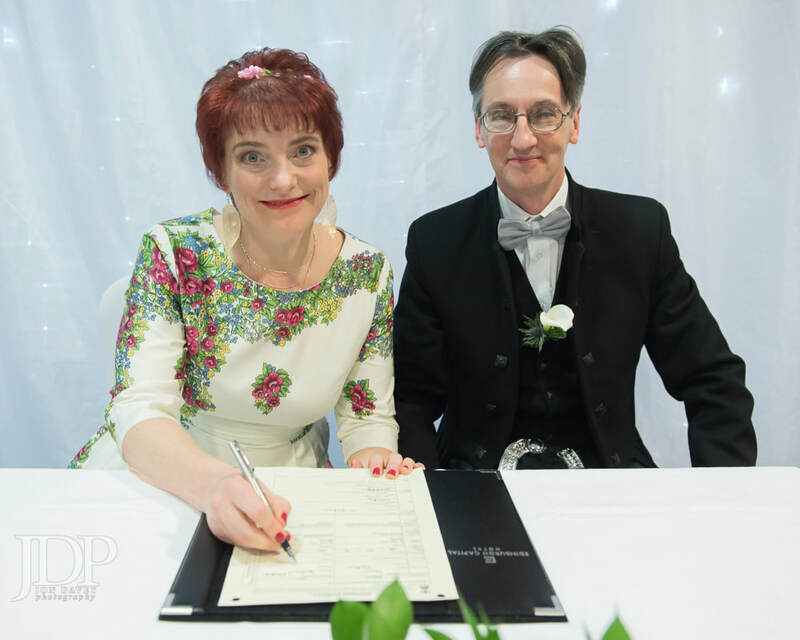 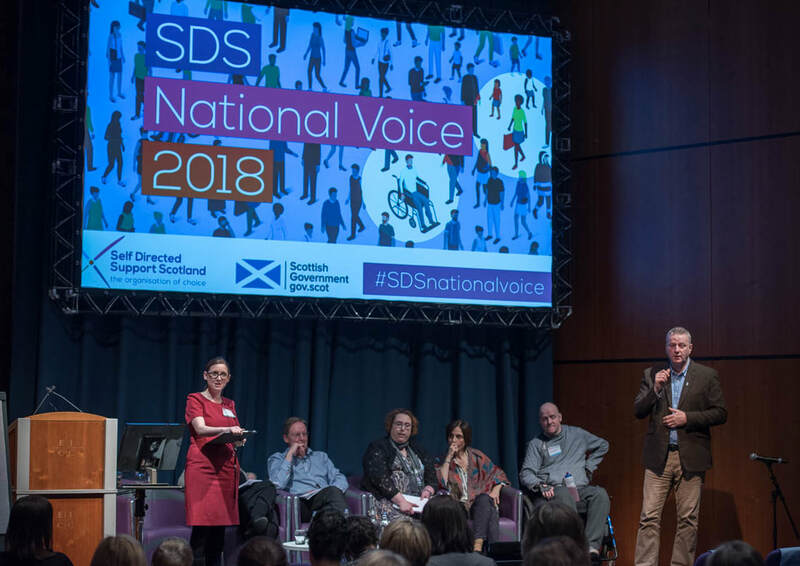 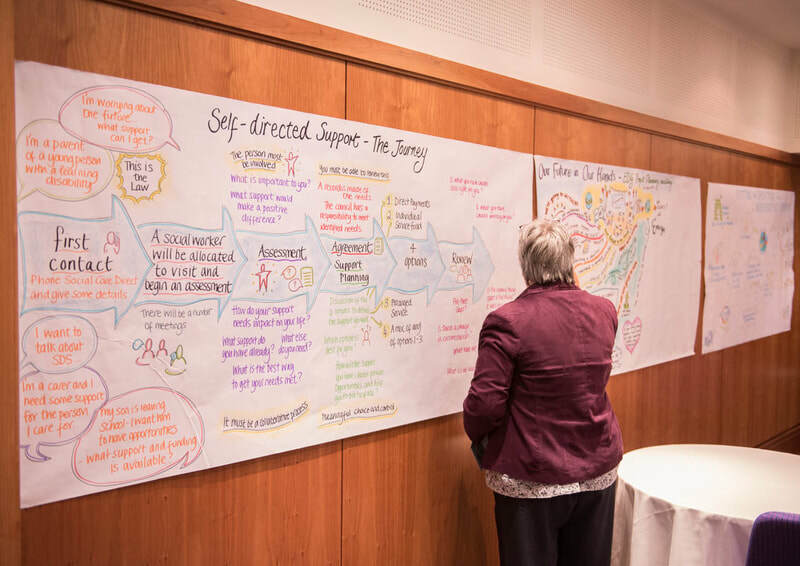 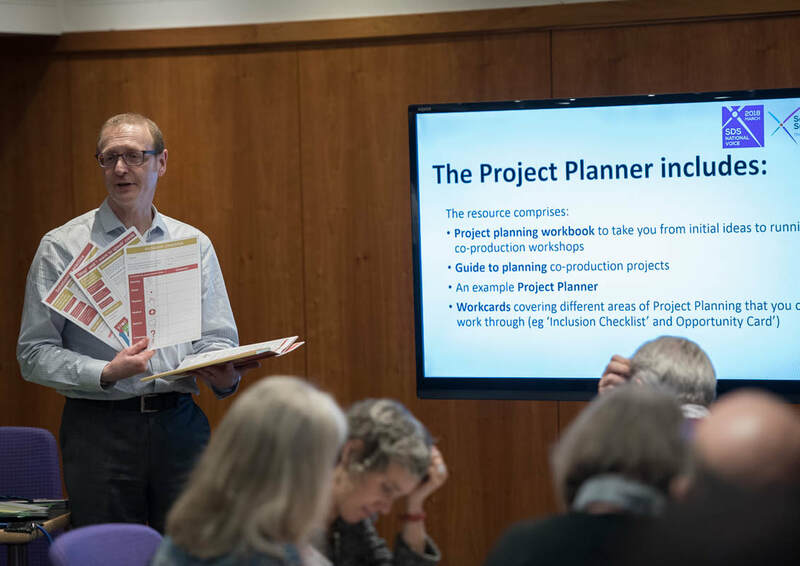 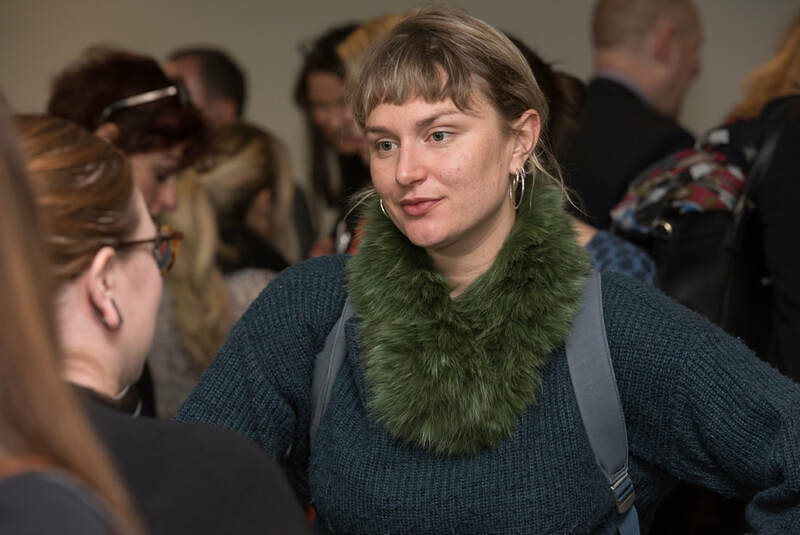 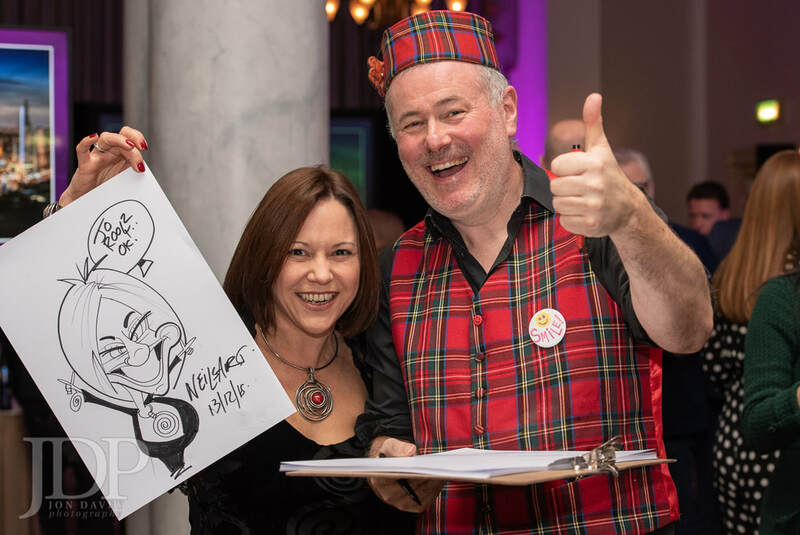 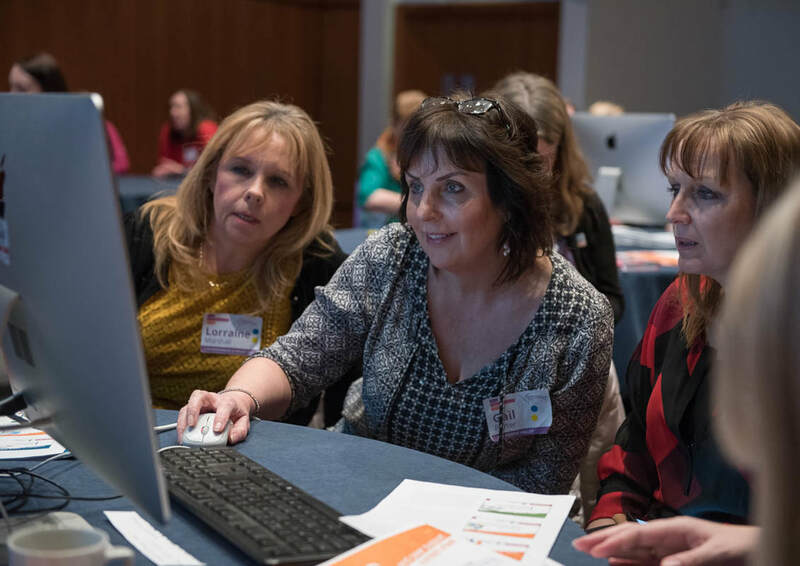 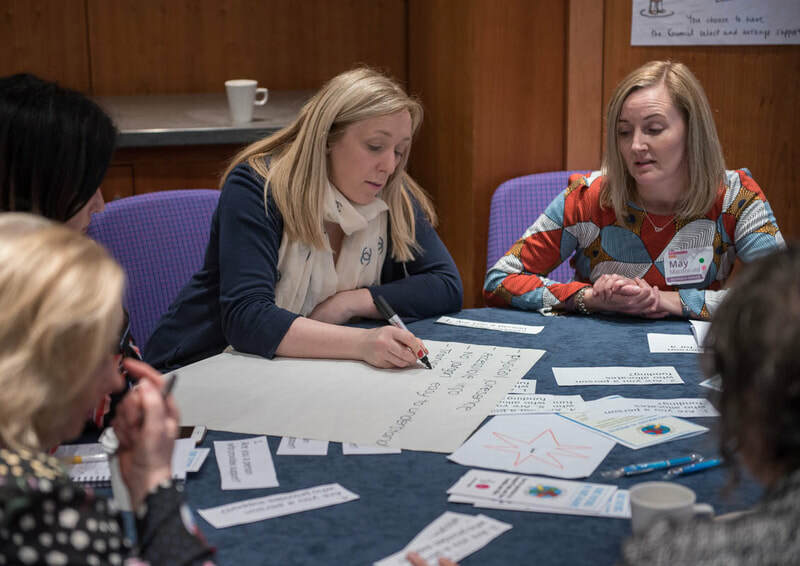 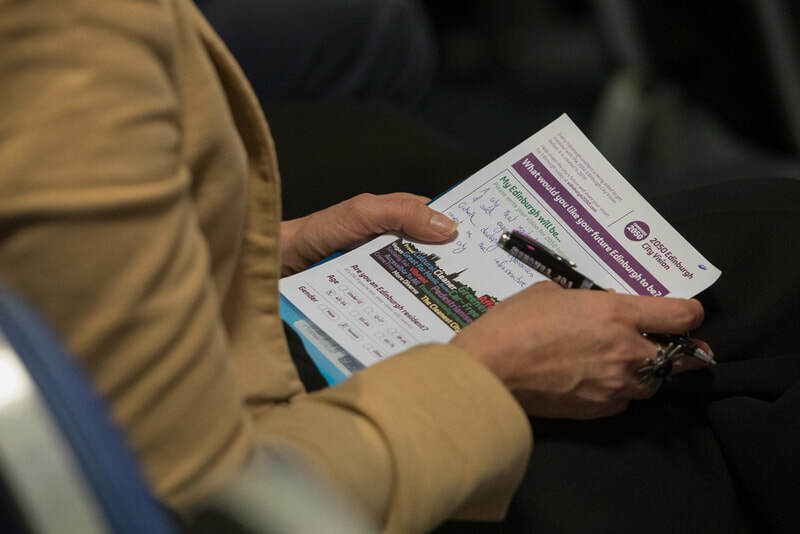 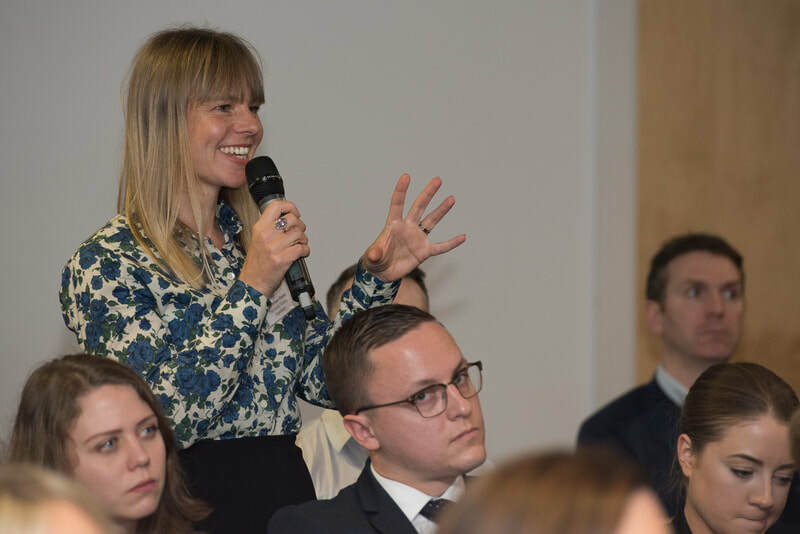 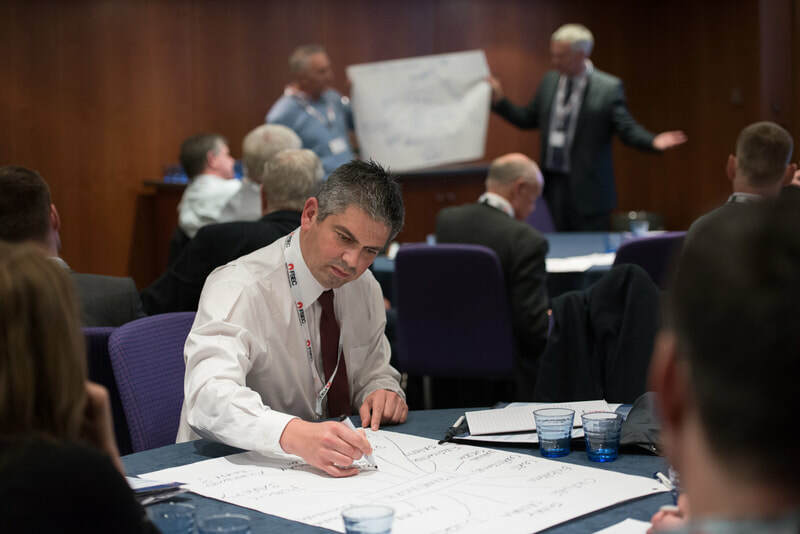 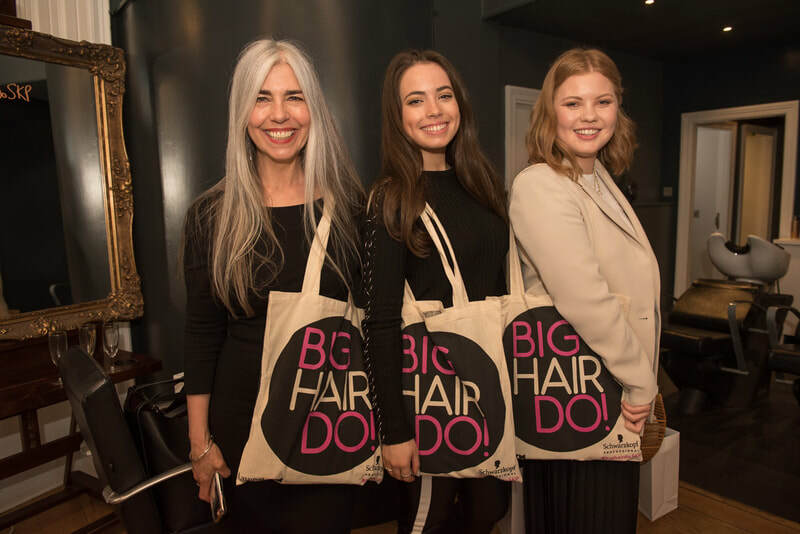 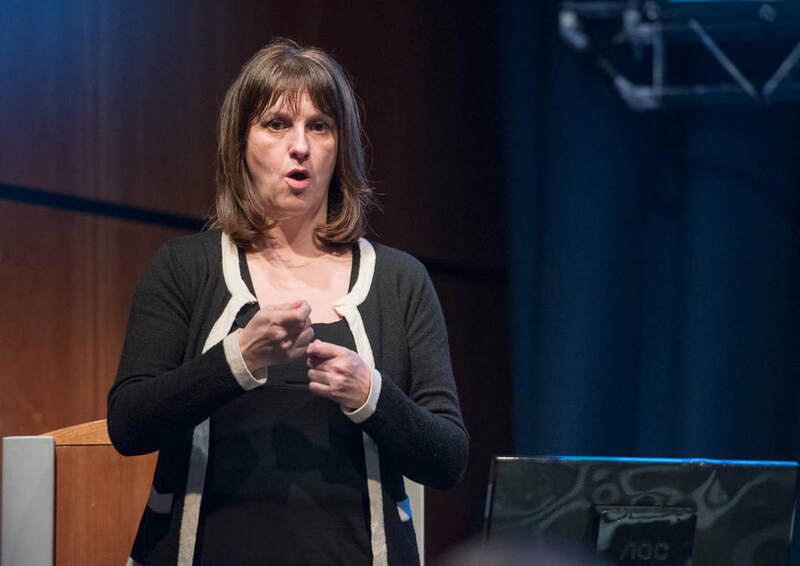 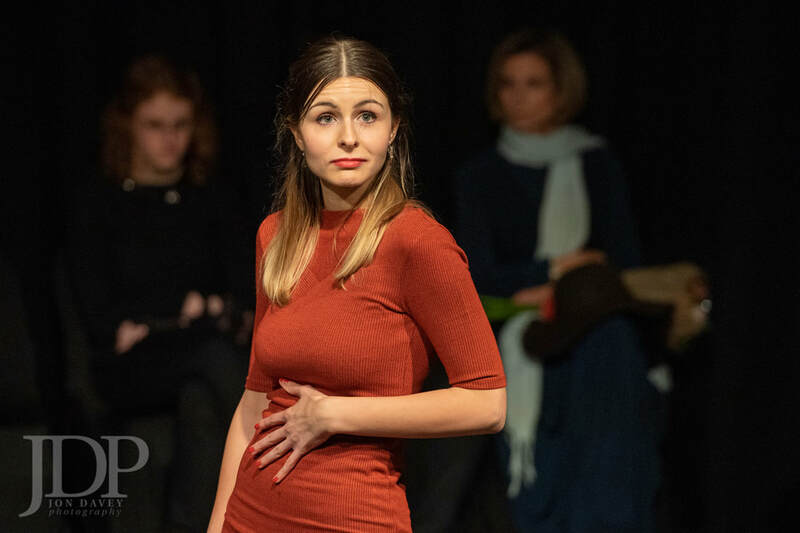 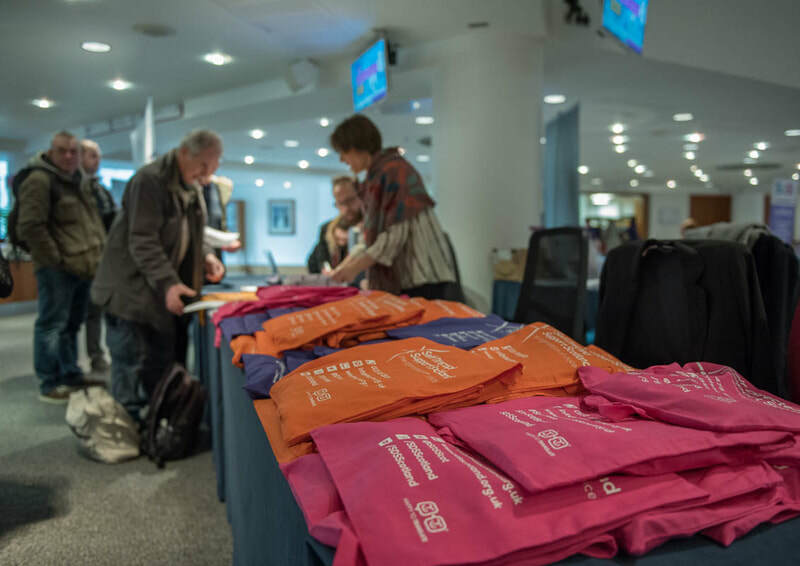 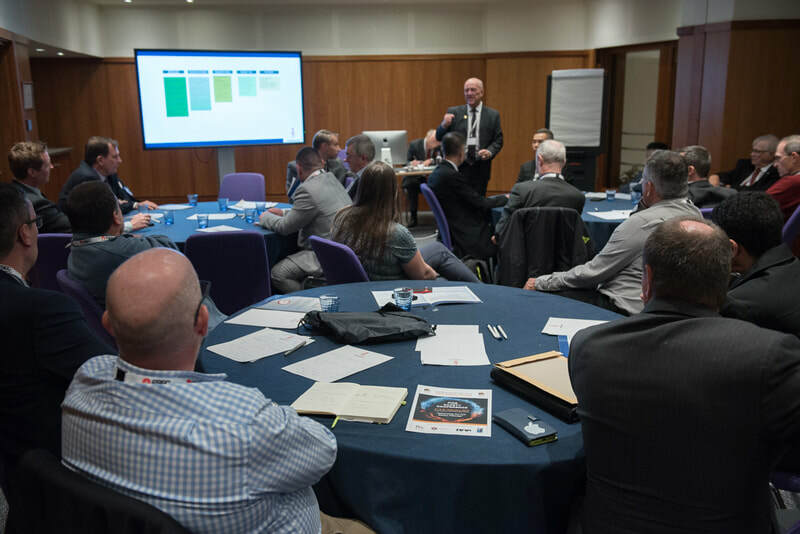 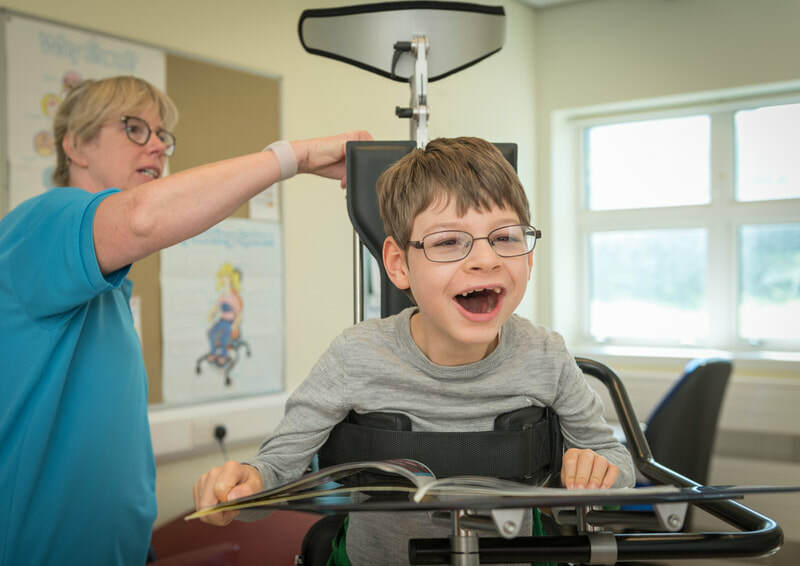 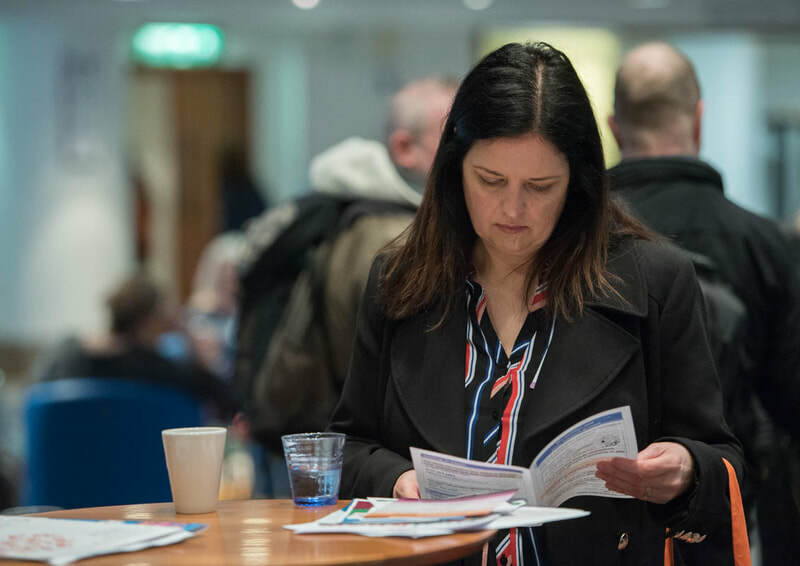 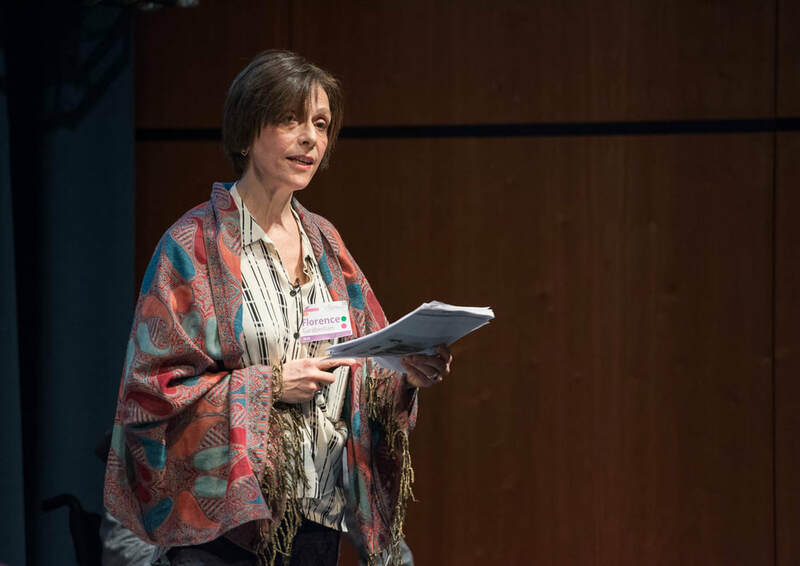 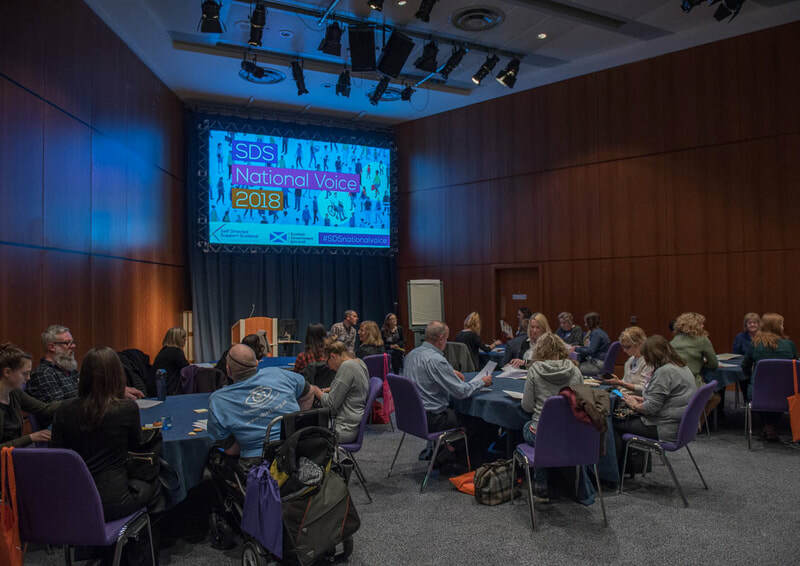 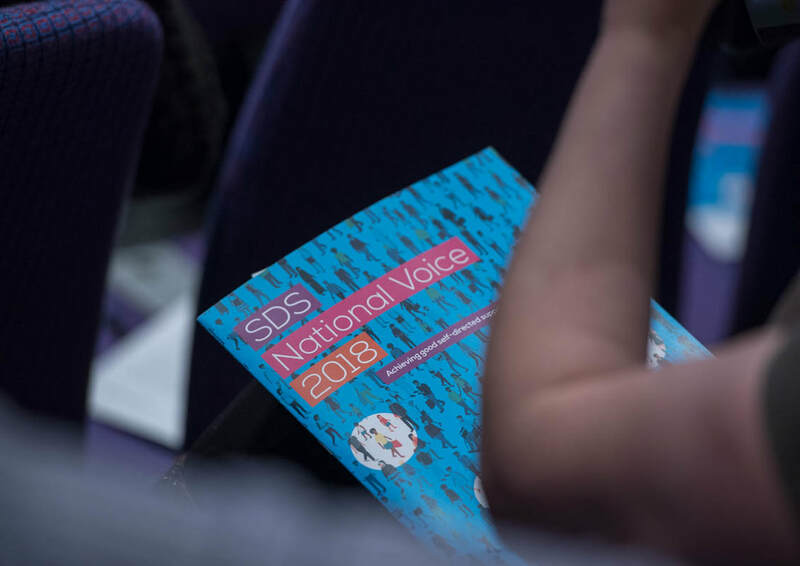 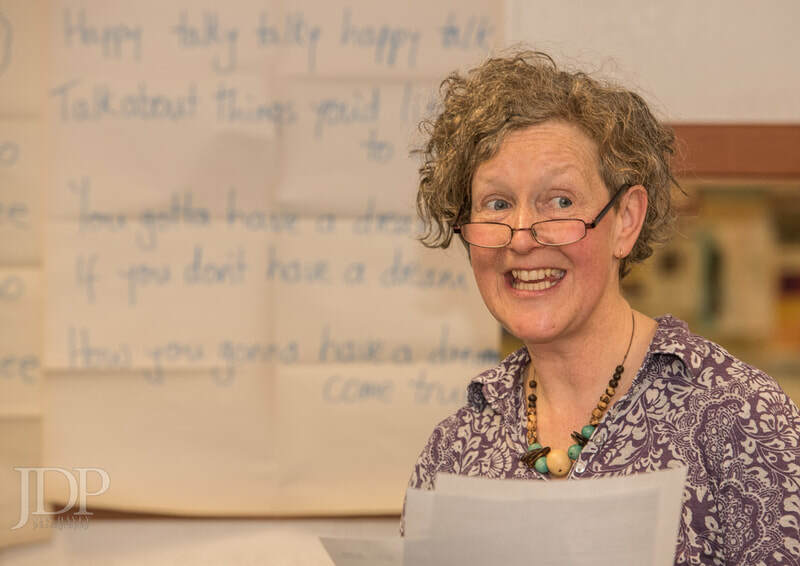 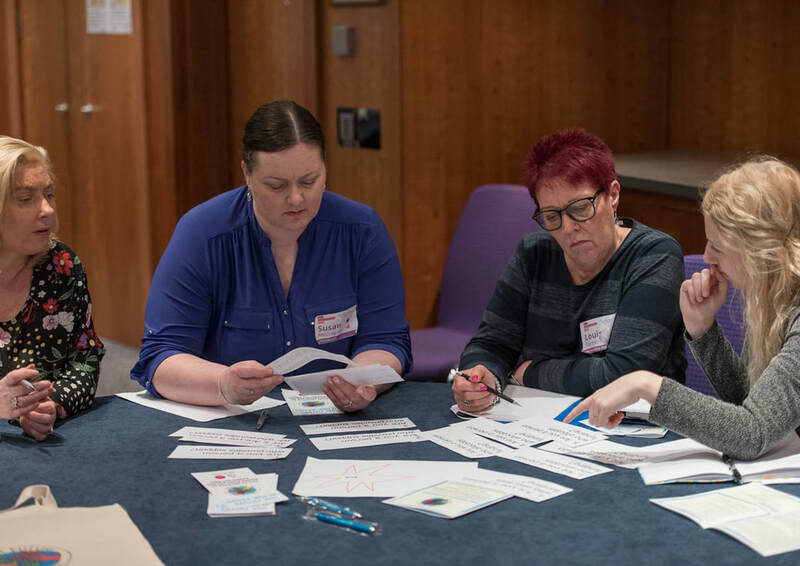 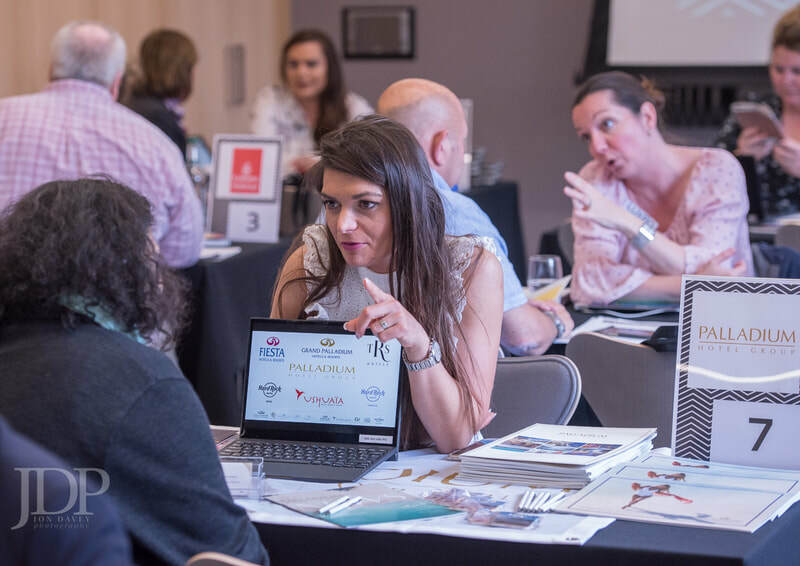 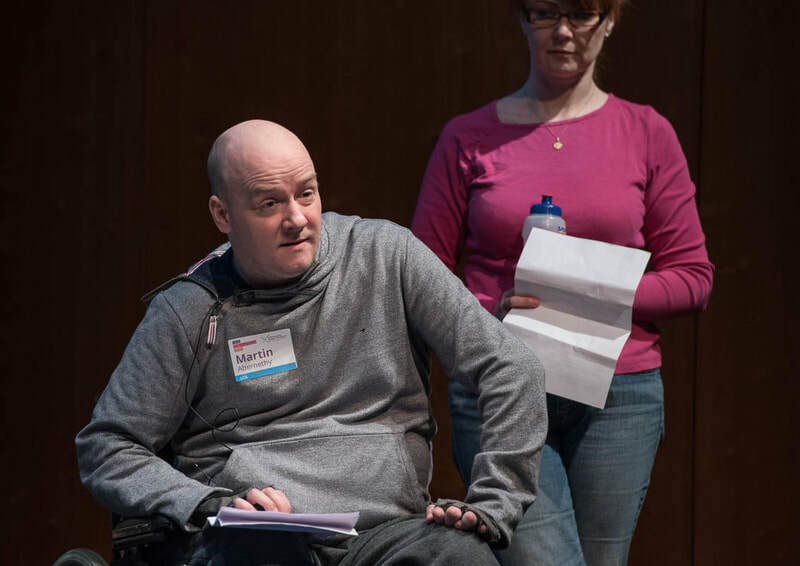 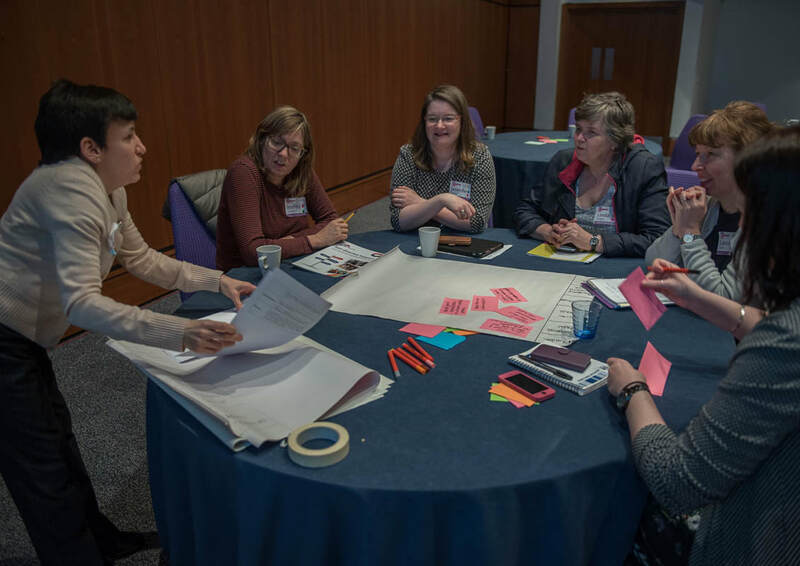 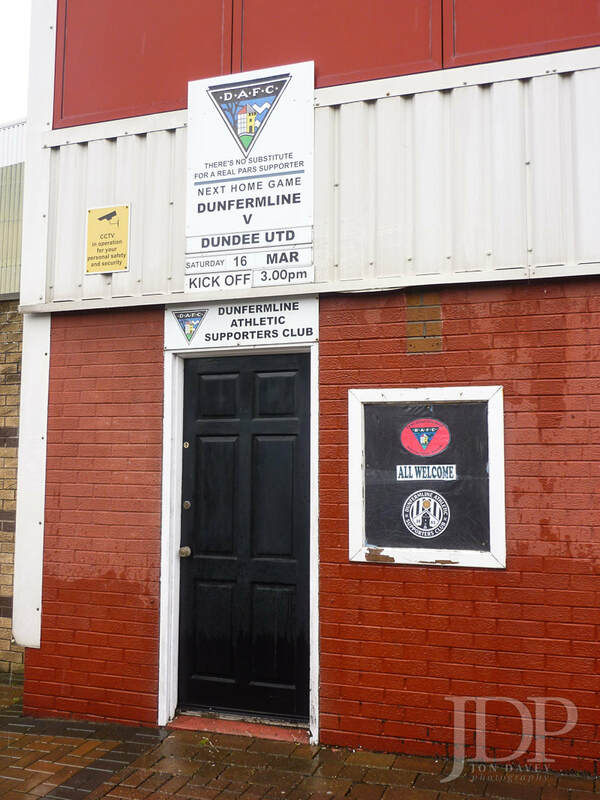 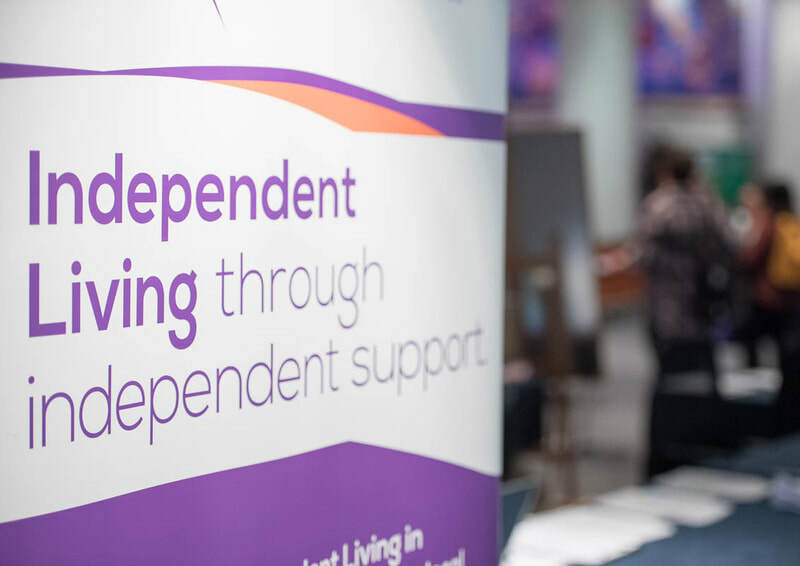 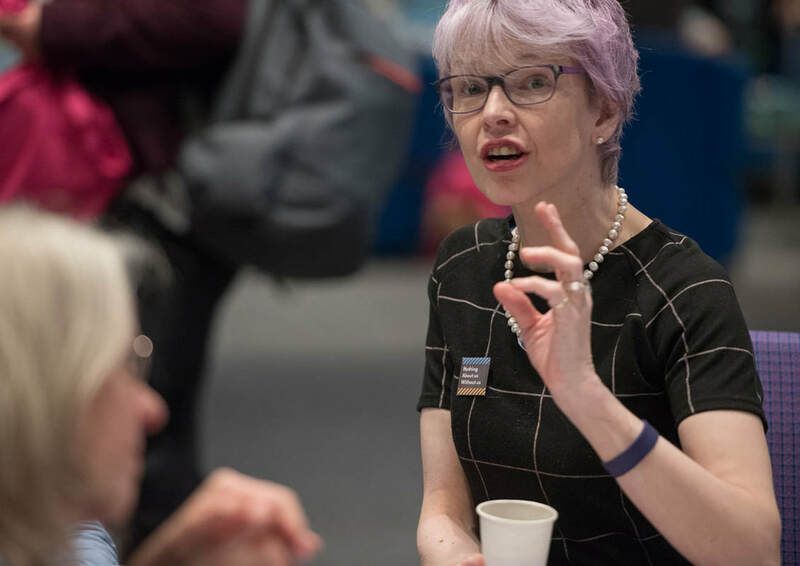 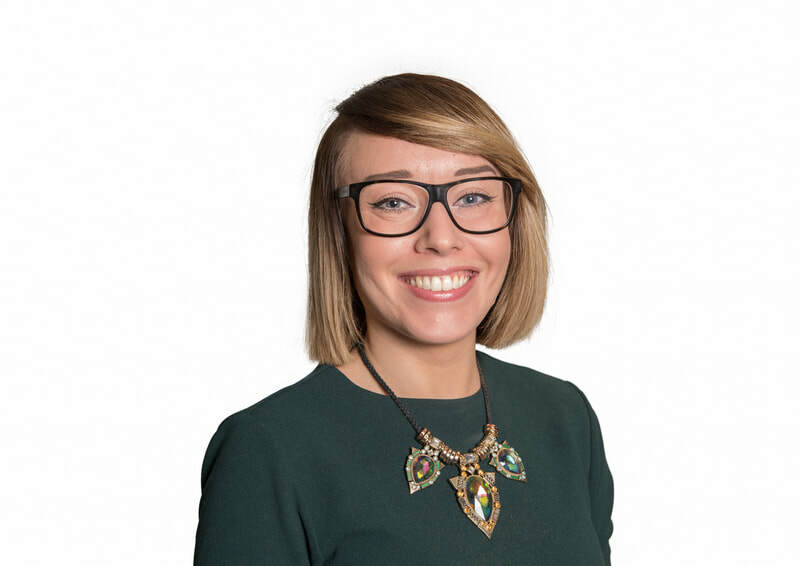 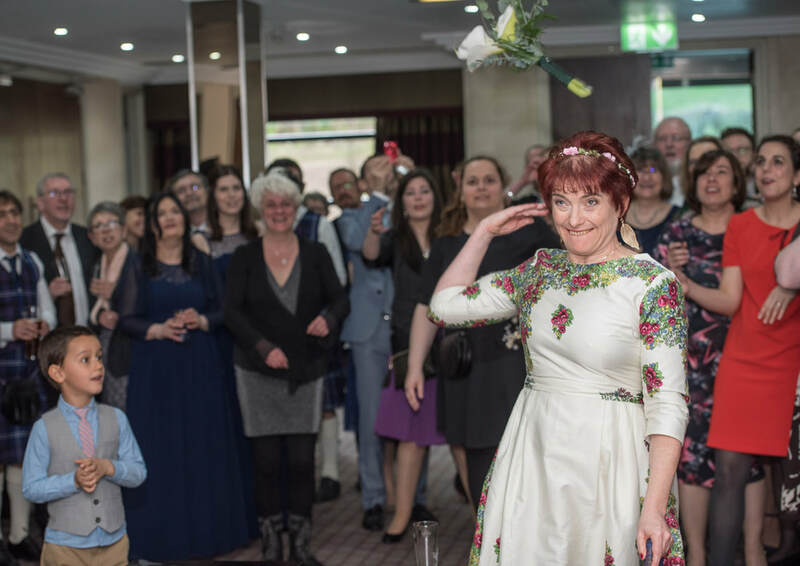 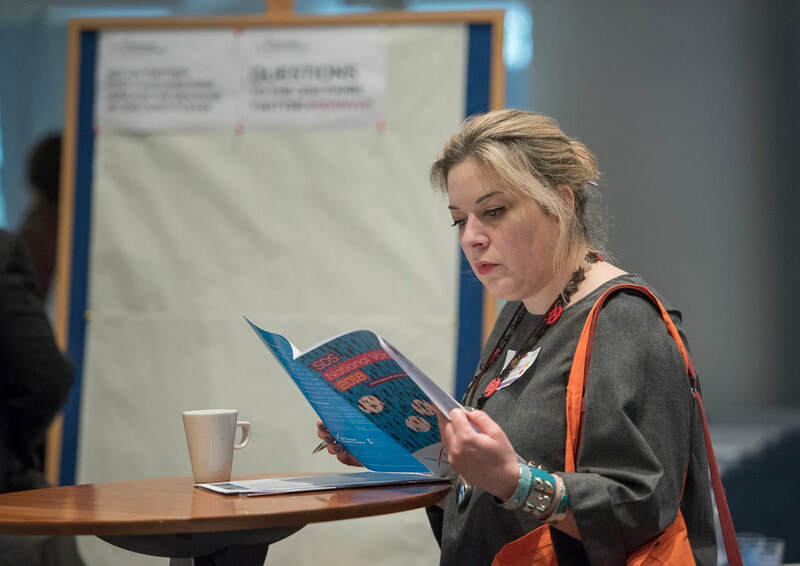 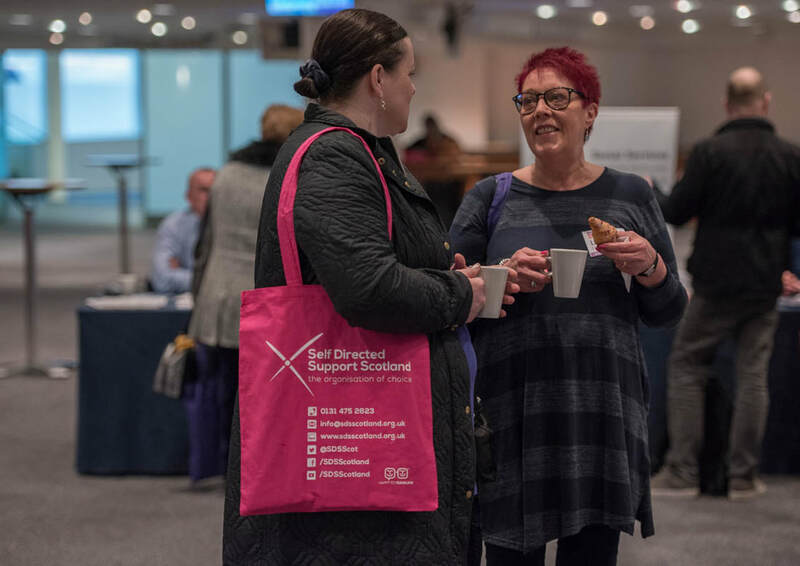 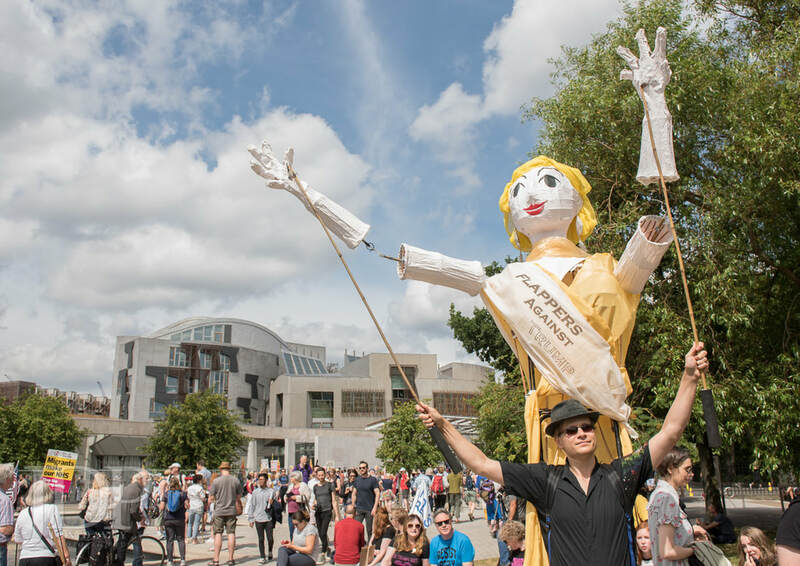 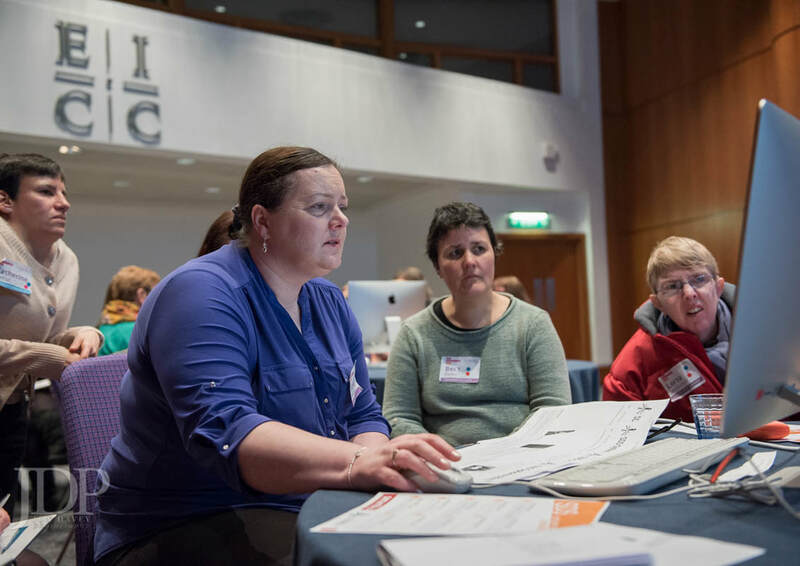 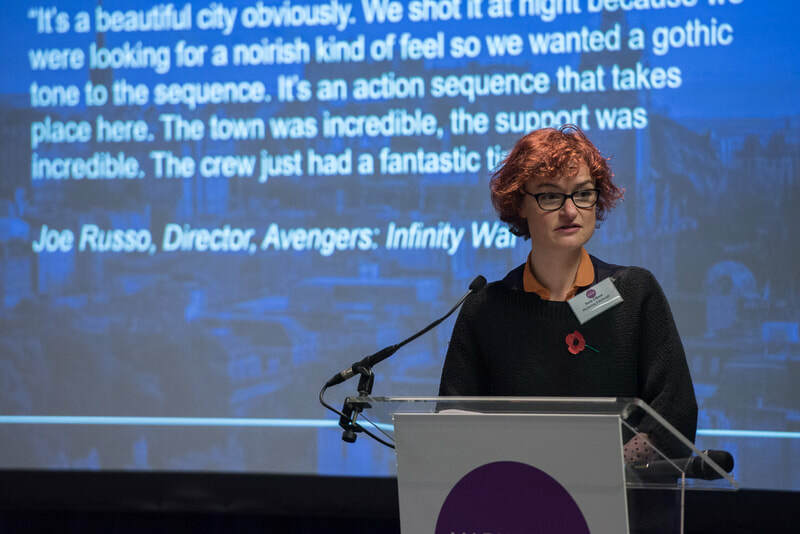 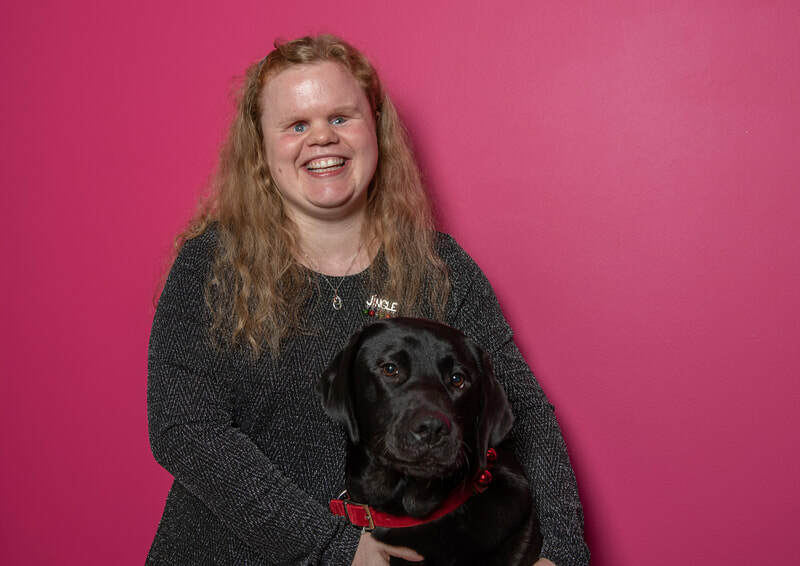 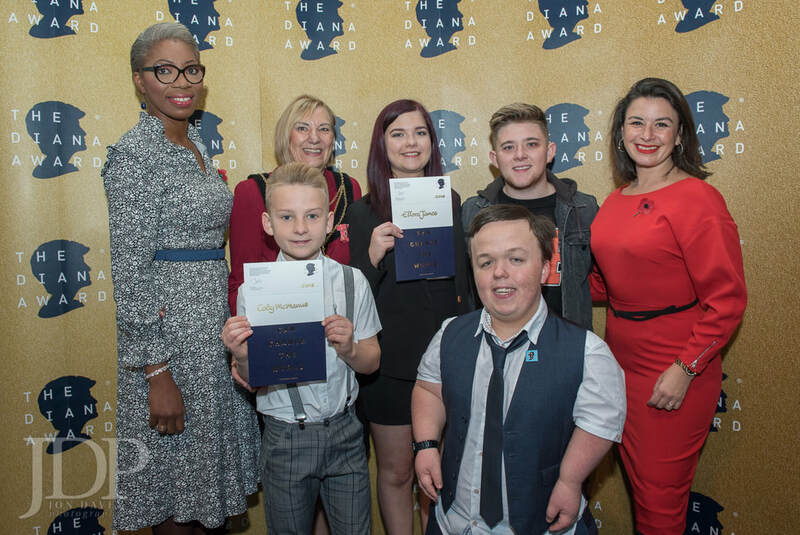 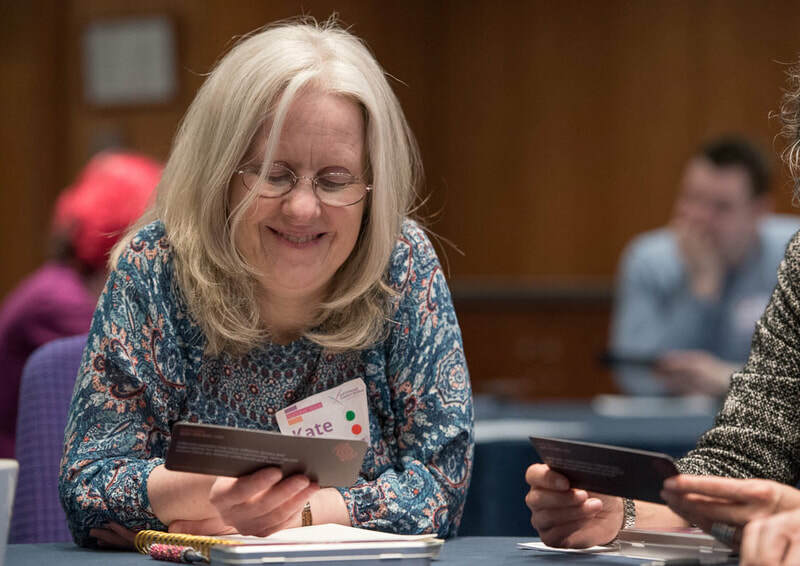 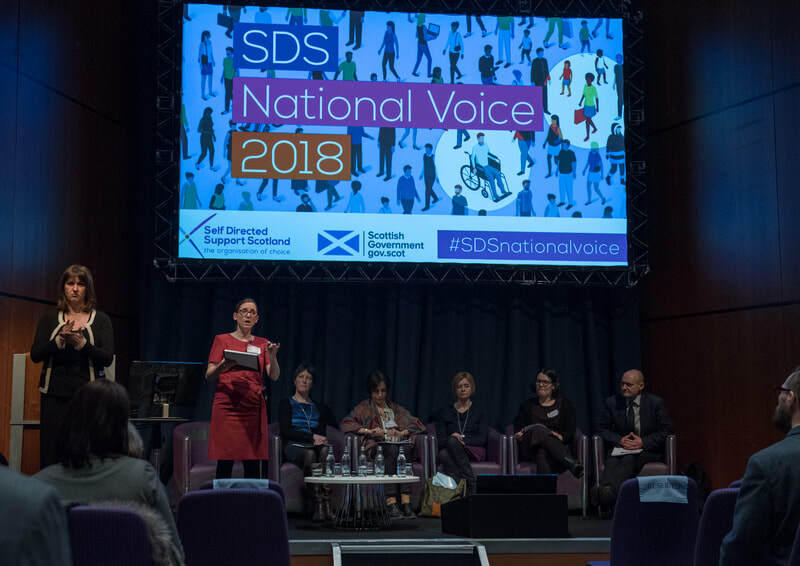 In March 2018 Self Directed Support Scotland (SDSS) held a national event - SDS National Voice - at the Edinburgh International Conference Centre. 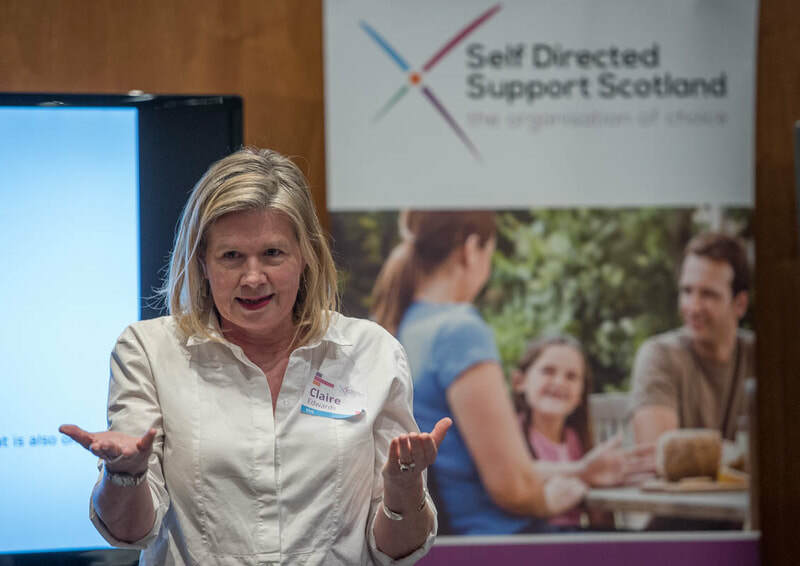 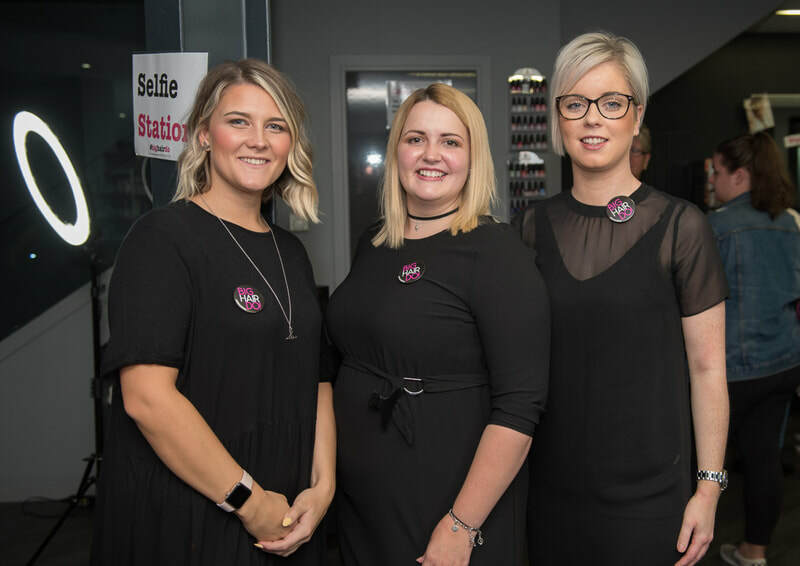 The overarching aim of the event was to promote and showcase good self-directed support practice across Scotland. 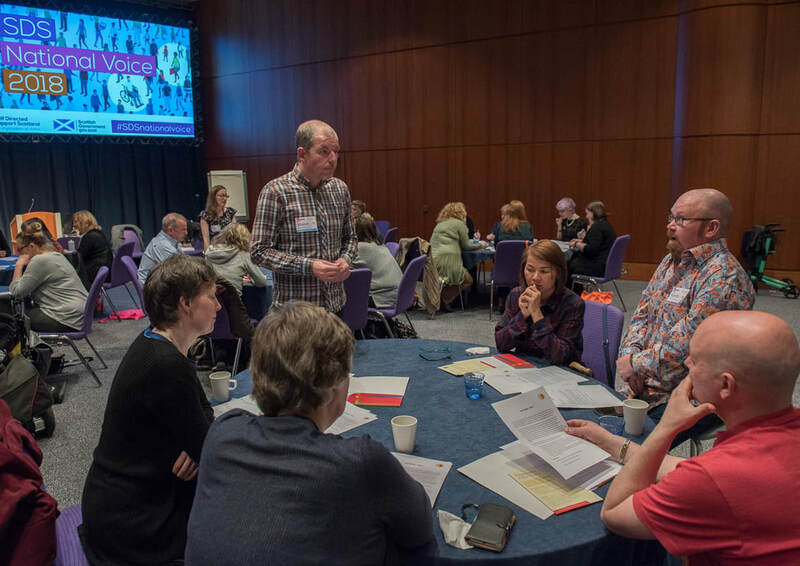 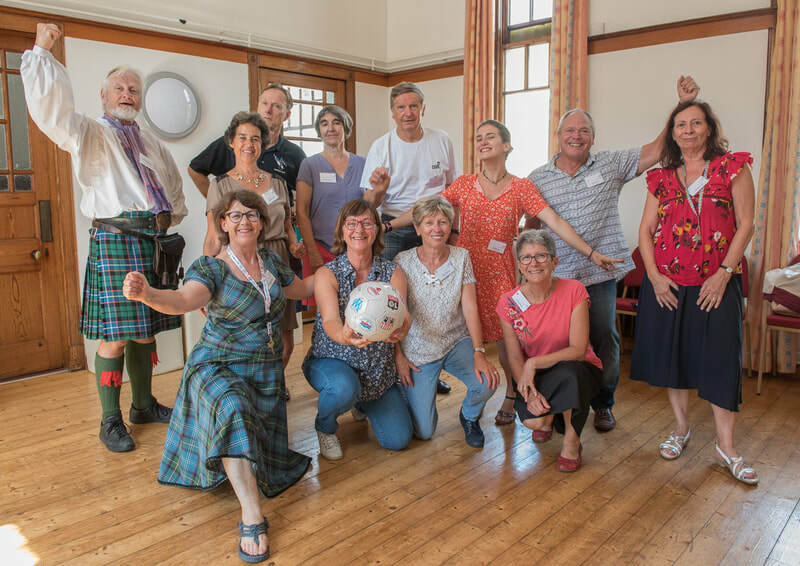 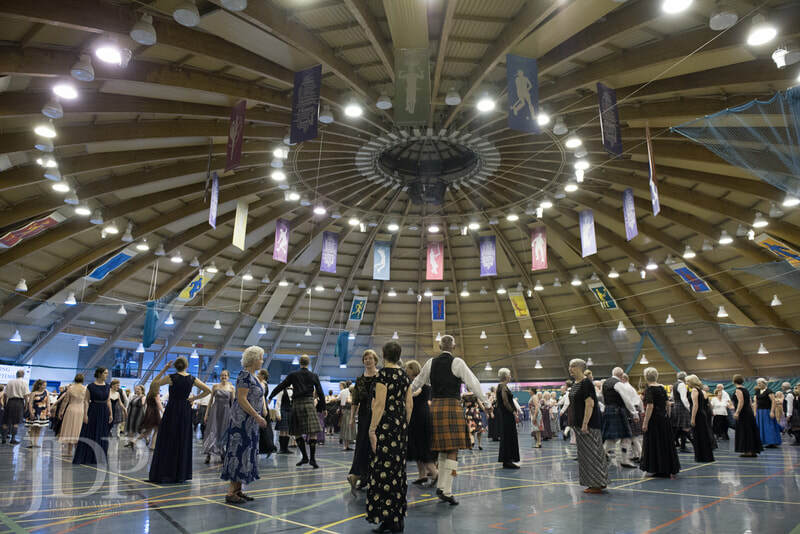 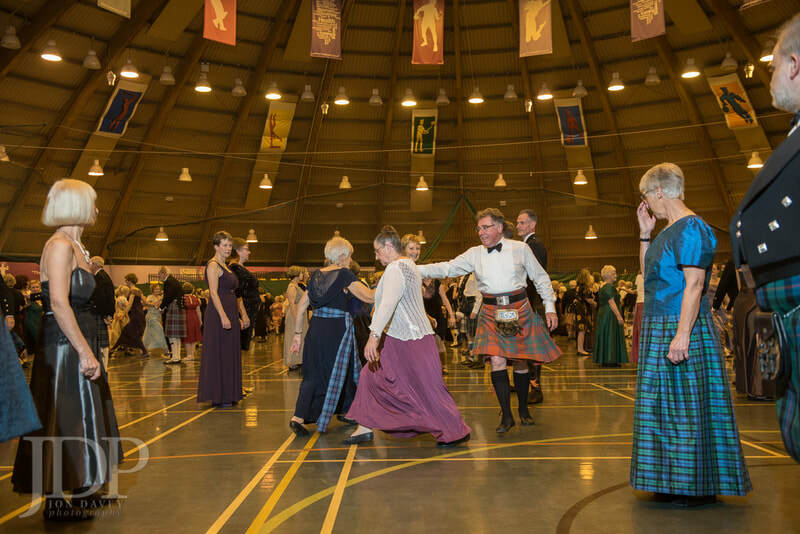 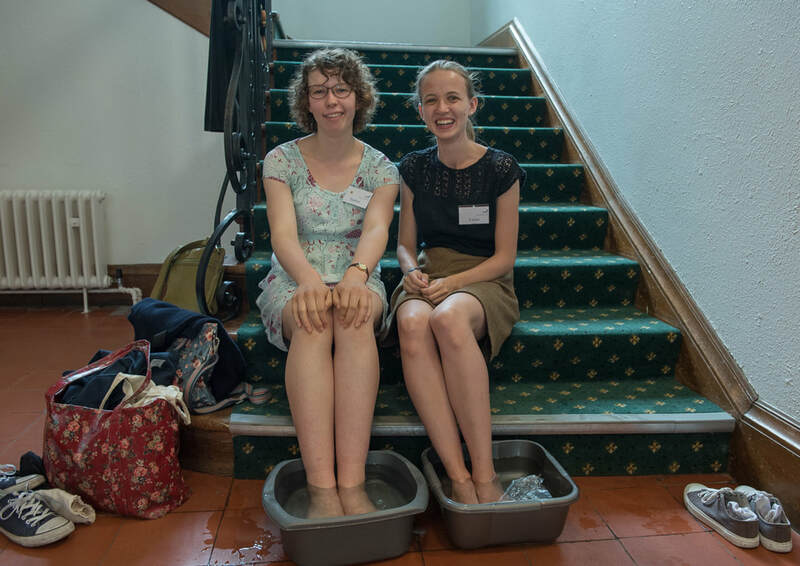 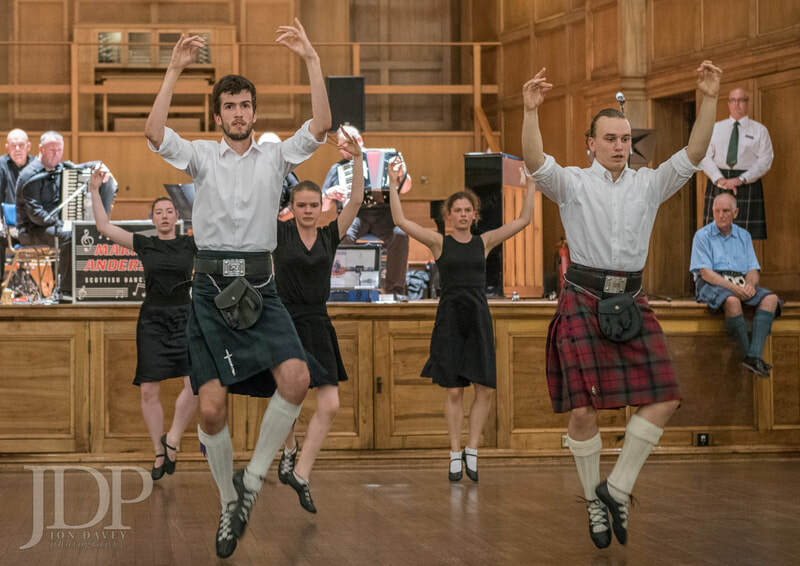 Delegates from across Scotland participated in a range of sessions. 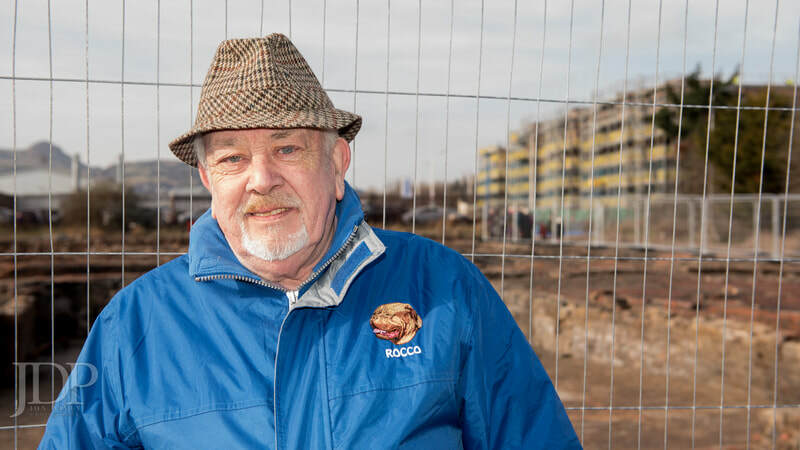 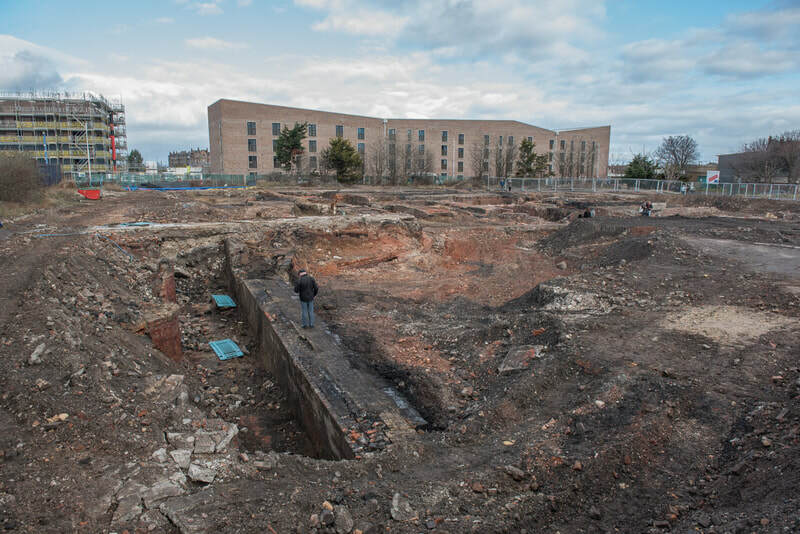 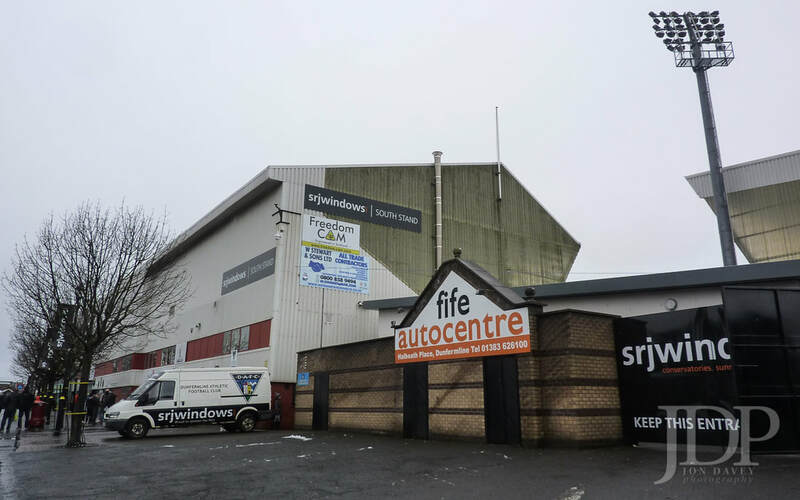 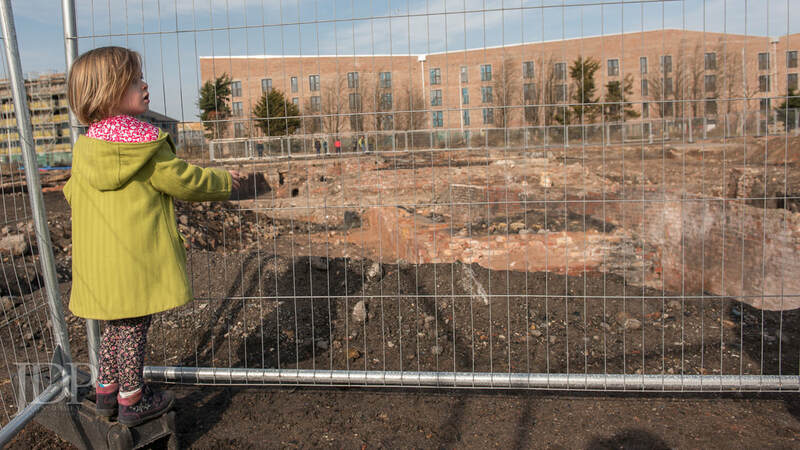 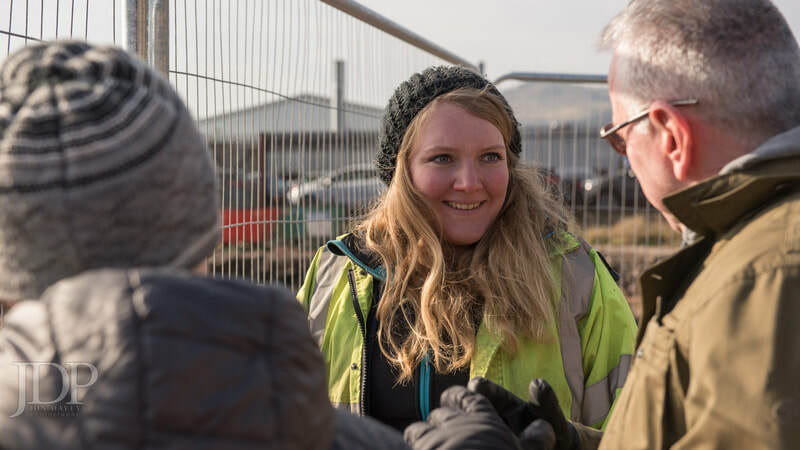 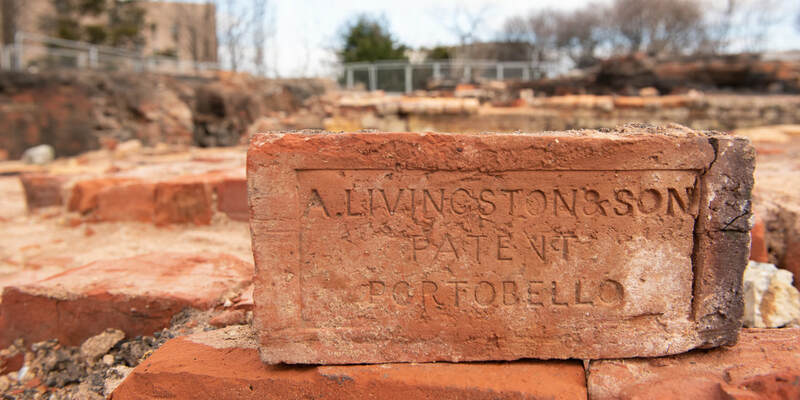 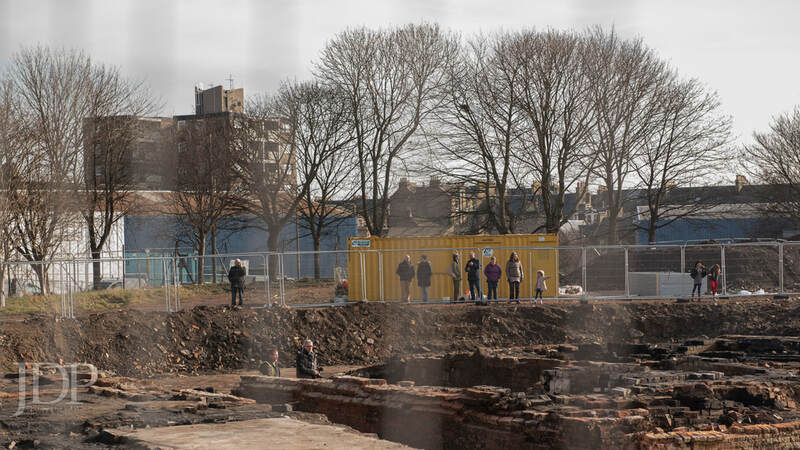 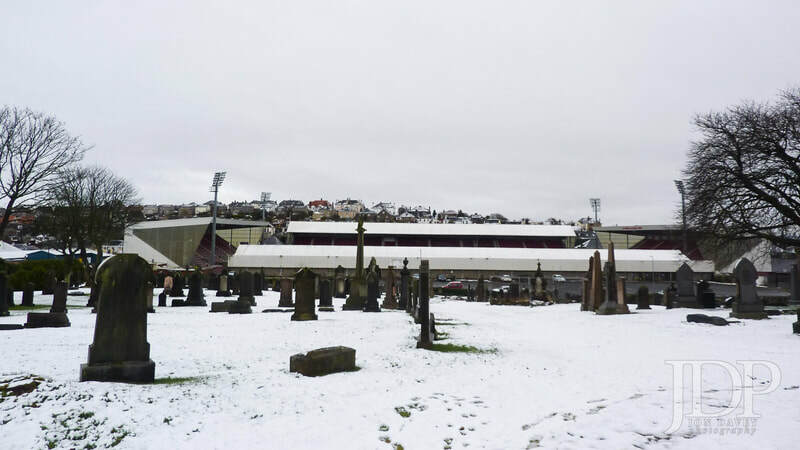 AOC Archaeology Group are undertaking of a series of archaeological works on land previously occupied by warehouses and offices in Baileyfield Crescent, Portobello. 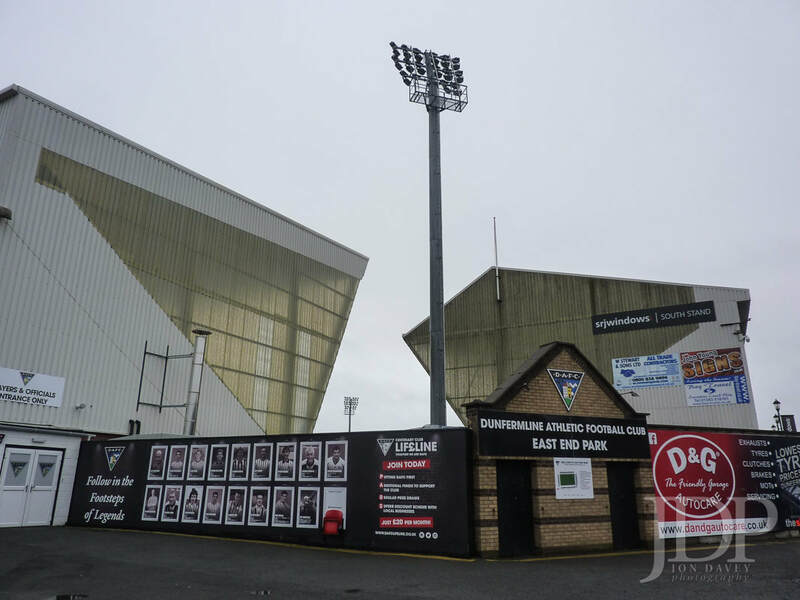 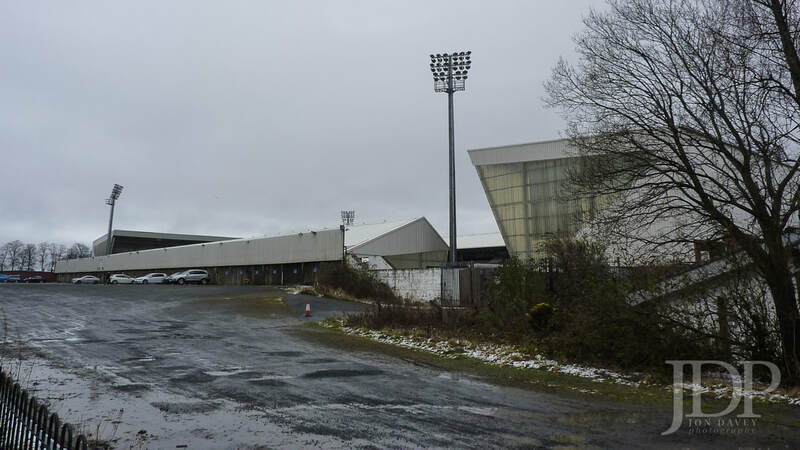 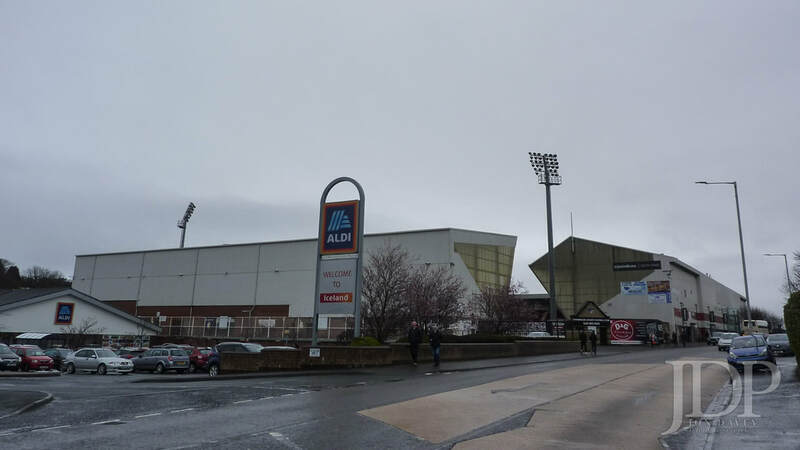 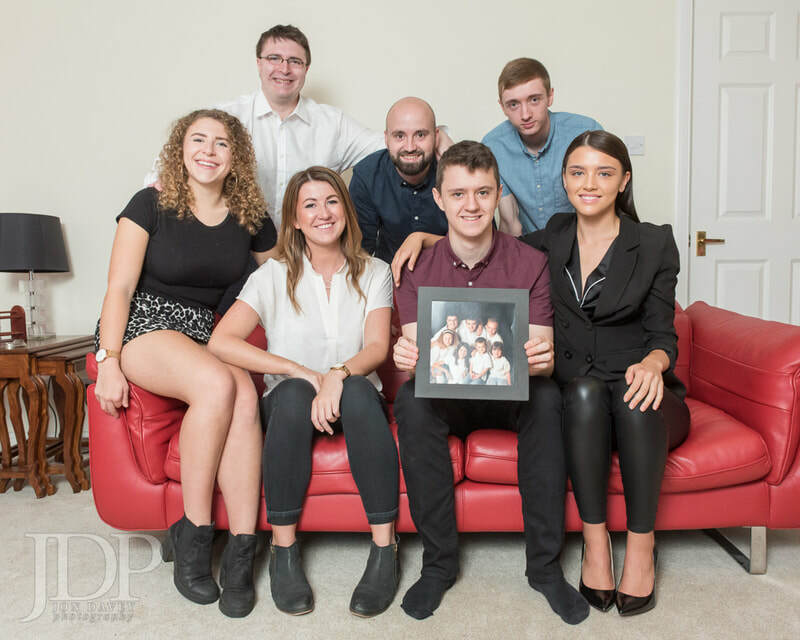 The project was undertaken on behalf of Barrett Homes Ltd and started in the summer of 2017. 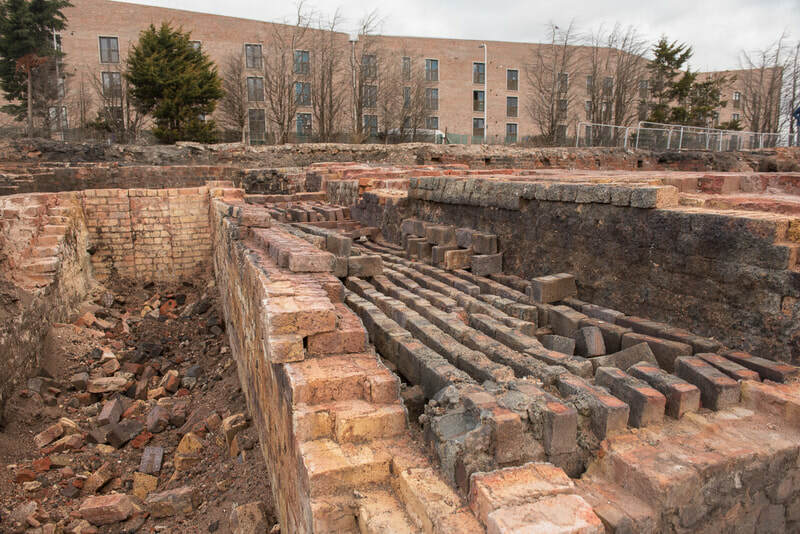 The most substantial part of the works involved the large-scale excavation and recording of structural remains associated with both the Abercorn Brick & Tile Works and the subsequent United Bottle Works. 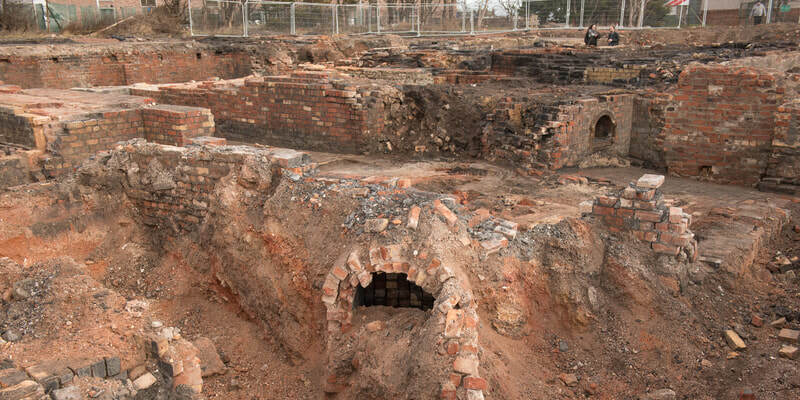 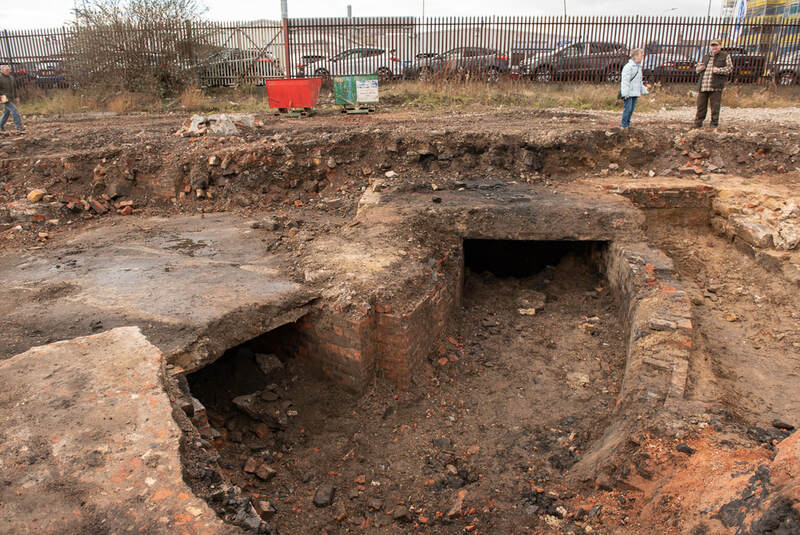 These remains included early 19th century brick kilns, floors, flues, chimney bases, brick drying structures and numerous wall foundations. The remains represented all phases of the brick works development as illustrated on historical mapping from the late 18th century to its demolition in the early 20th century. 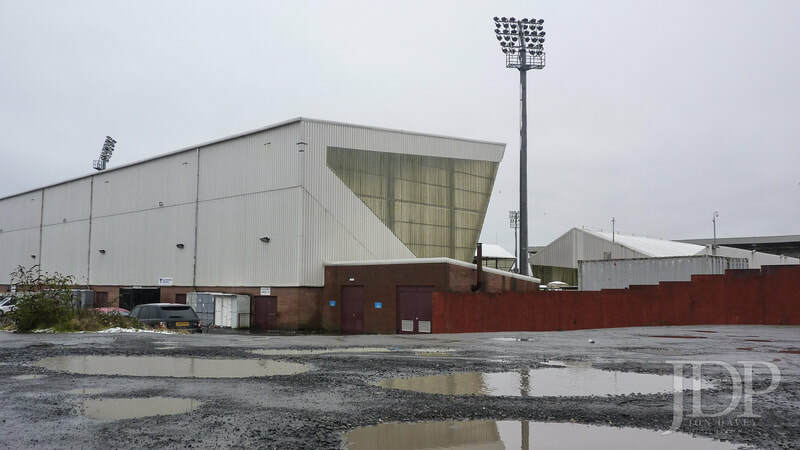 The works also revealed that significant late 19th to 20th century infilling and levelling had taken place on site, with dumped material exceeding 4m. 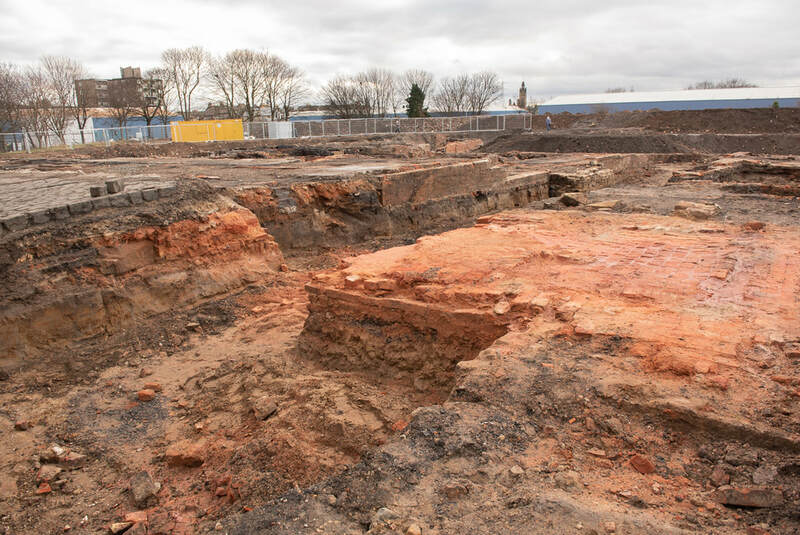 These deposits were especially deep along the southern and eastern parts of the development area. 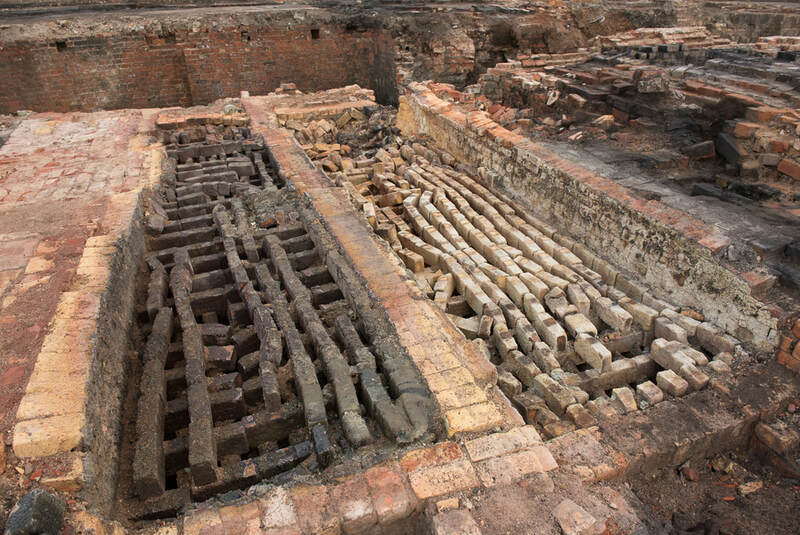 A large number of small finds were recovered from the dumped material infilling the structures. 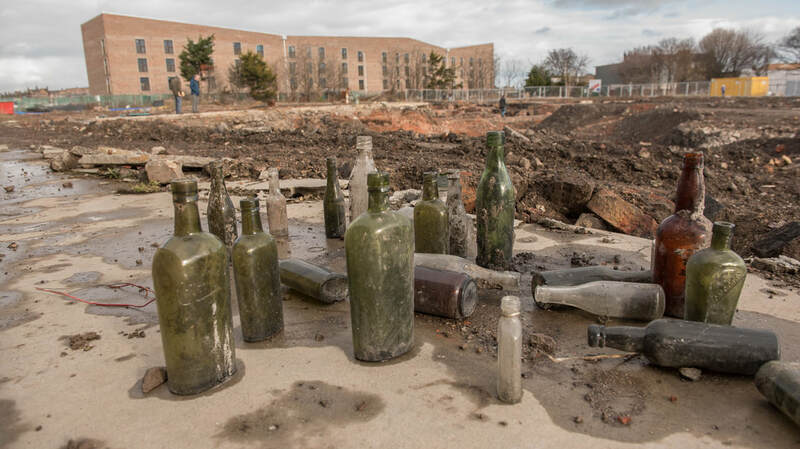 These consisted of bottles, glass slag, stamped bricks and stoneware from the surrounding factories. 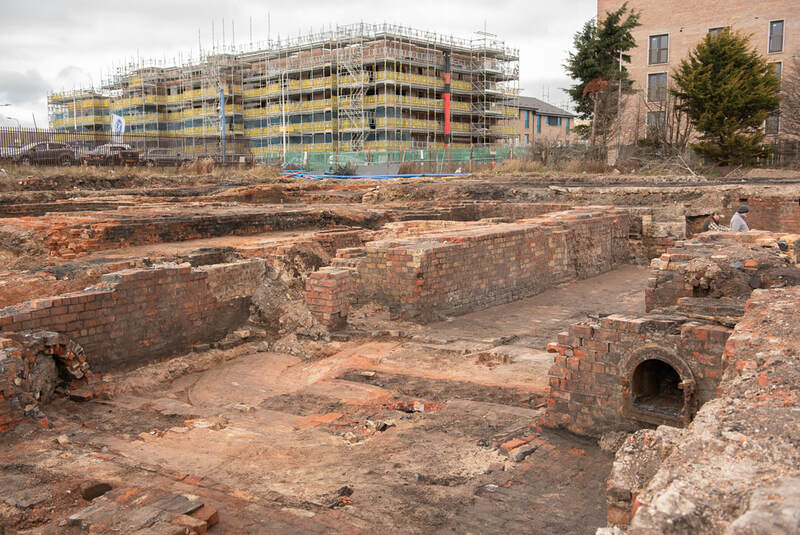 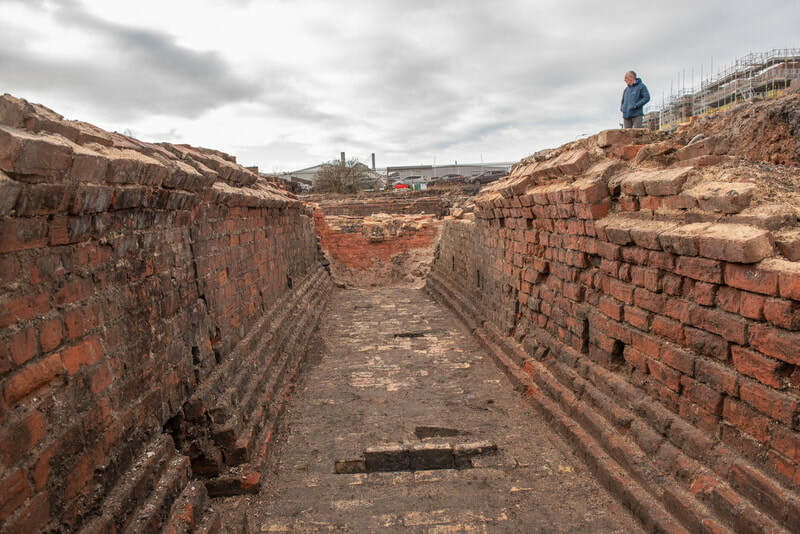 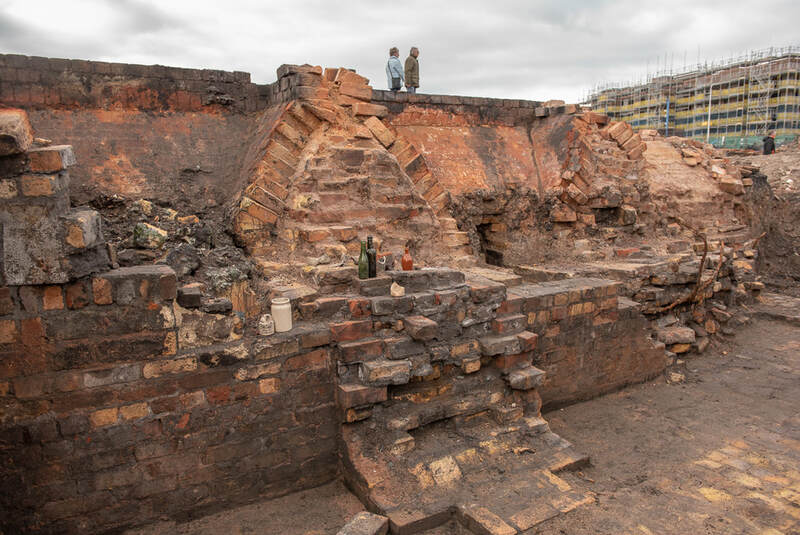 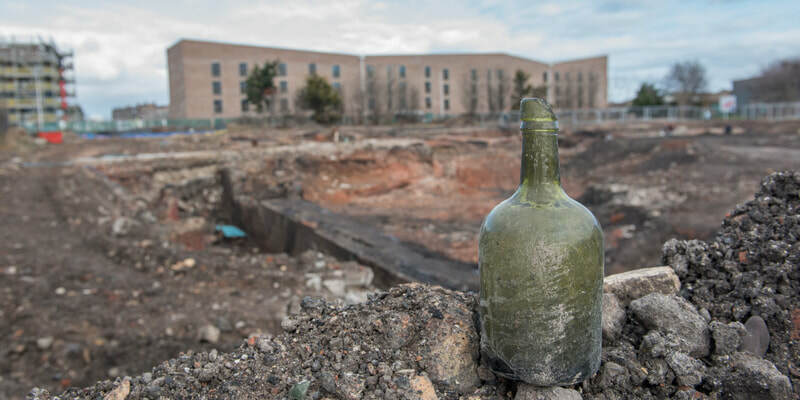 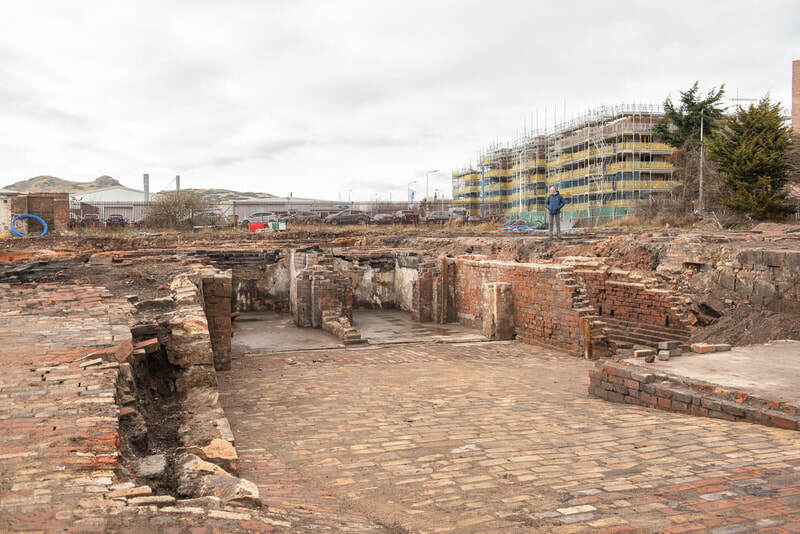 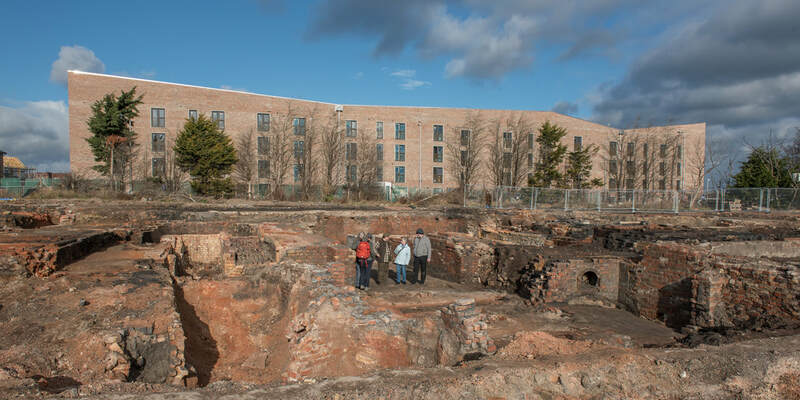 The majority of the material appeared to date to the early 20th century and had been deposited once the brick works had been partially demolished and the area incorporated within the United Bottle Works. 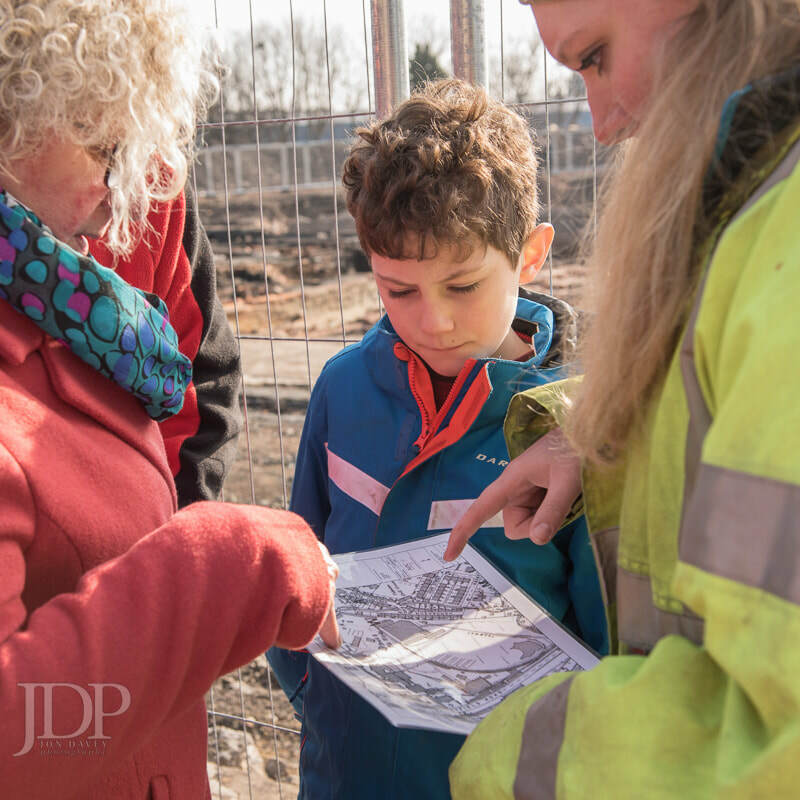 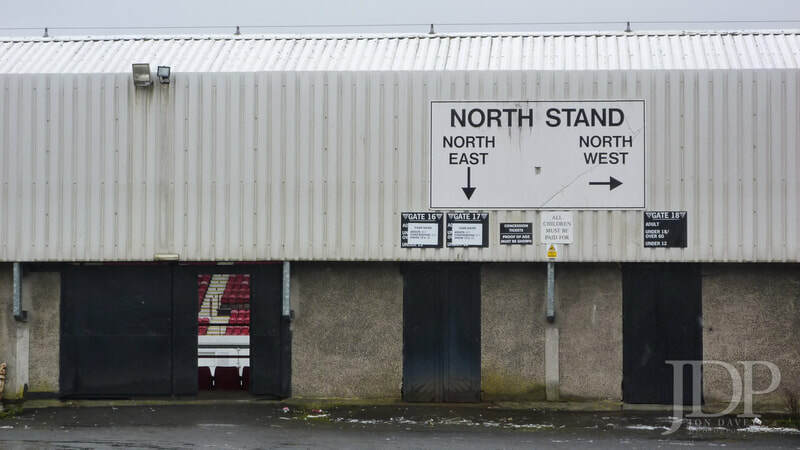 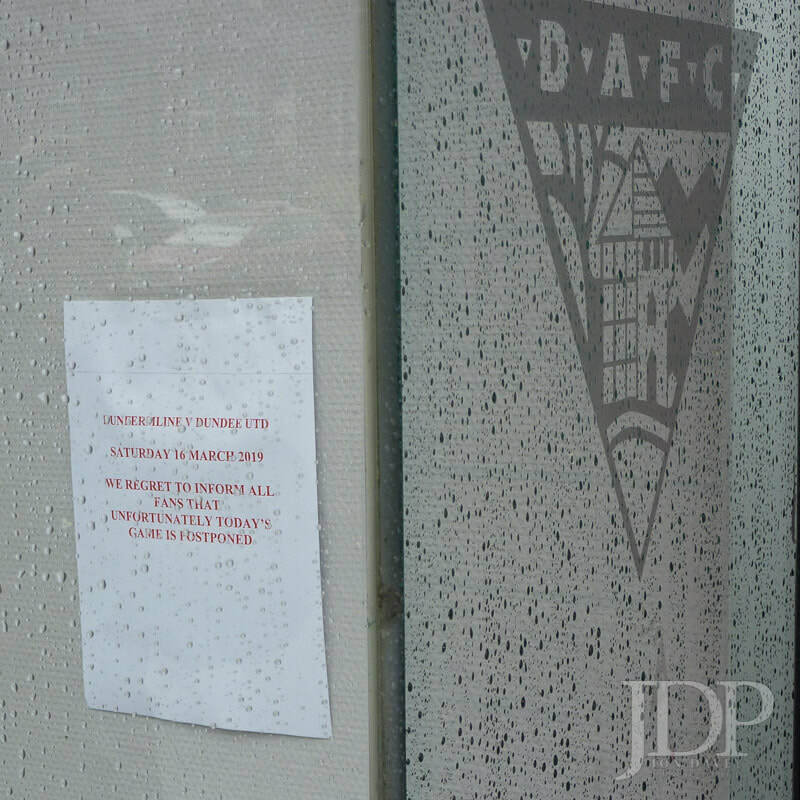 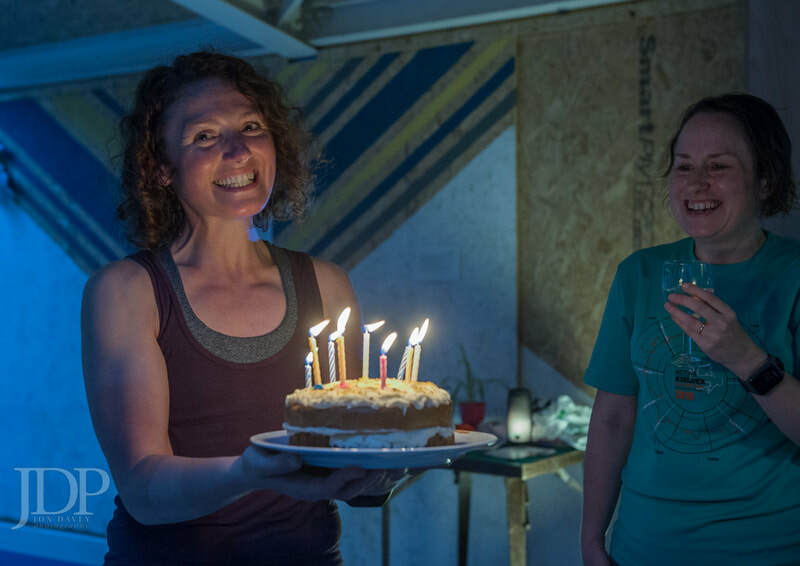 There was an Open Day on the site, although there was some confusion over the date!